Congratulations to Rustin for Winning the 2018 Hicksie Cup! See below for pictures from the Tournament. 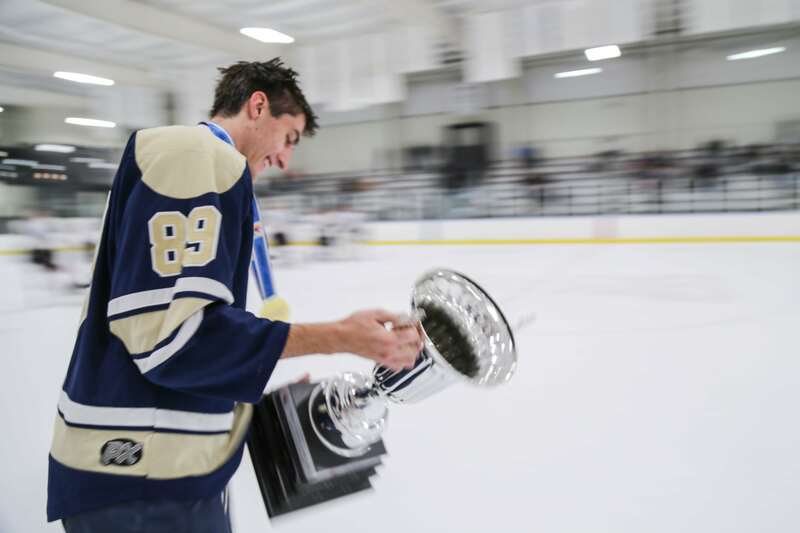 The 2018 Andrew L. Hicks, Jr. Memorial Hockey Tournament, more affectionately known as the Hicksie Cup, concluded on Monday October 1, with West Chester Rustin outscoring West Chester Henderson 6 to 3, in a very hard fought game, to win the Championship Game and take home the Hicksie Cup trophy for the first time since 2011. 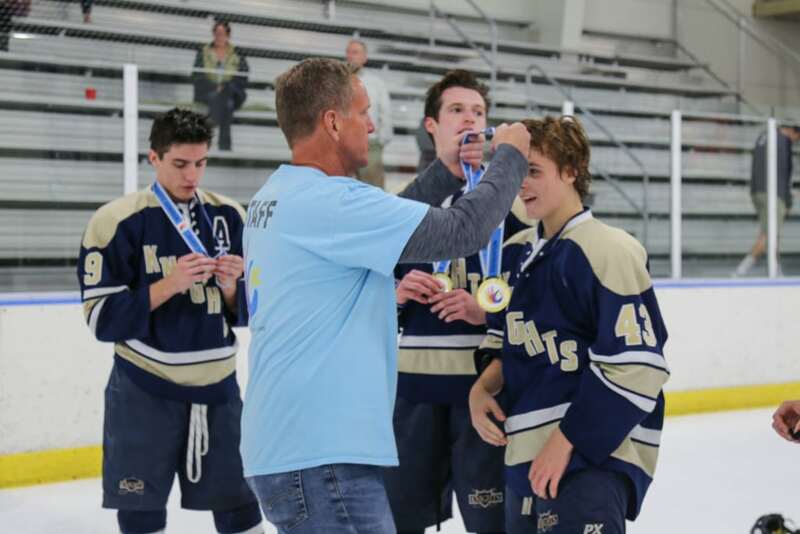 Rustin players and coaches also received individual Foundation gold medals. 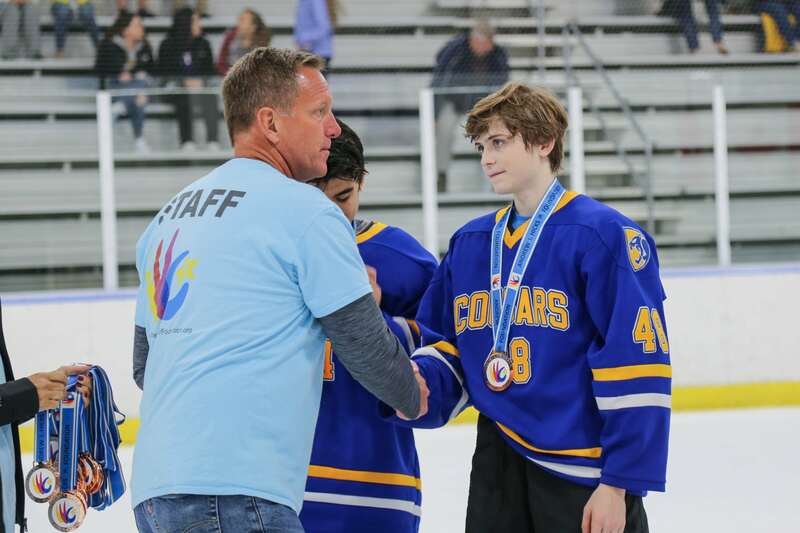 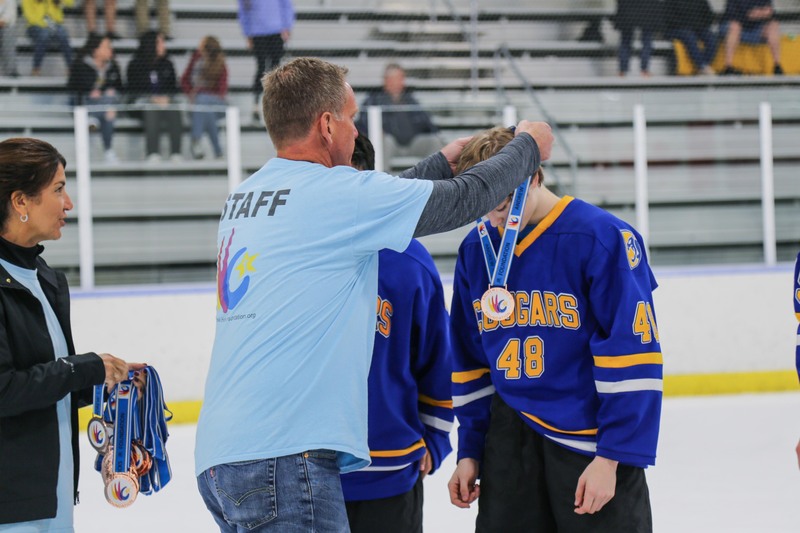 Henderson players and coaches received Foundation silver medals. The Consolation game, played earlier Monday evening, was won by Downingtown East, 5 to 4, in a very close game against West Chester East. 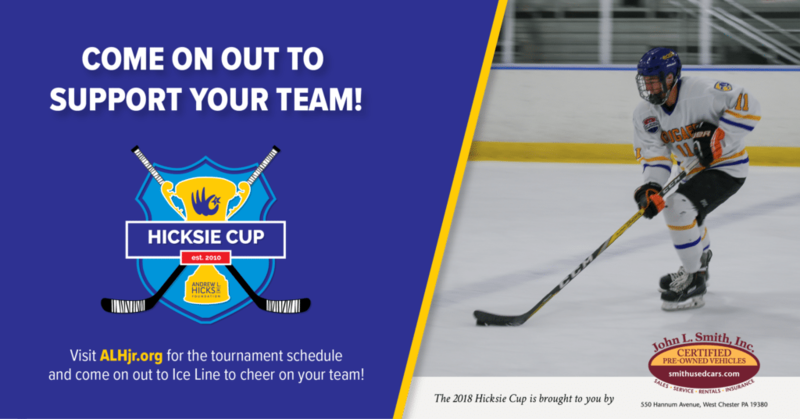 Although a preseason tournament, the Hicksie Cup, brings out each team’s early season best as the fight for the coveted silver Hicksie Cup trophy and local bragging rights becomes very competitive as each of the twelve teams gets ready for their season openers. 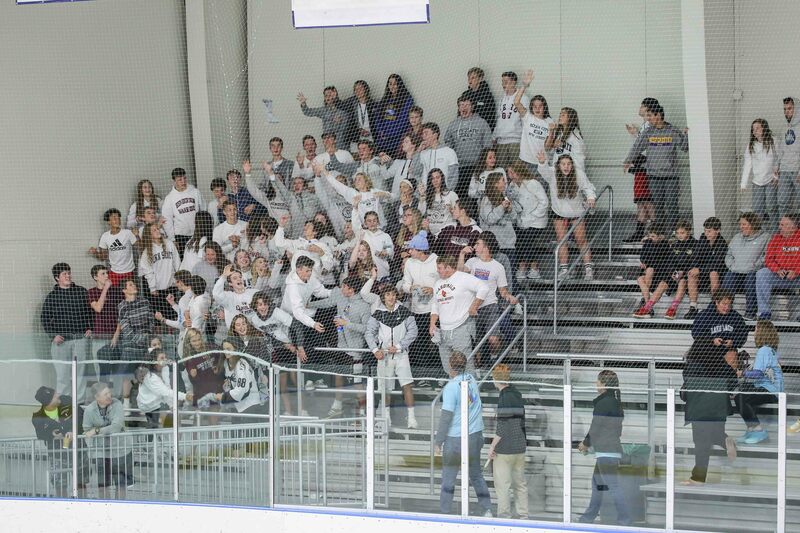 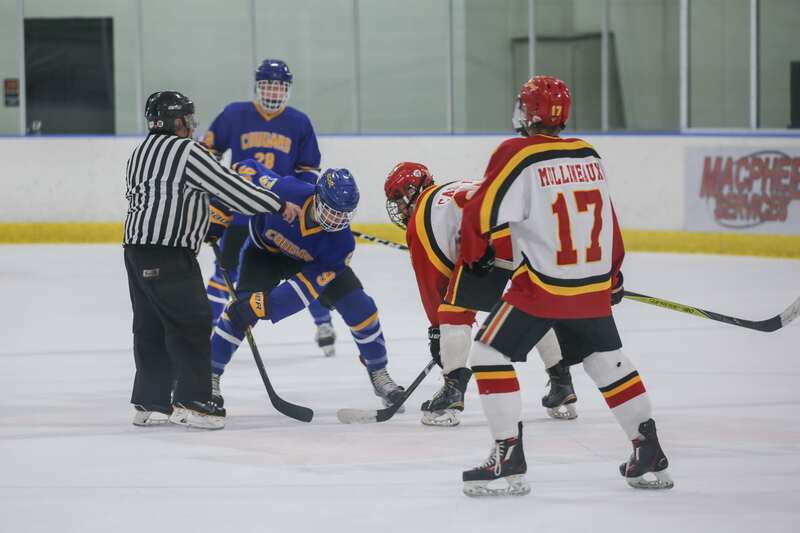 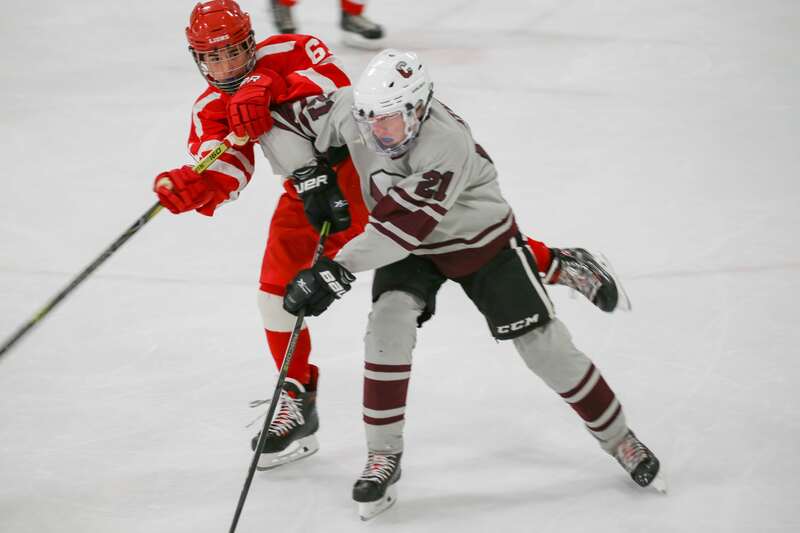 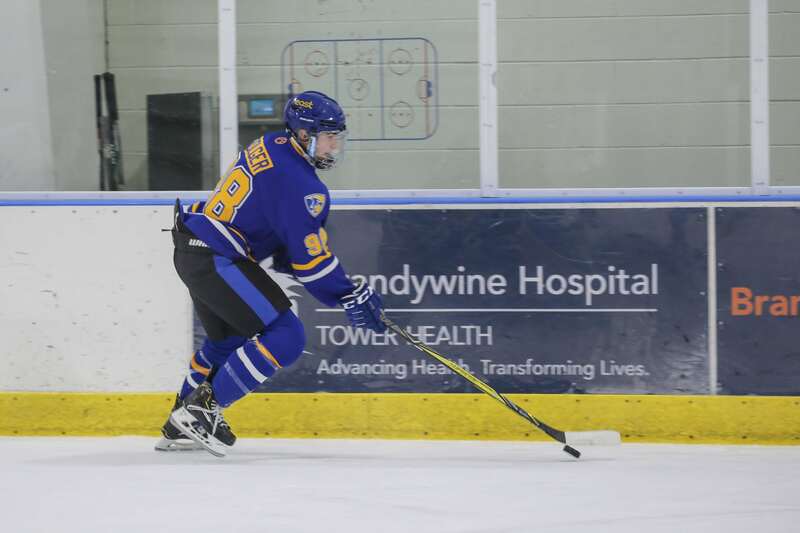 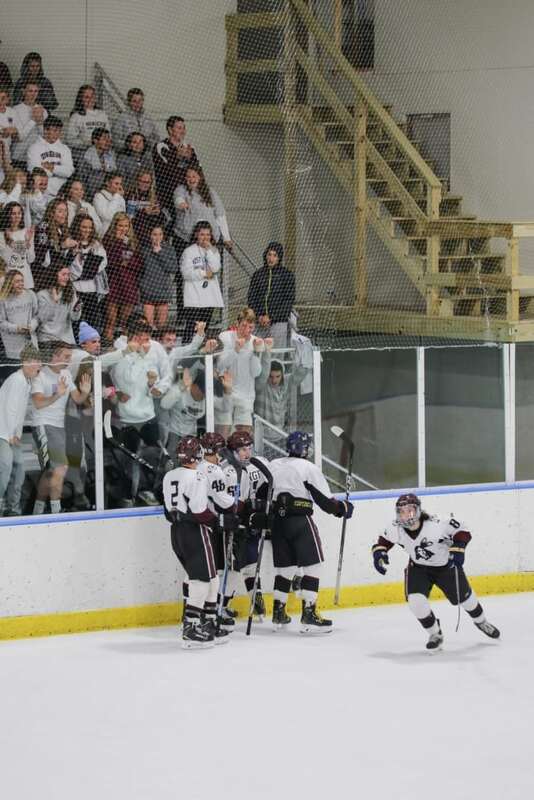 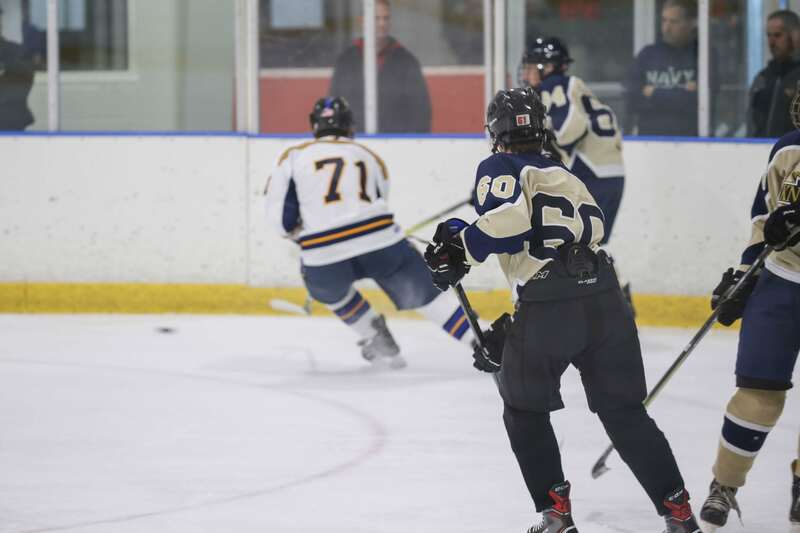 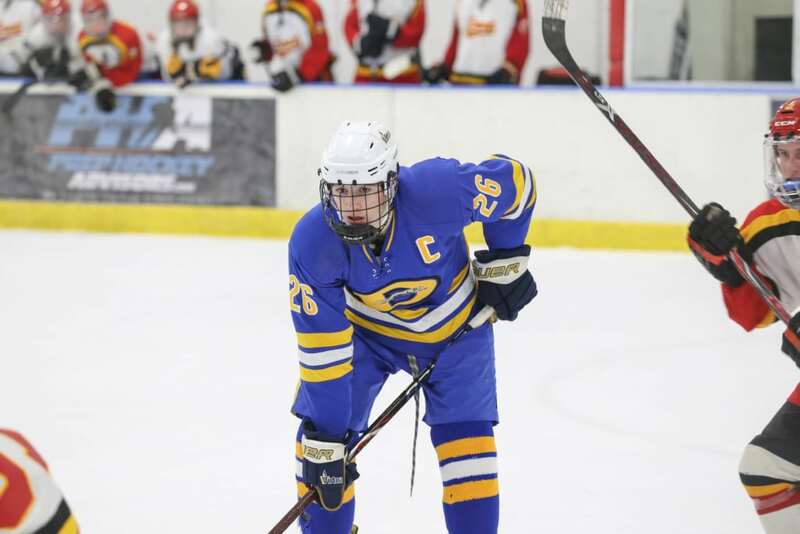 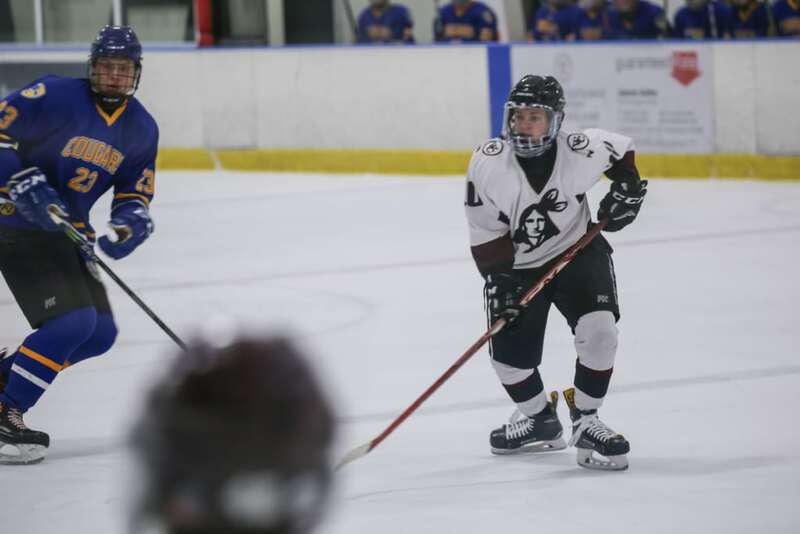 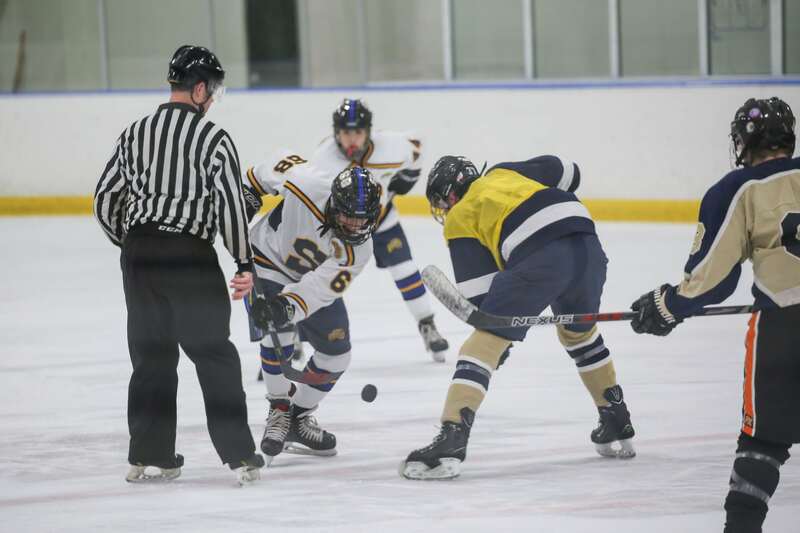 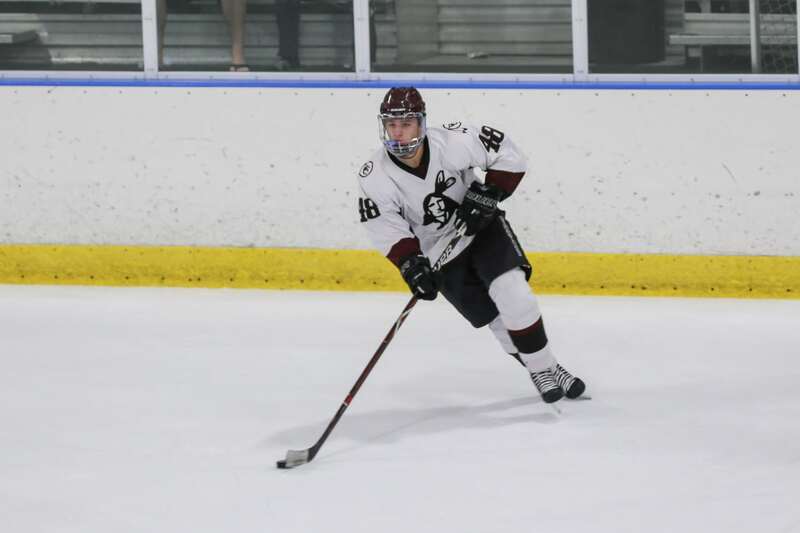 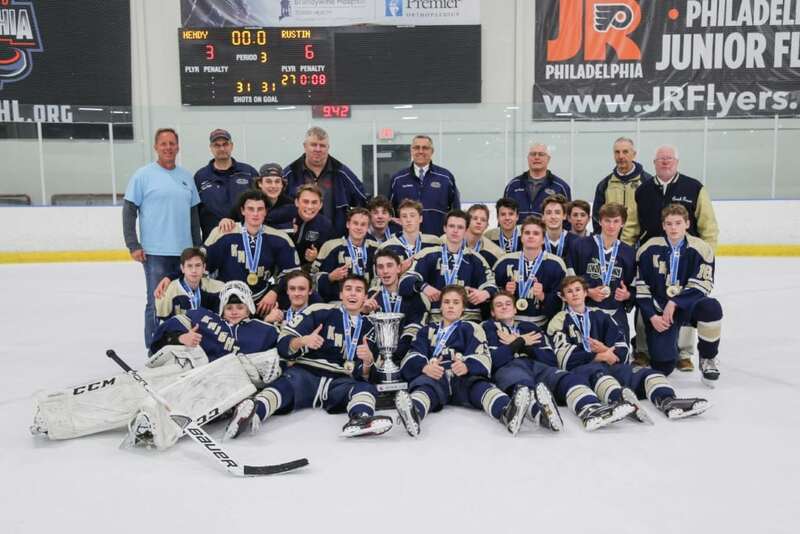 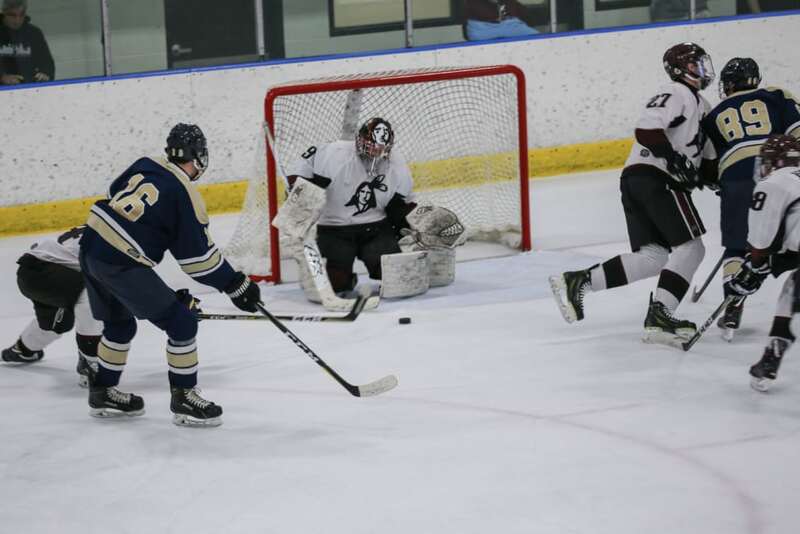 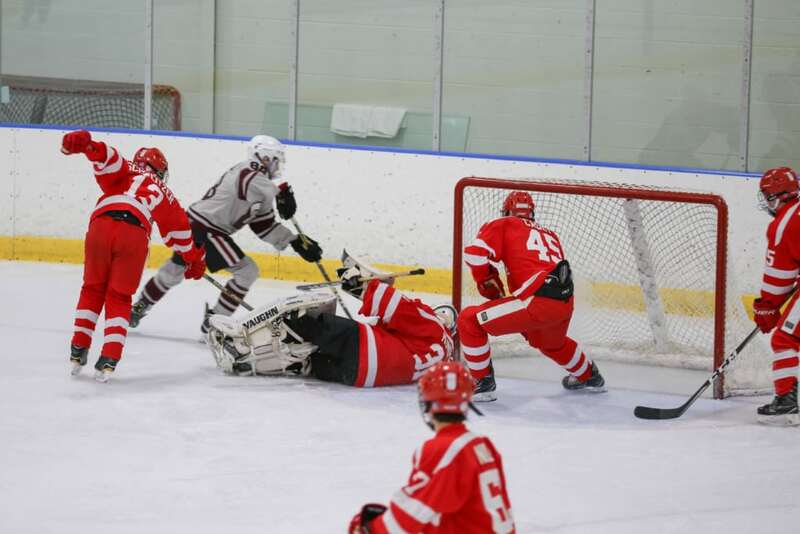 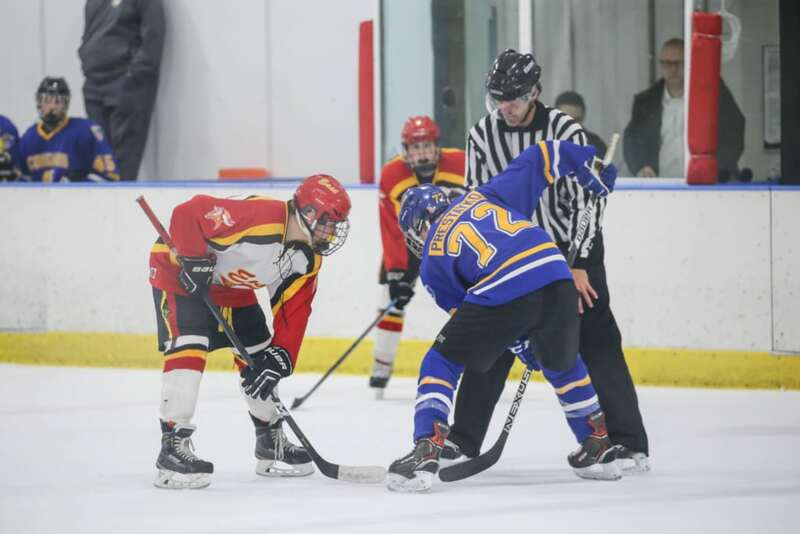 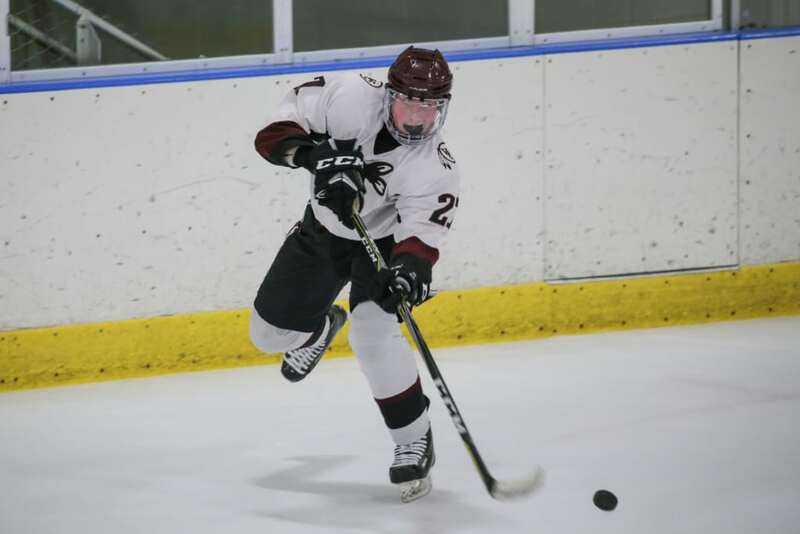 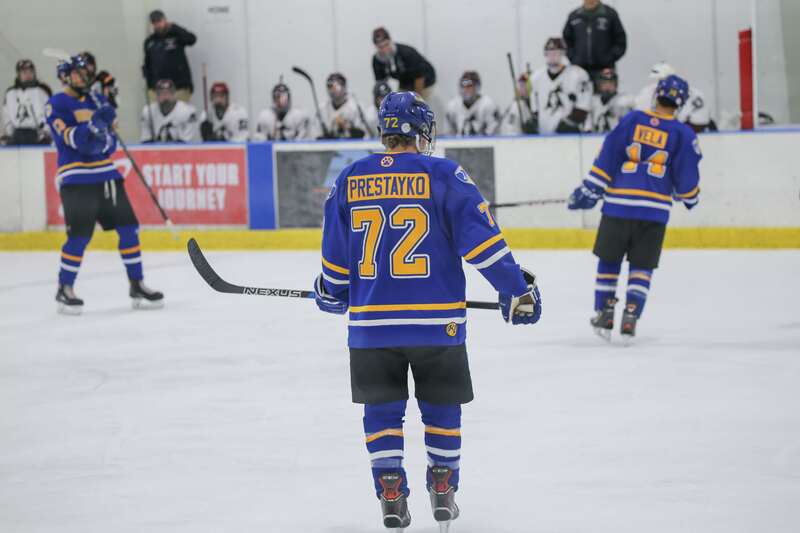 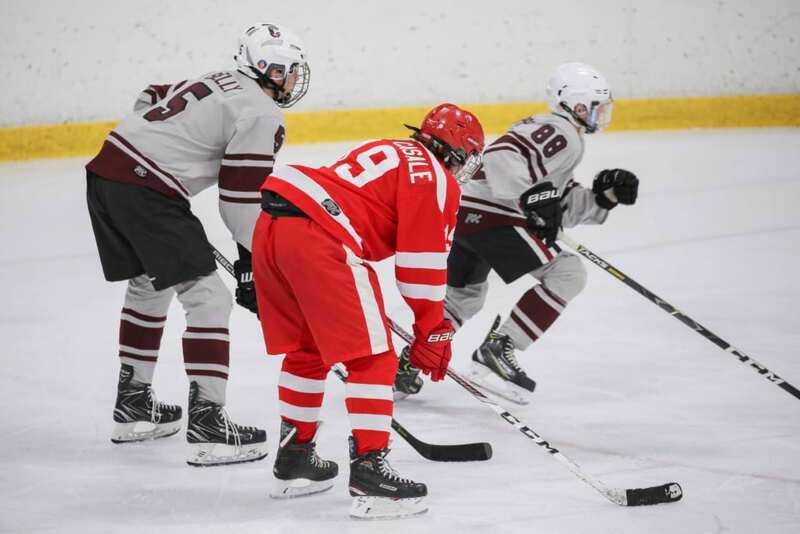 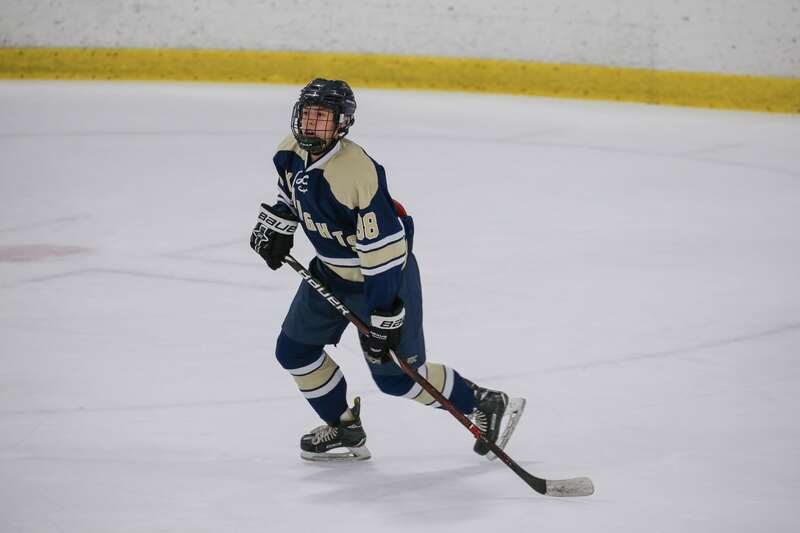 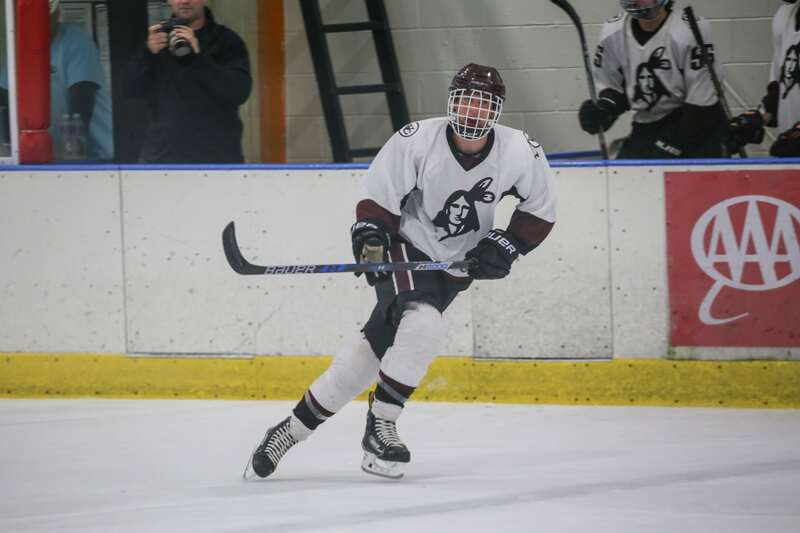 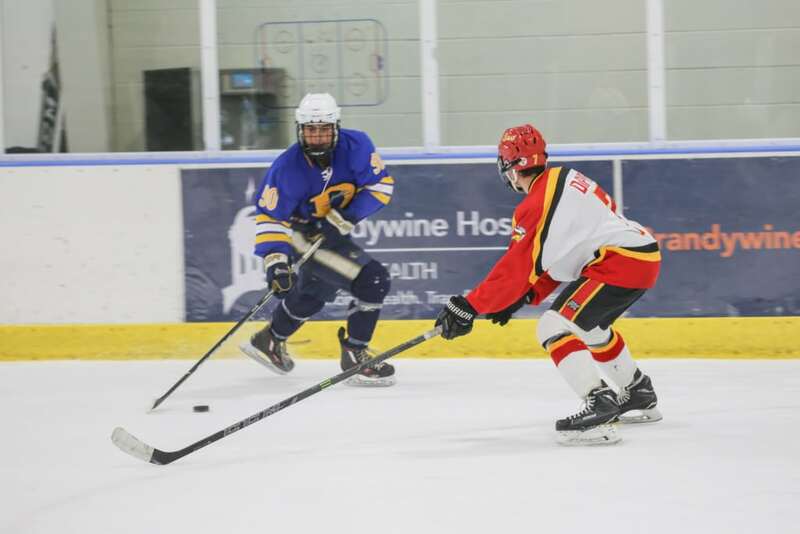 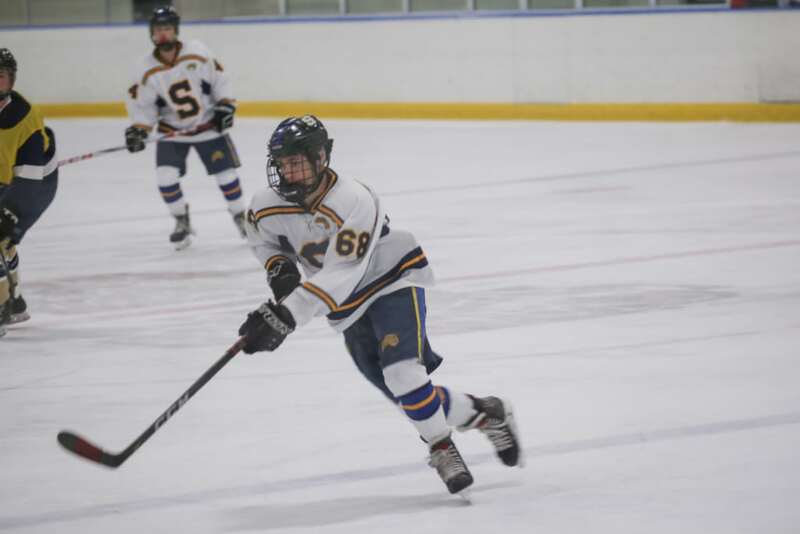 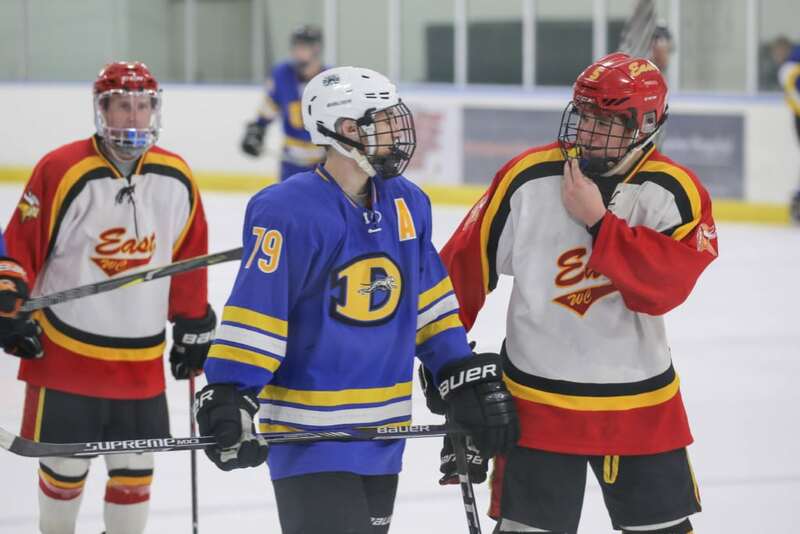 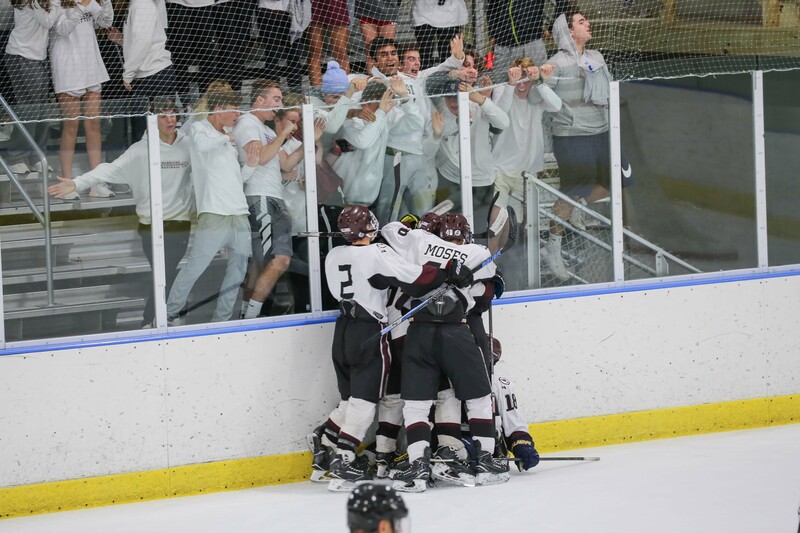 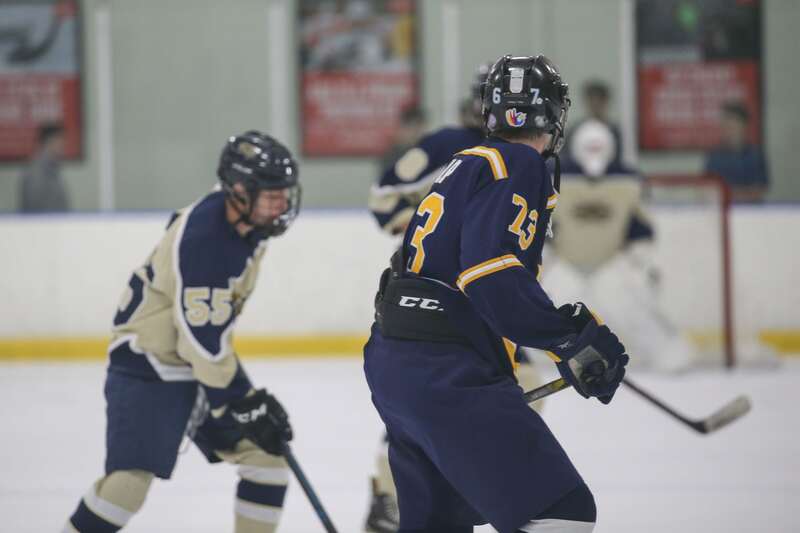 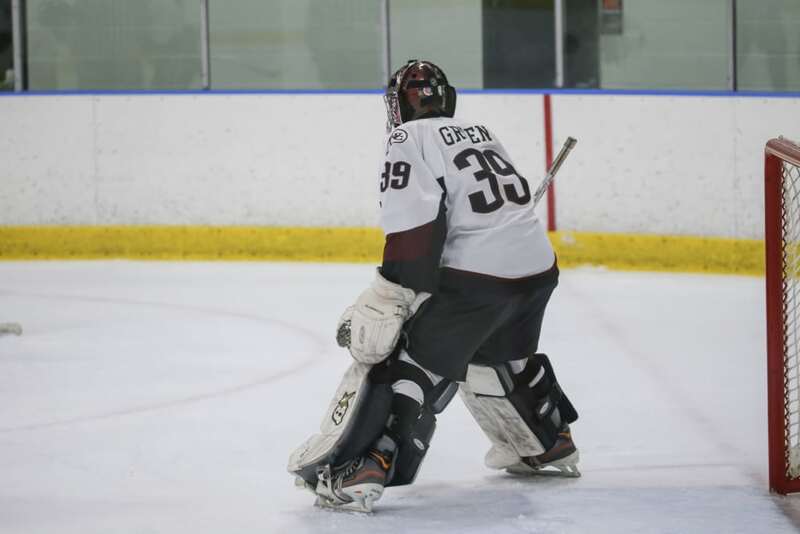 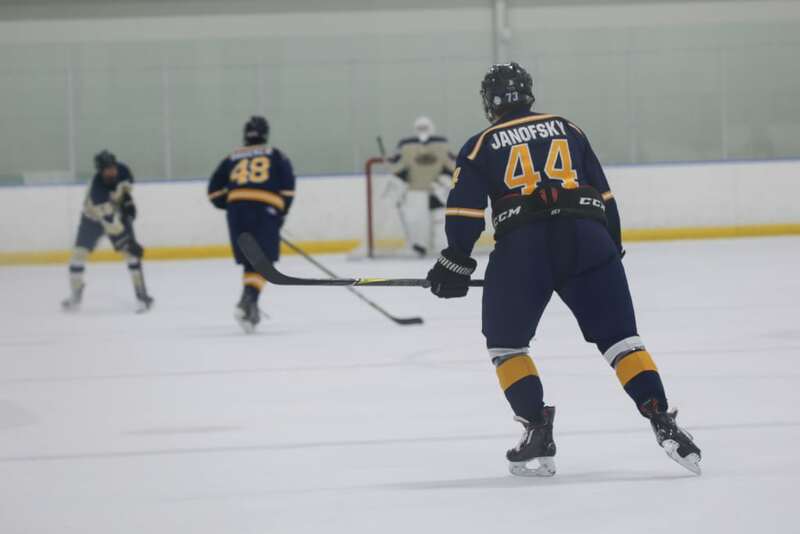 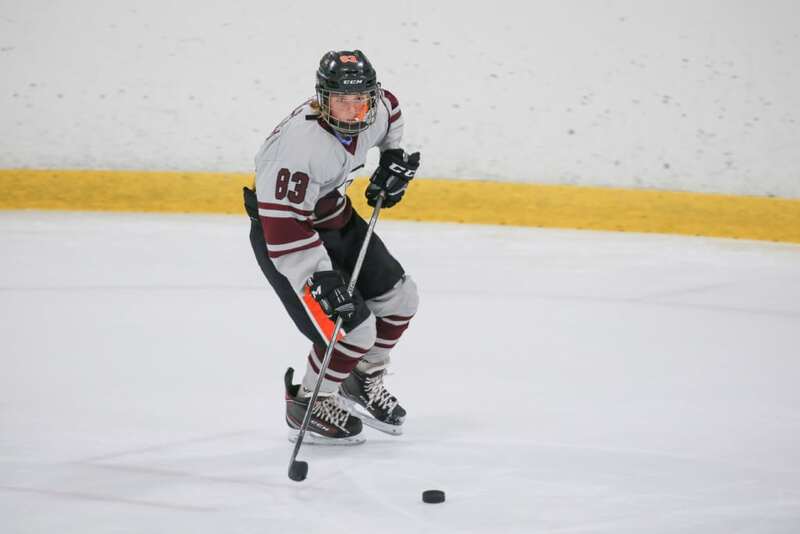 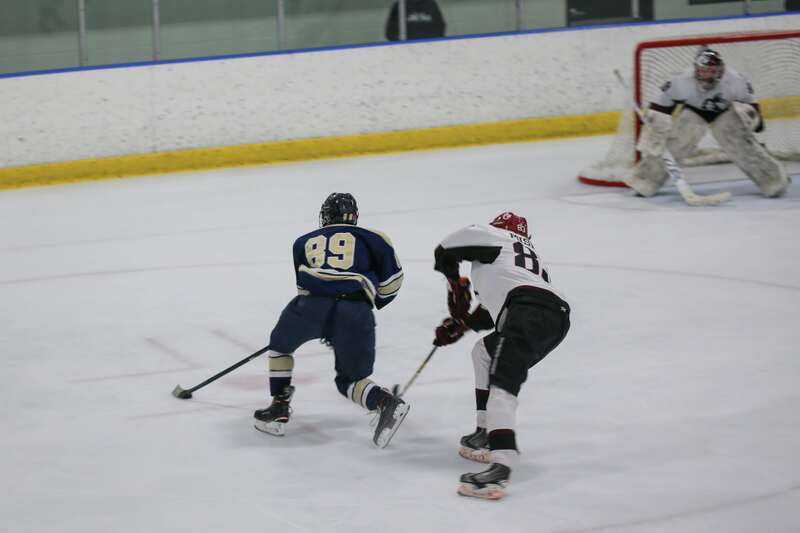 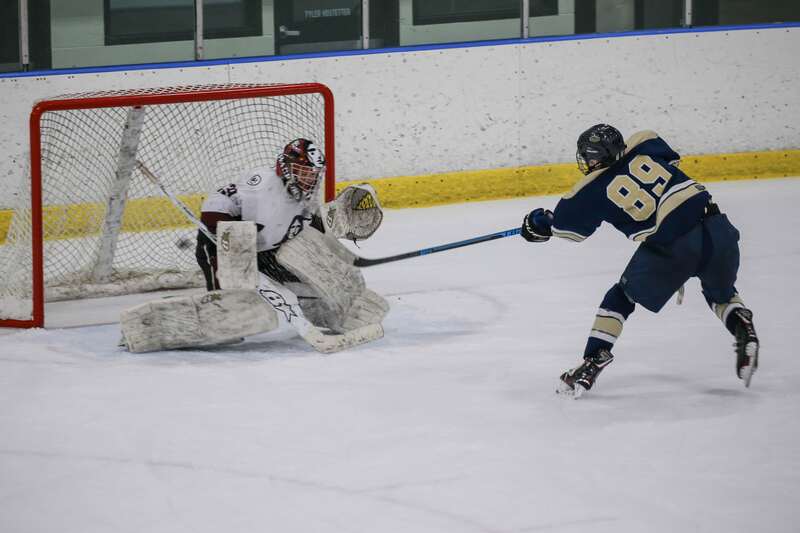 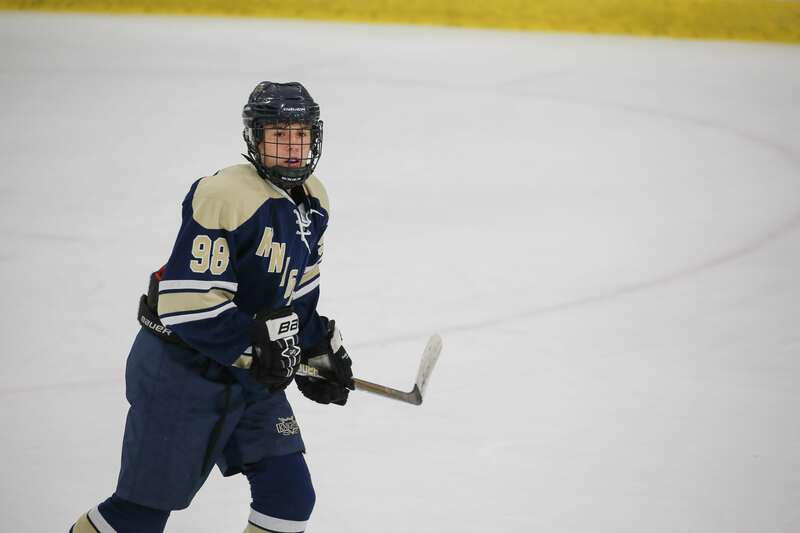 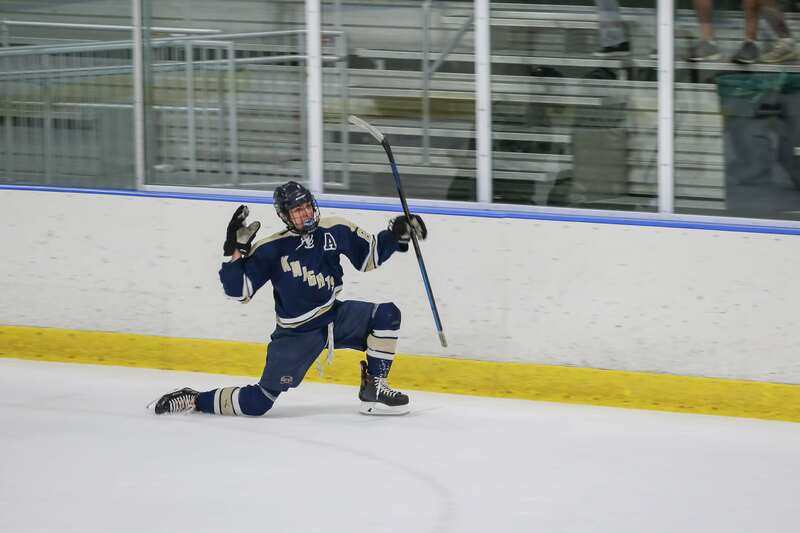 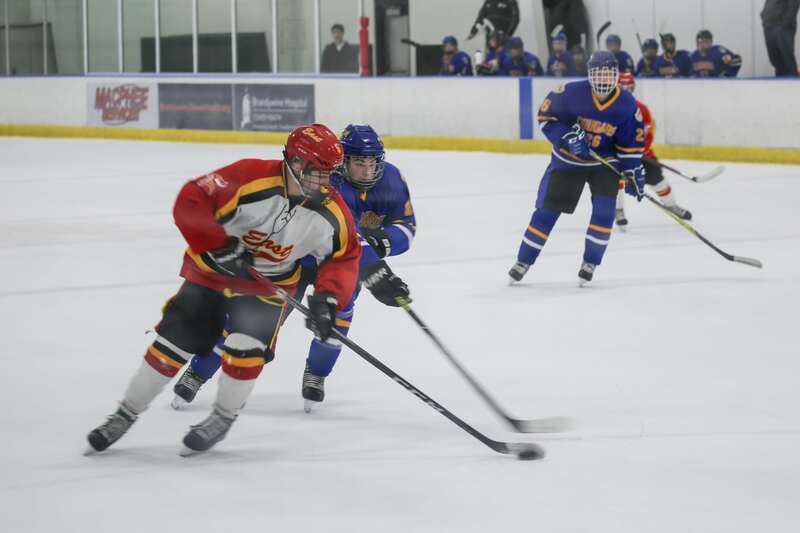 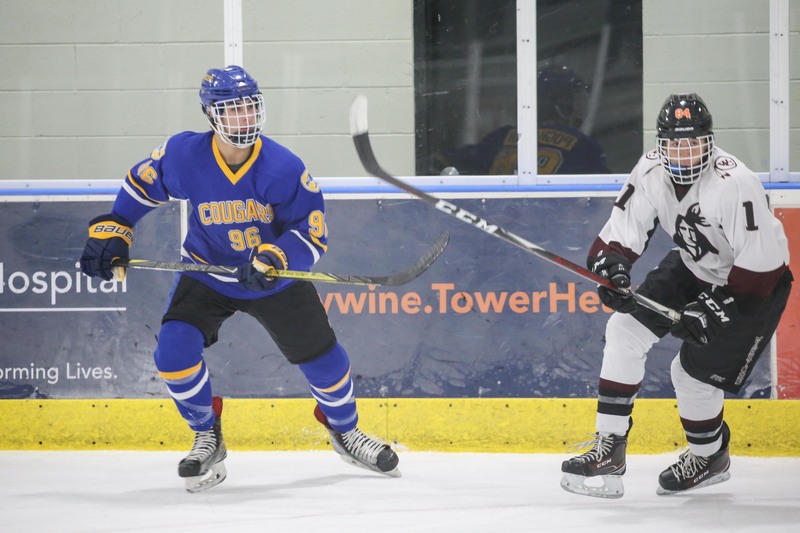 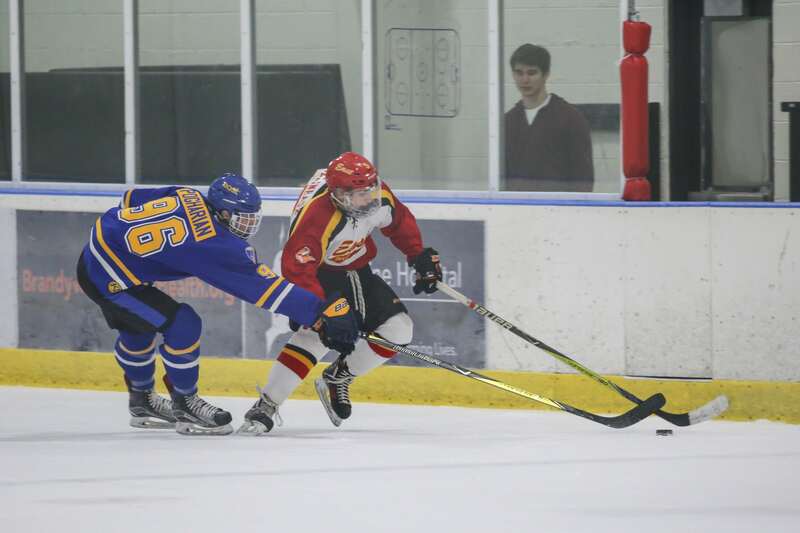 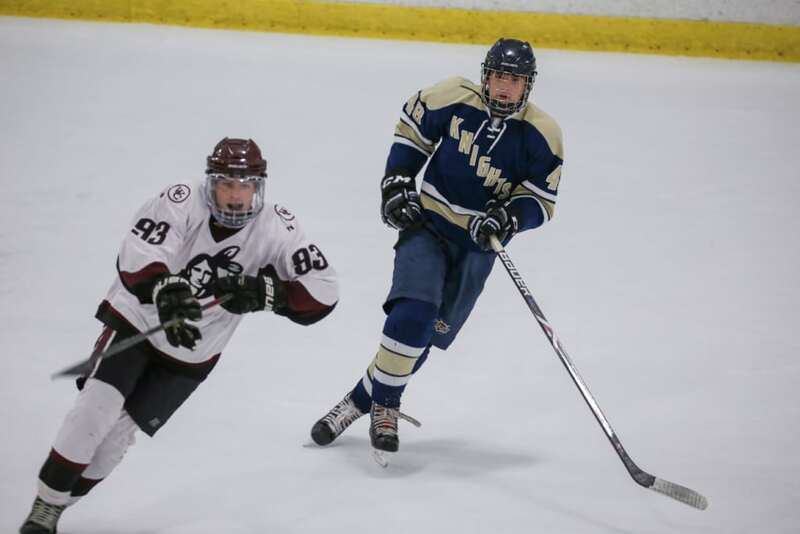 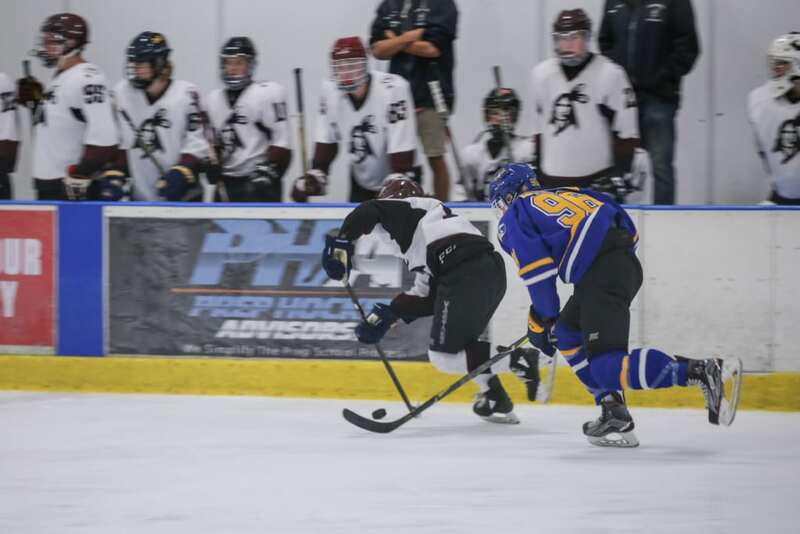 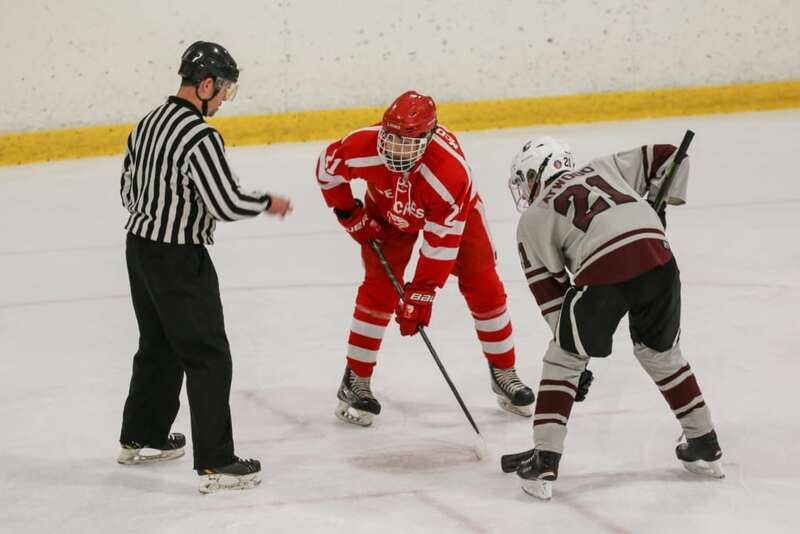 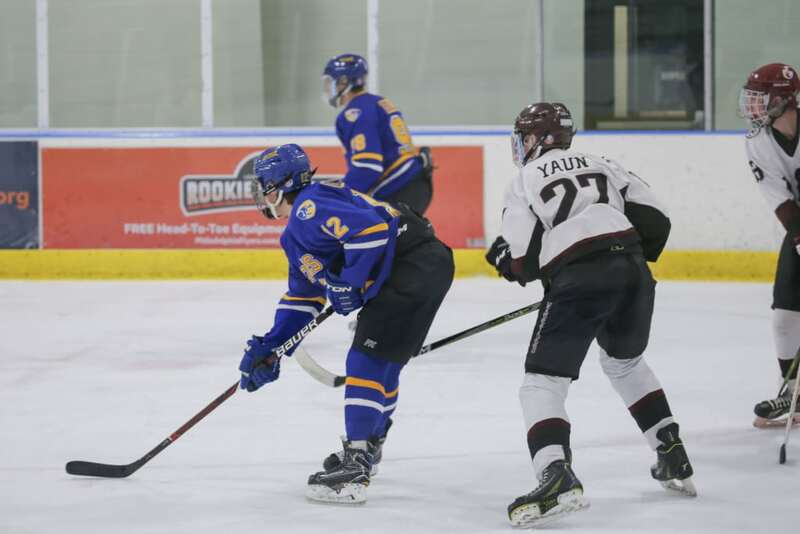 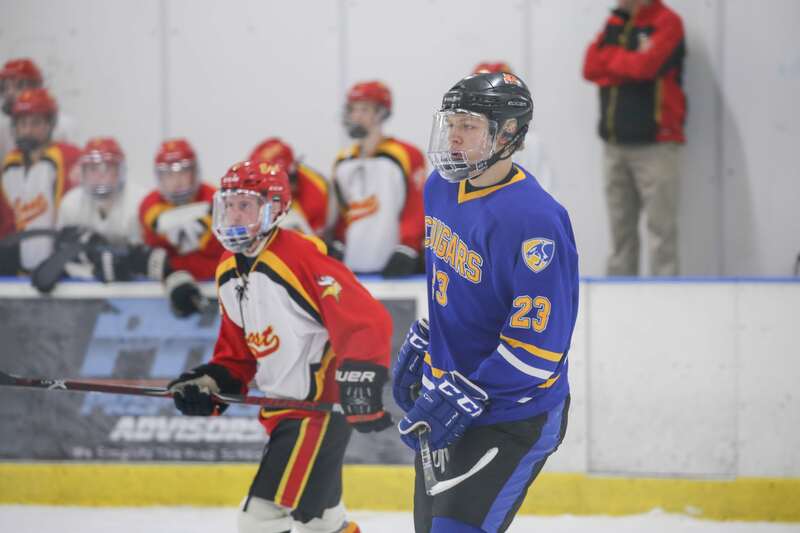 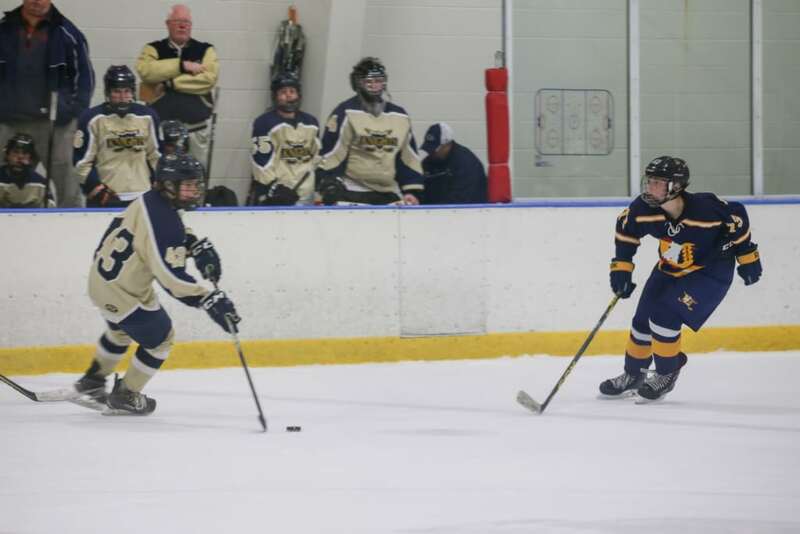 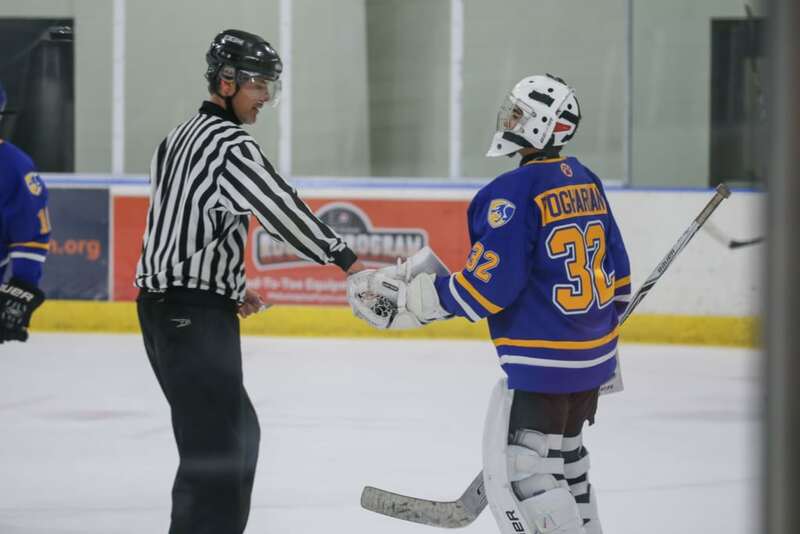 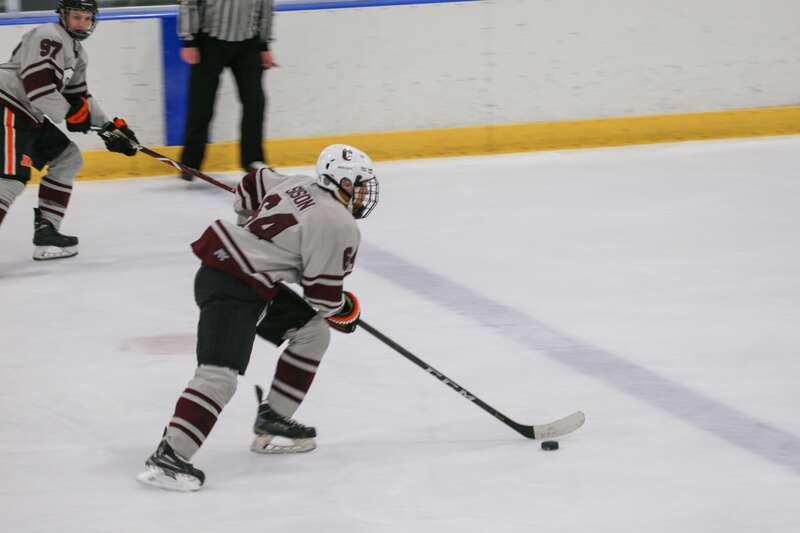 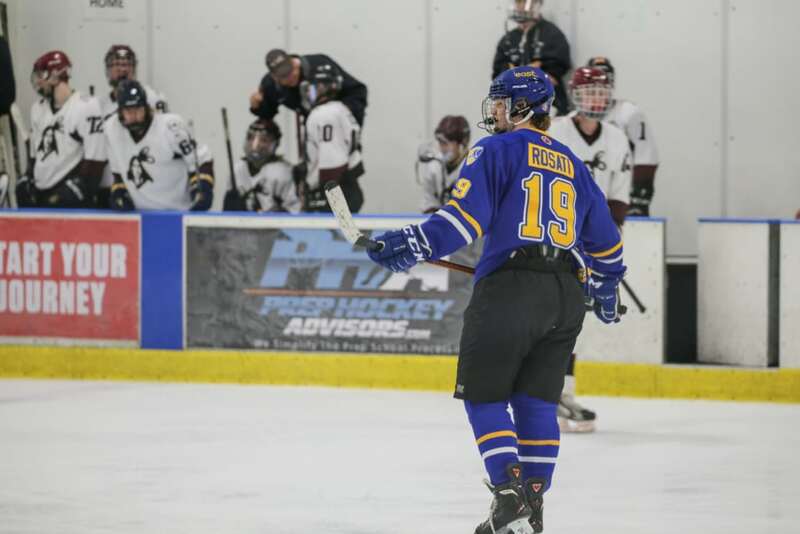 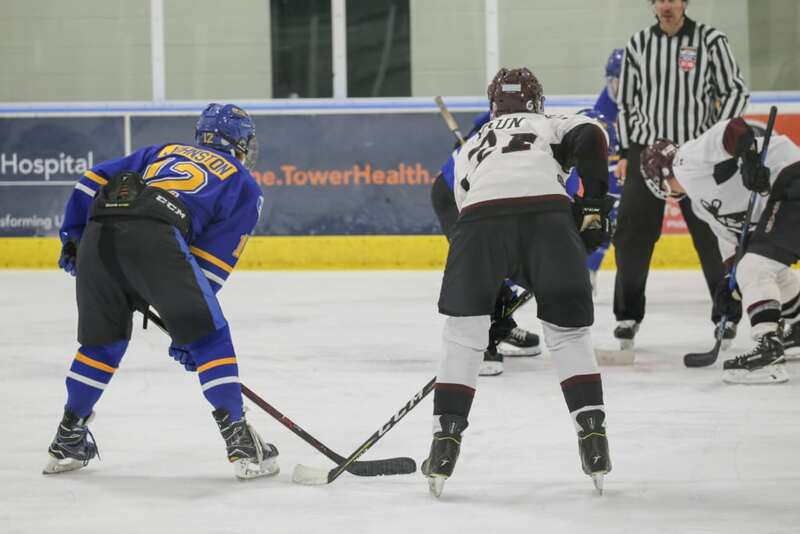 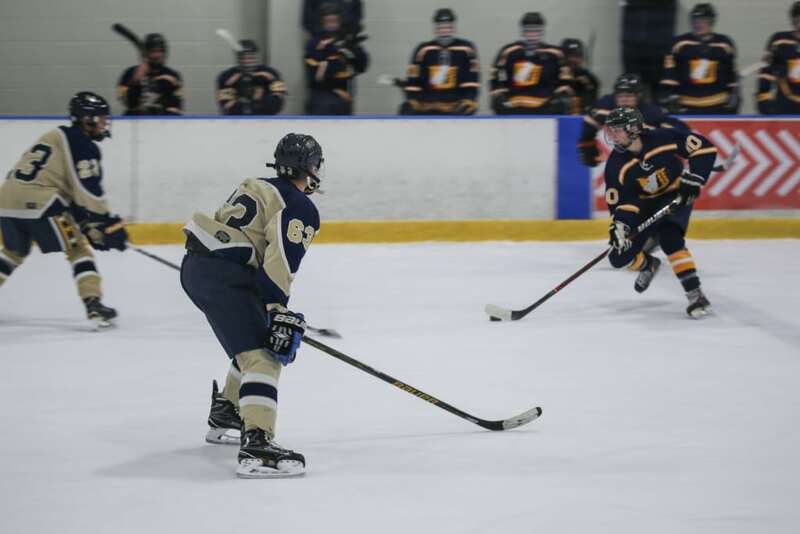 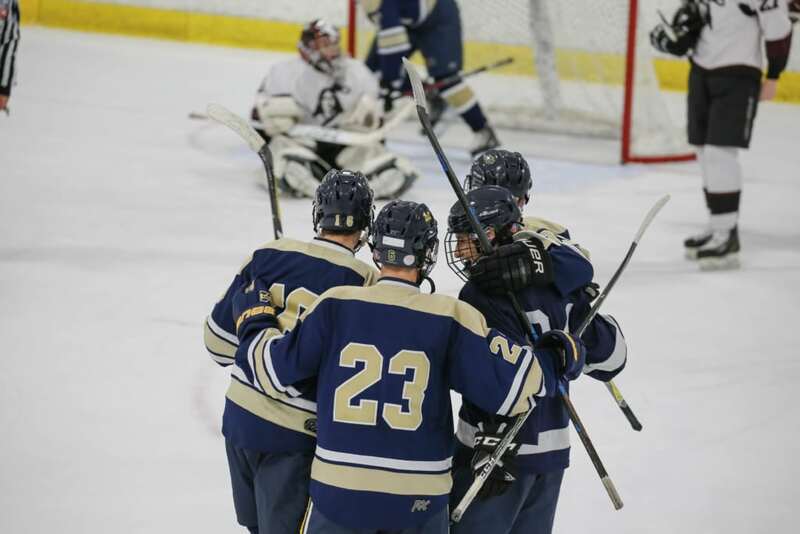 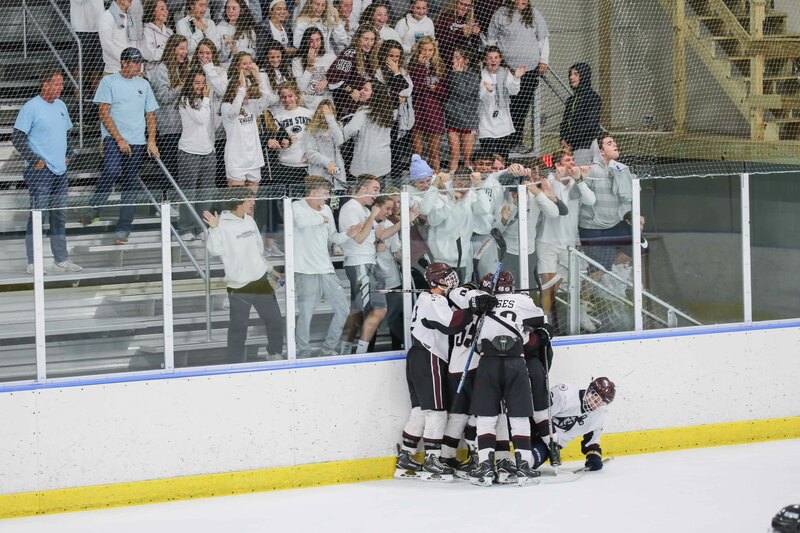 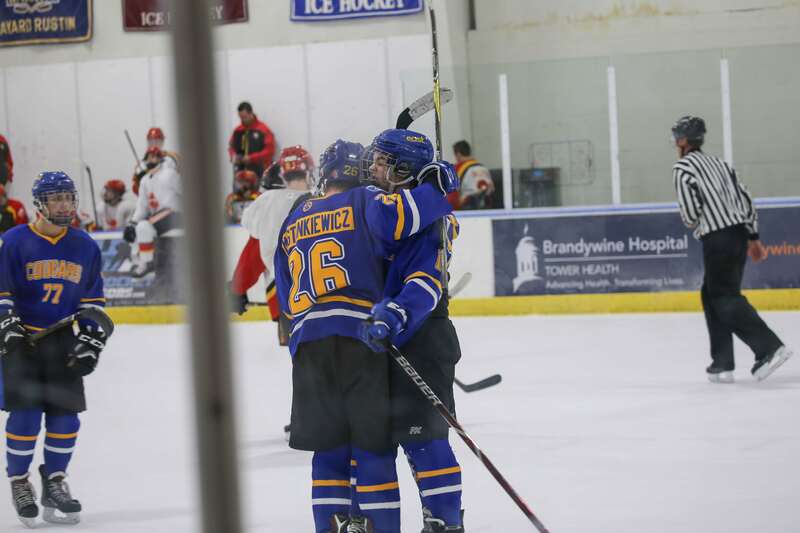 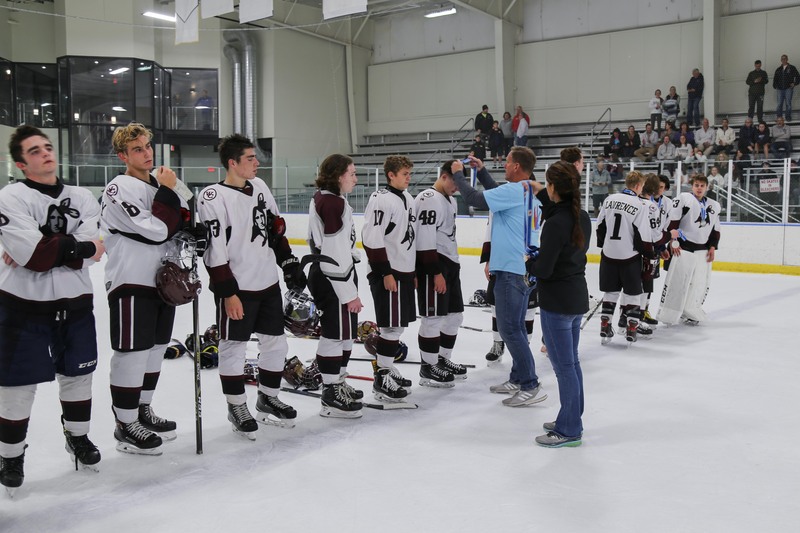 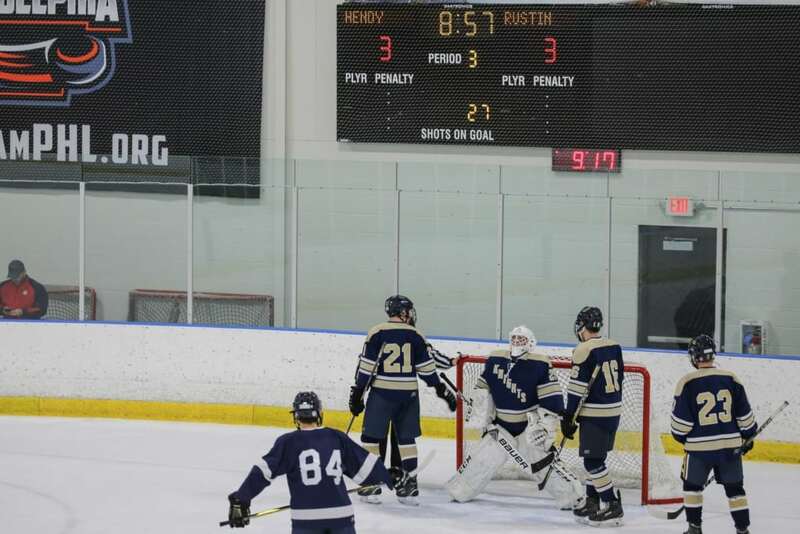 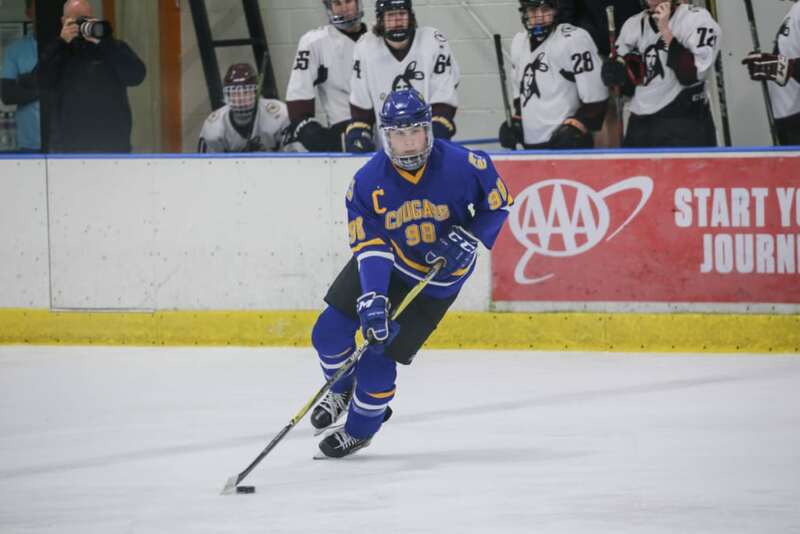 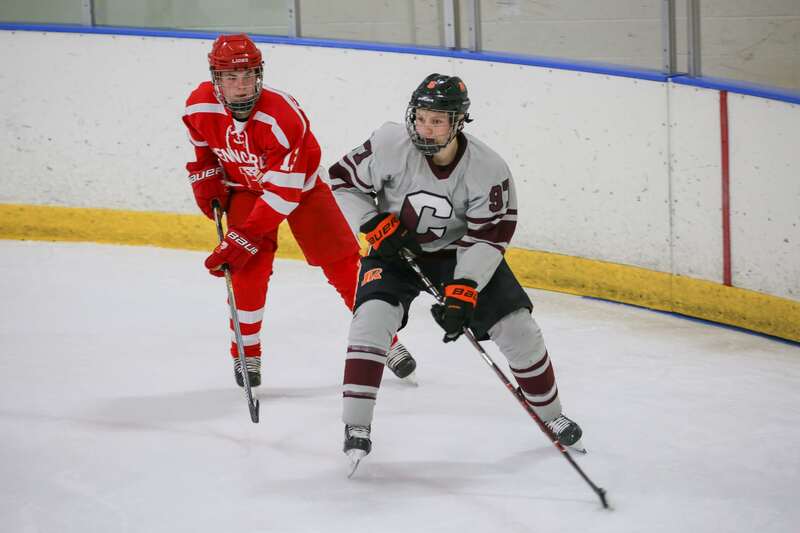 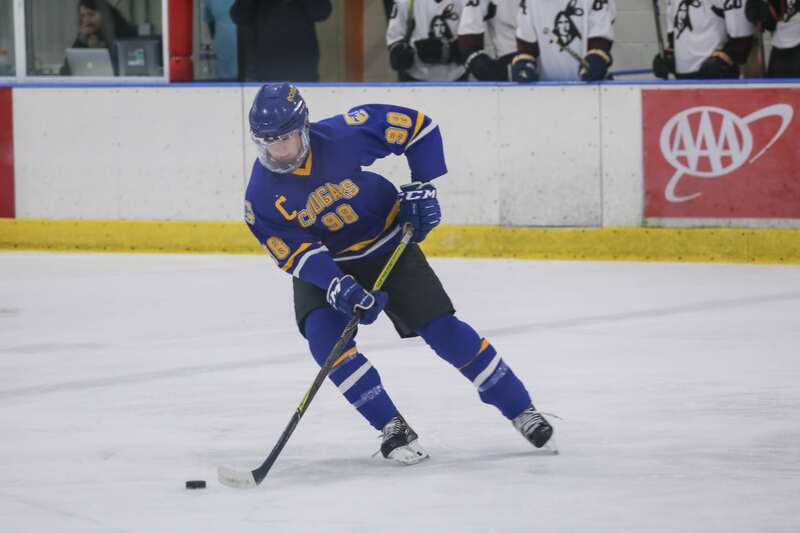 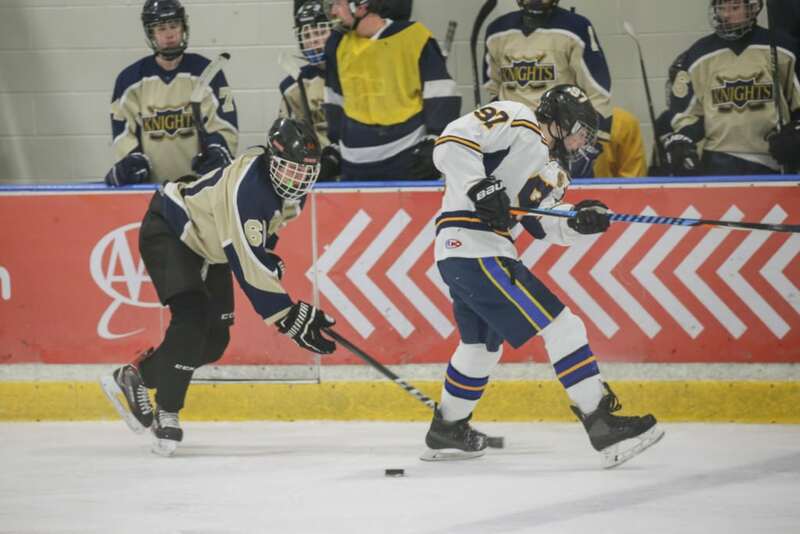 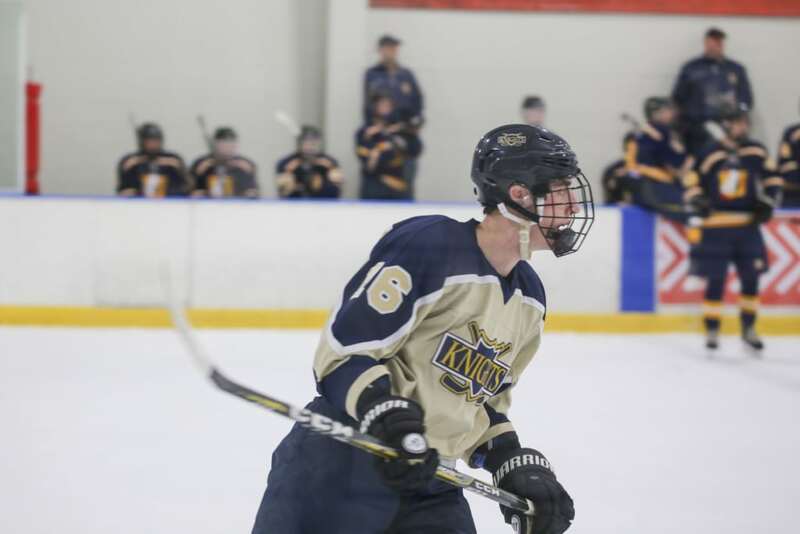 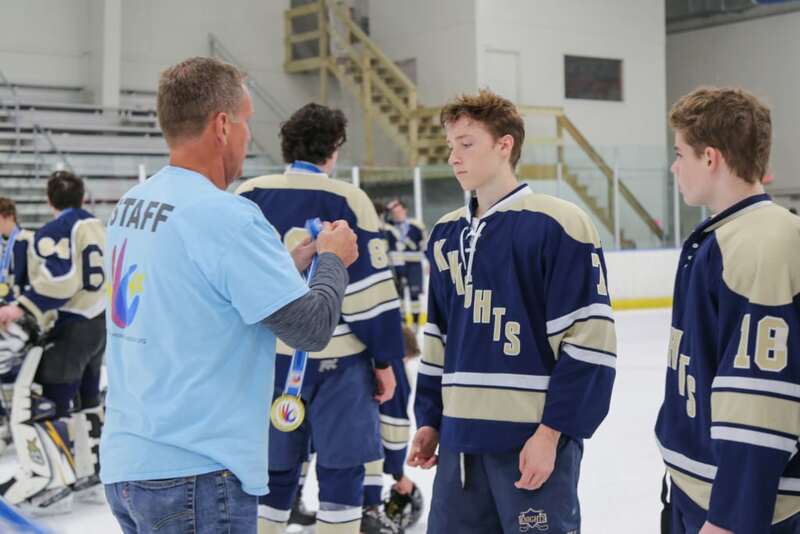 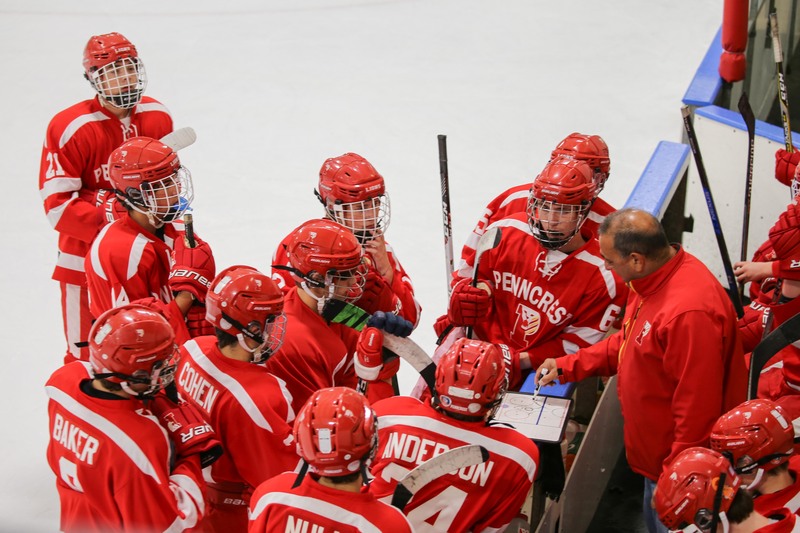 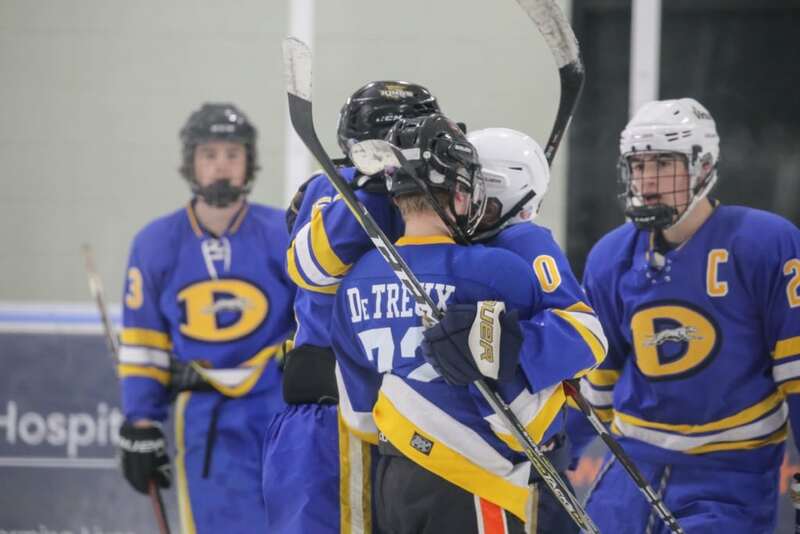 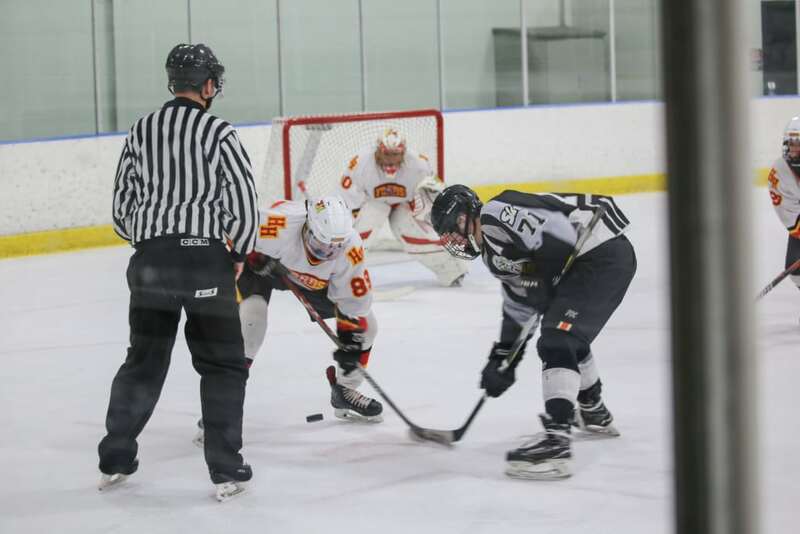 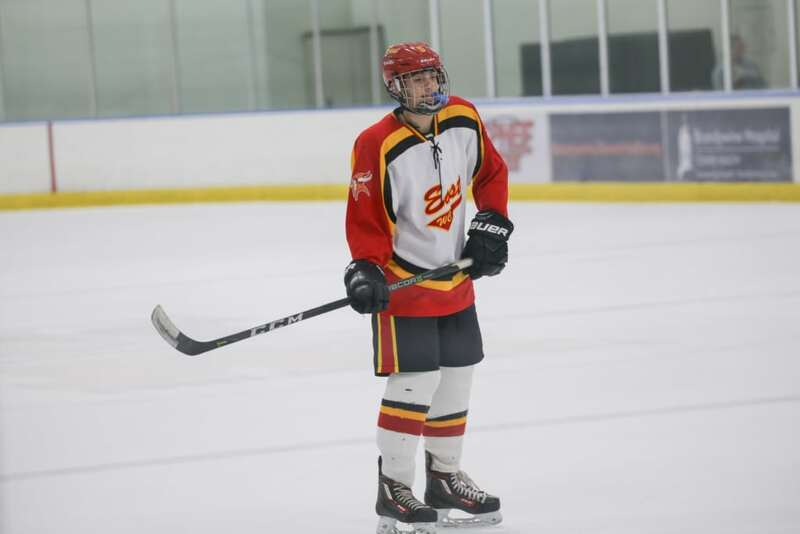 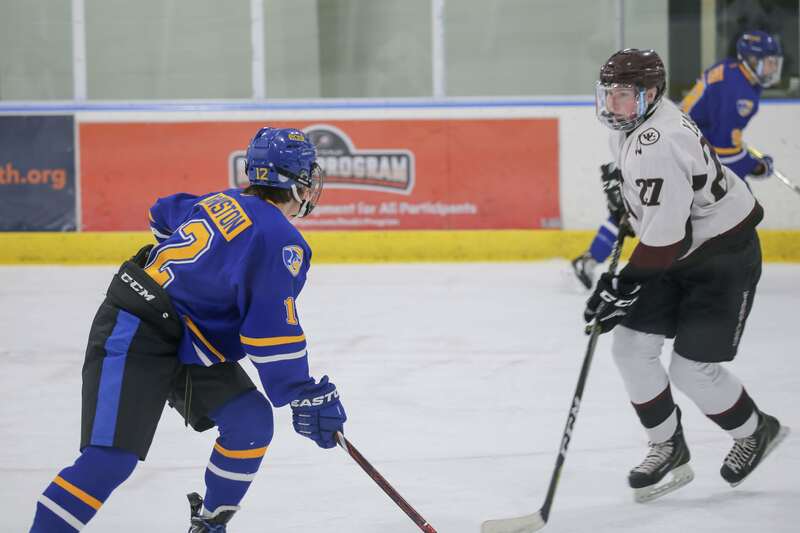 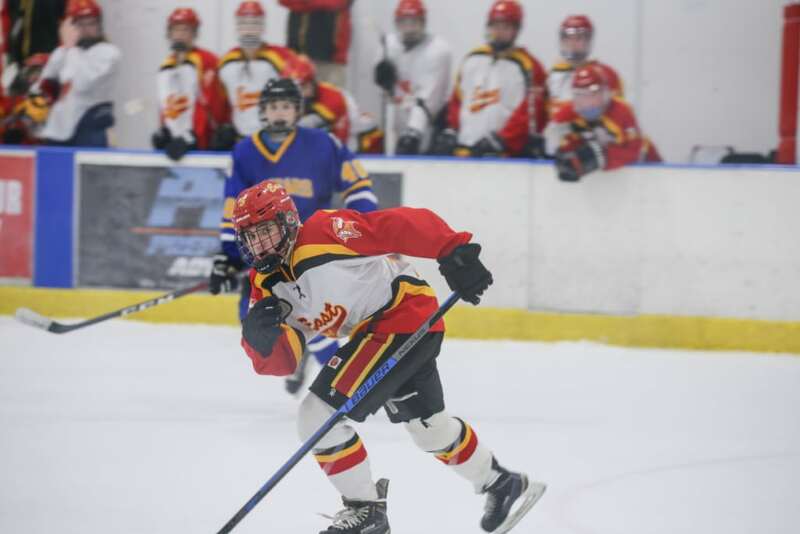 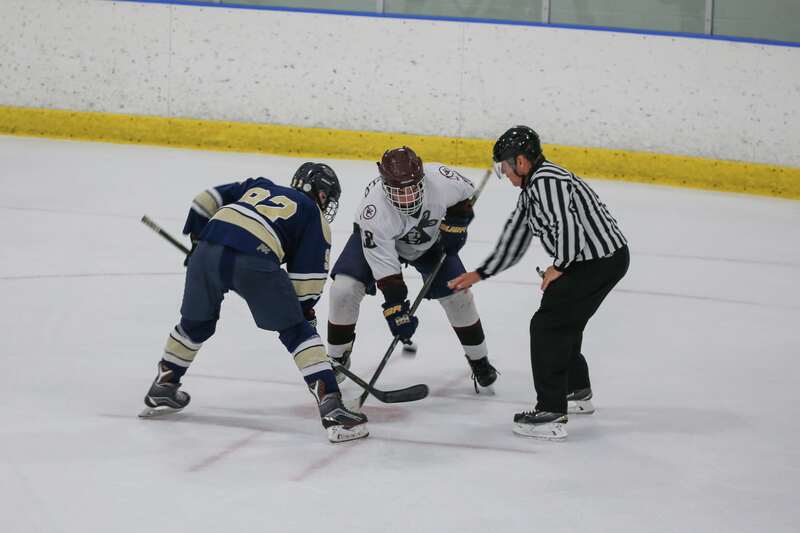 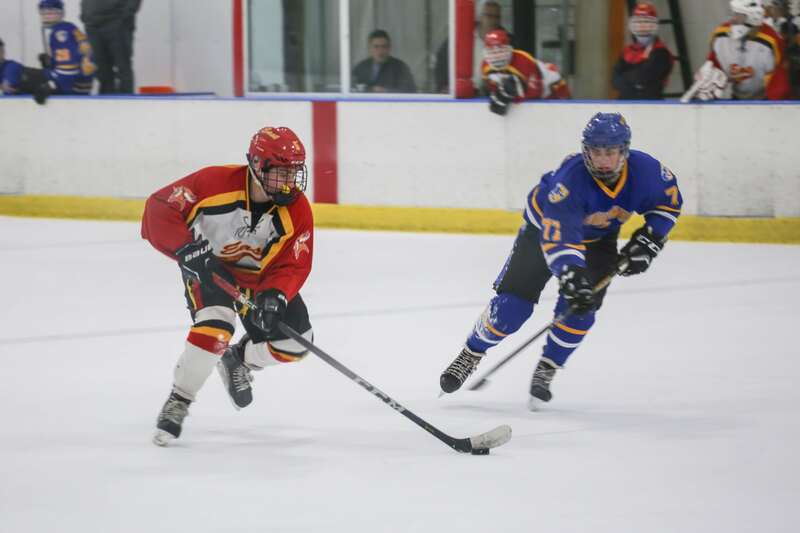 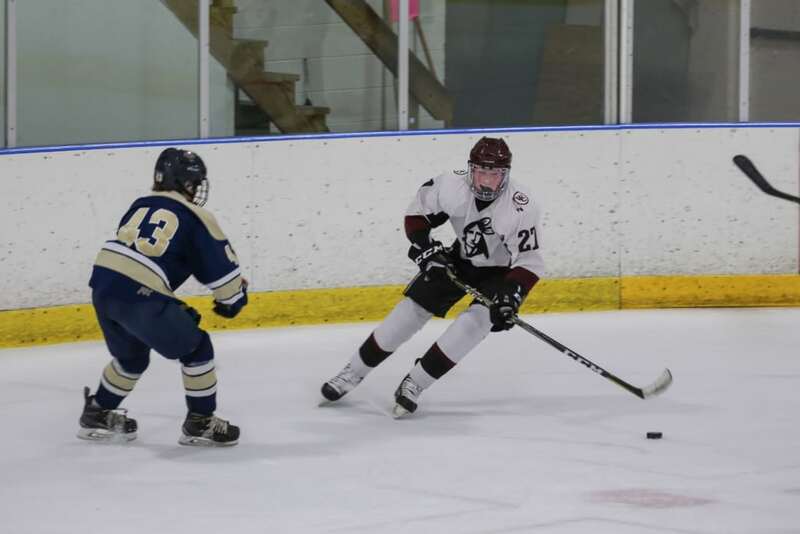 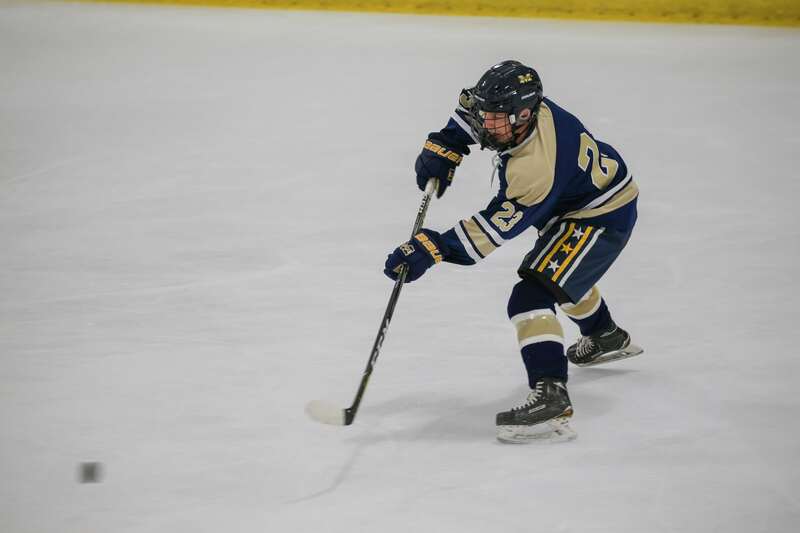 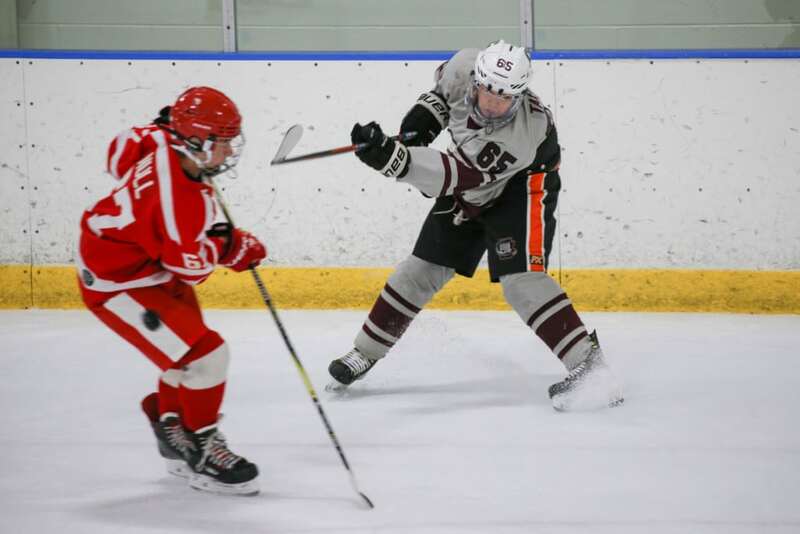 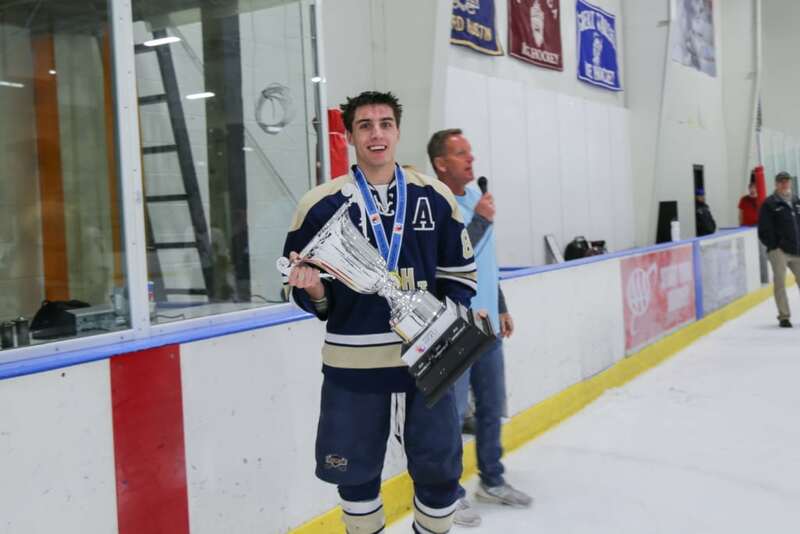 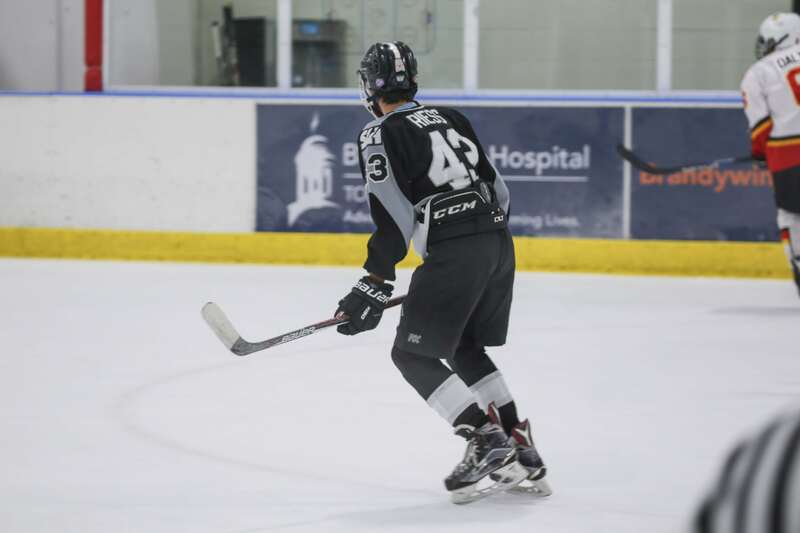 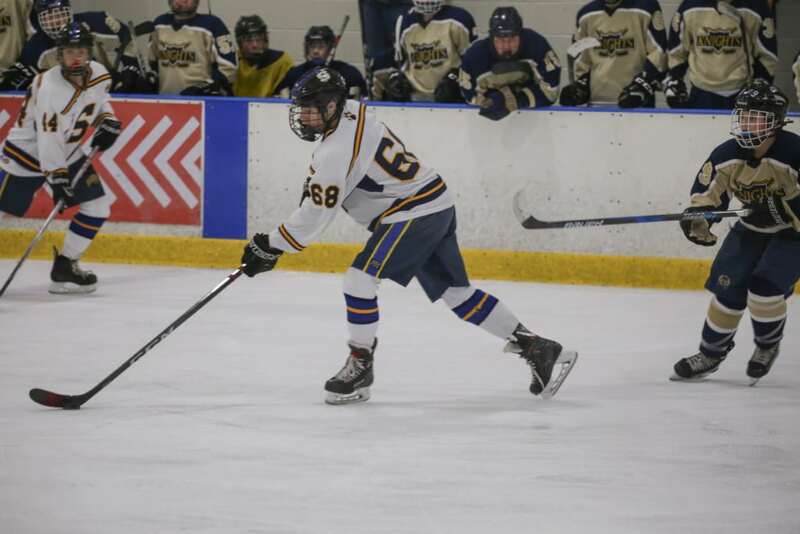 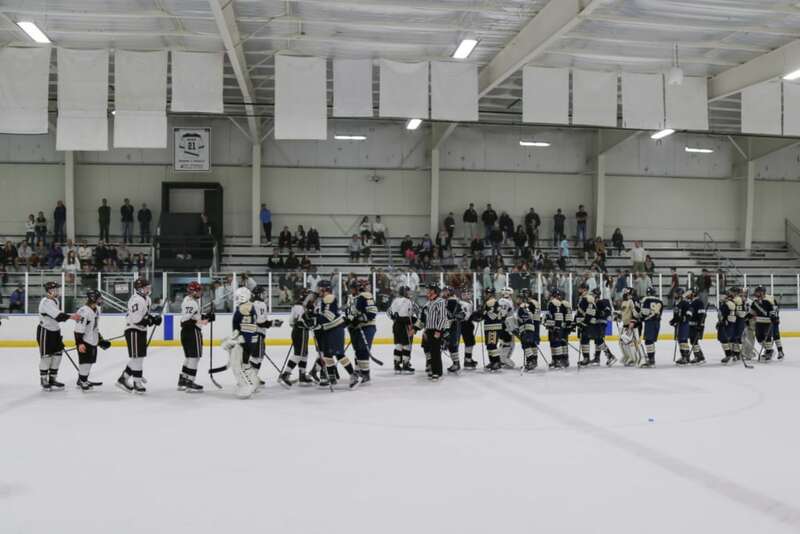 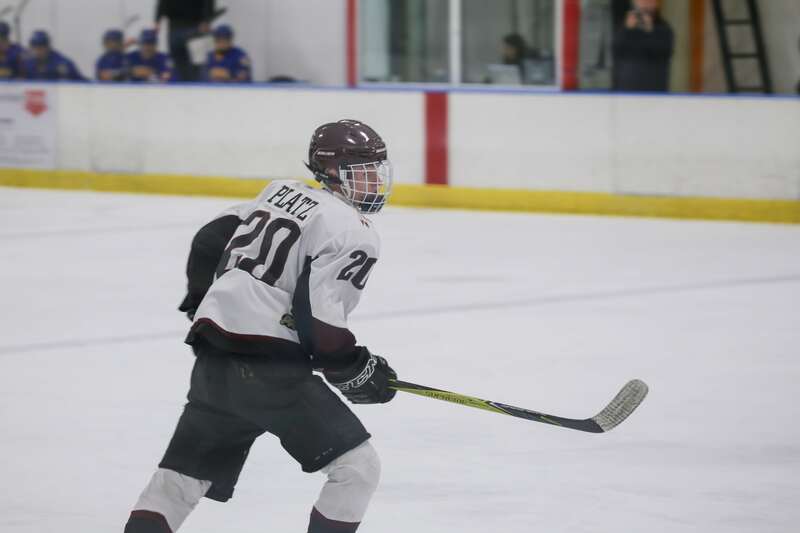 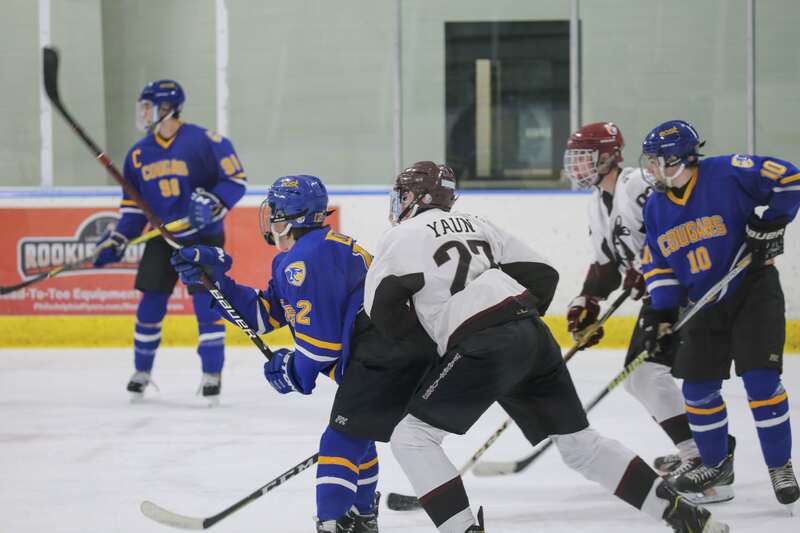 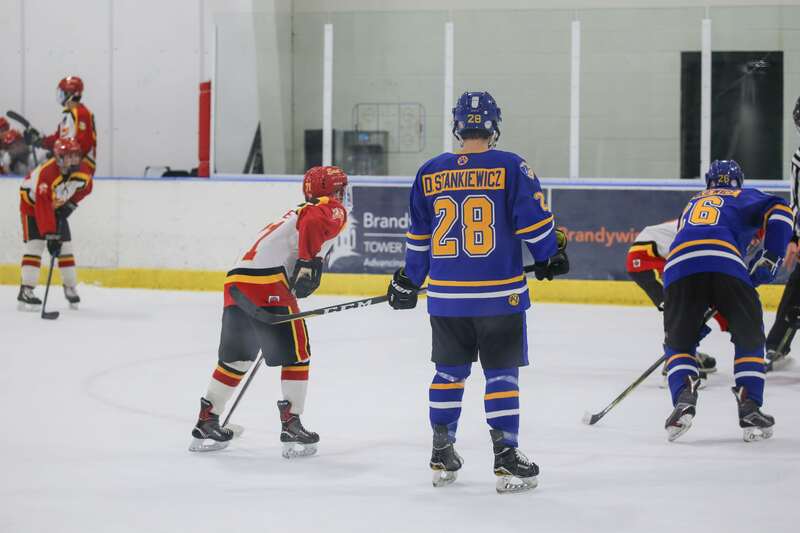 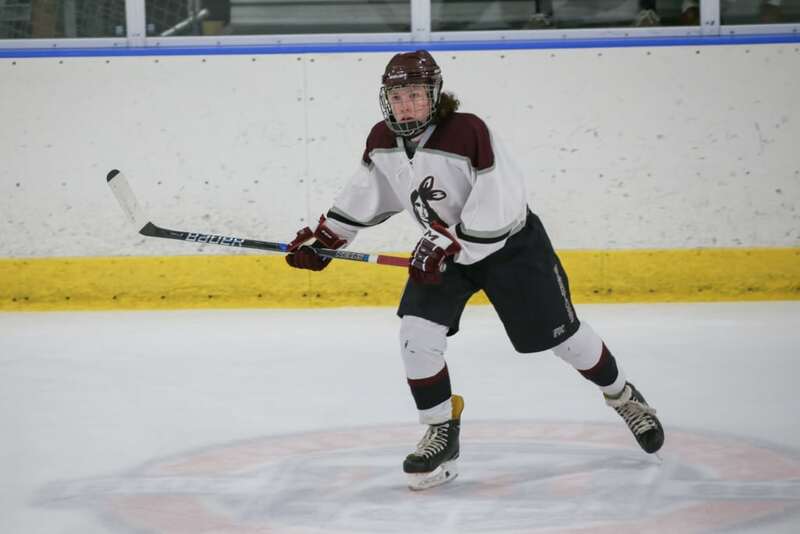 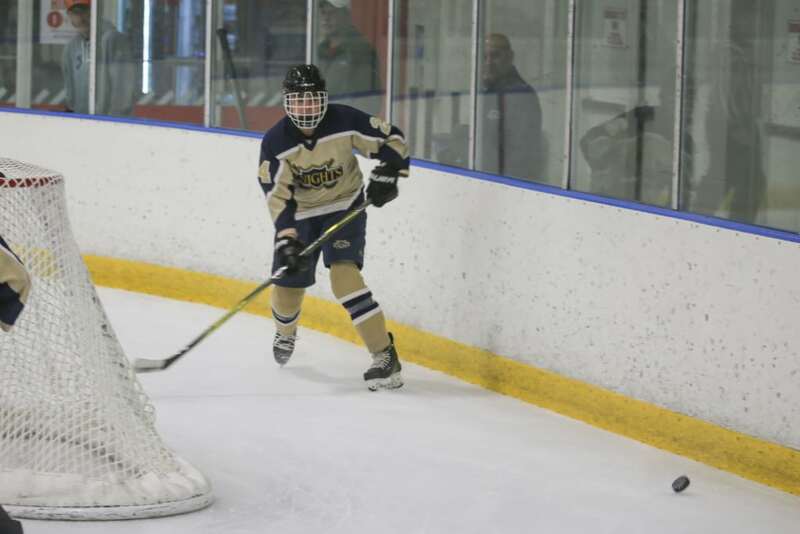 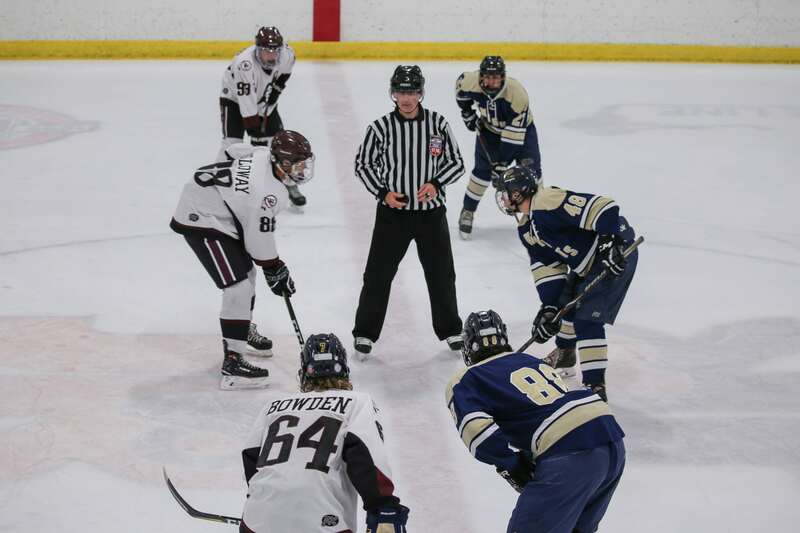 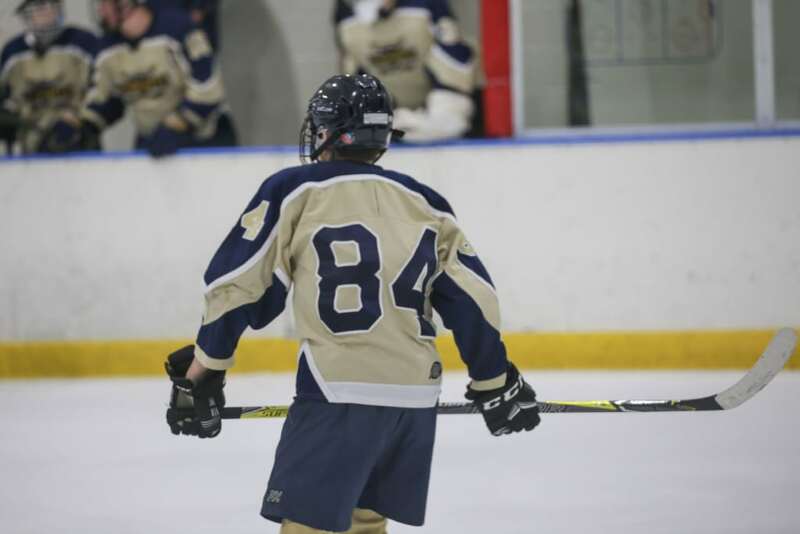 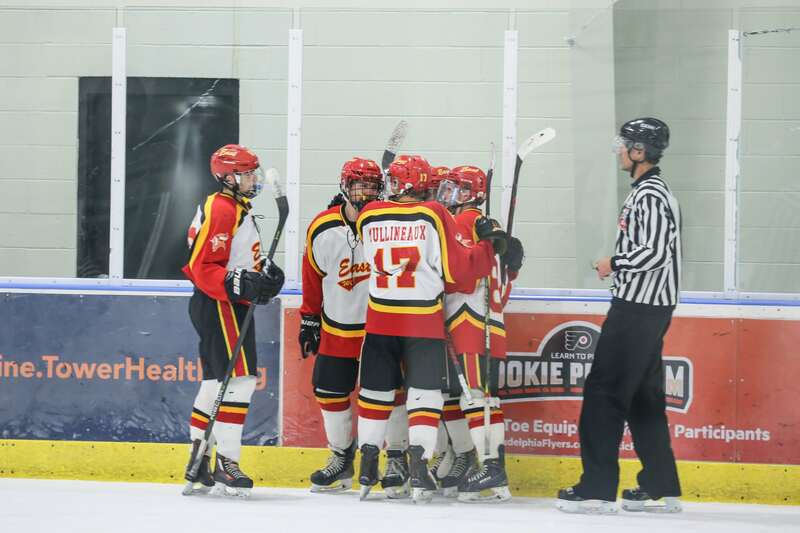 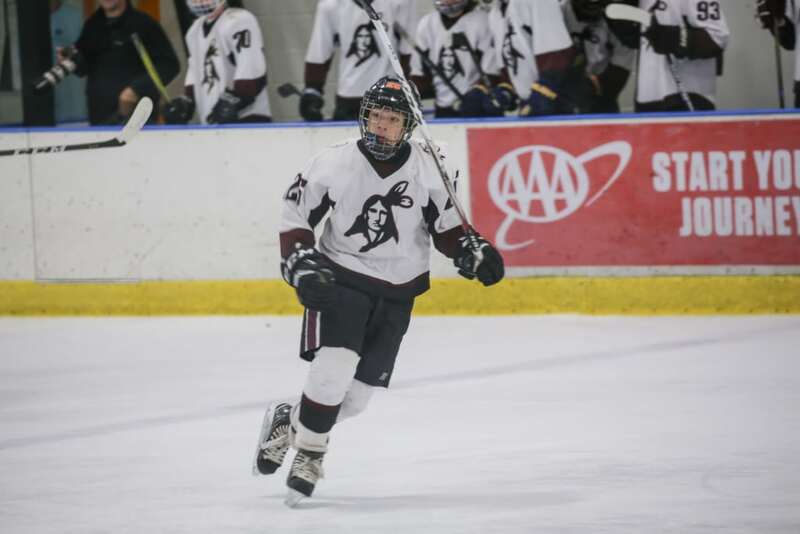 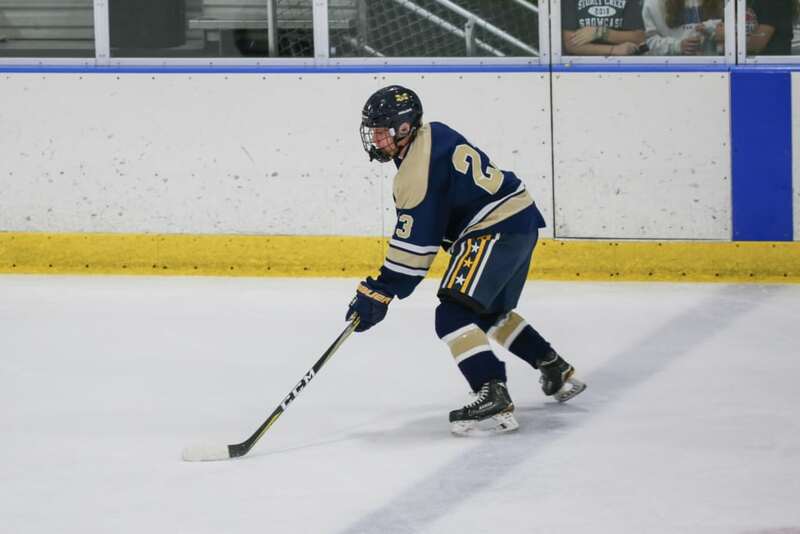 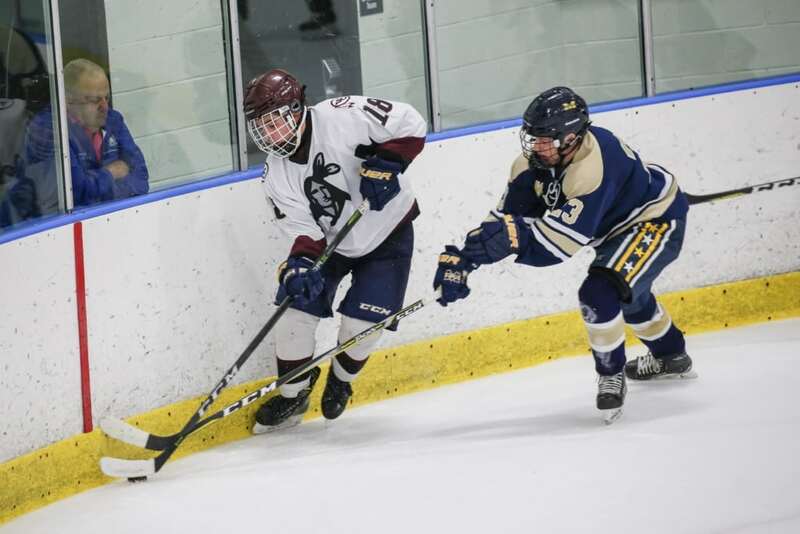 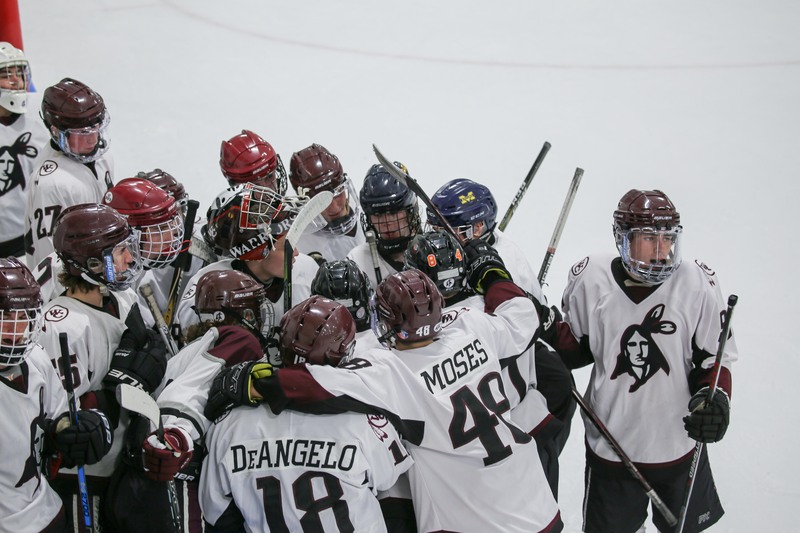 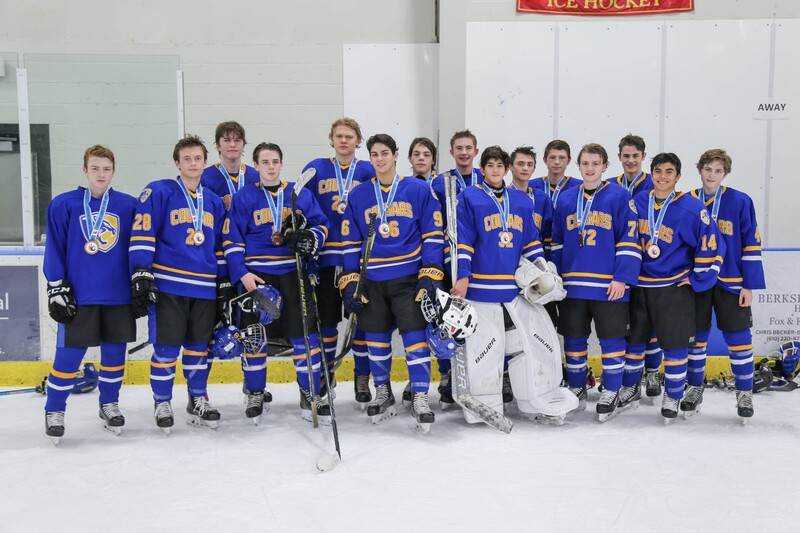 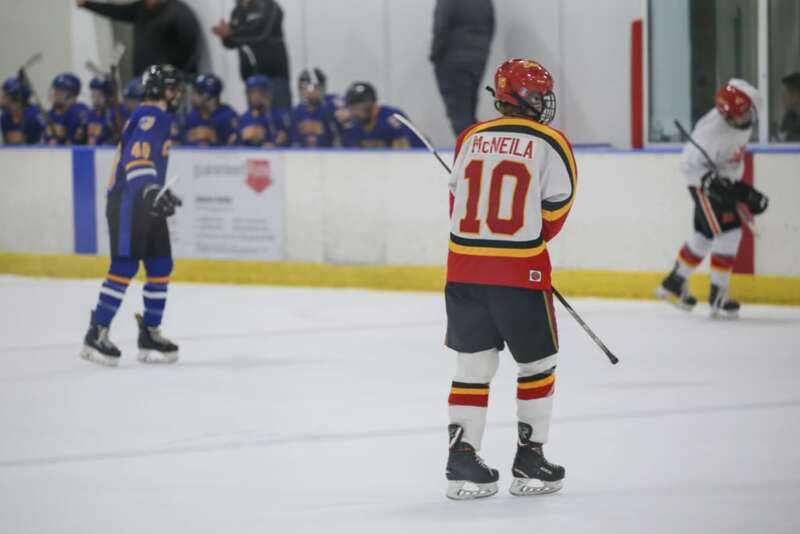 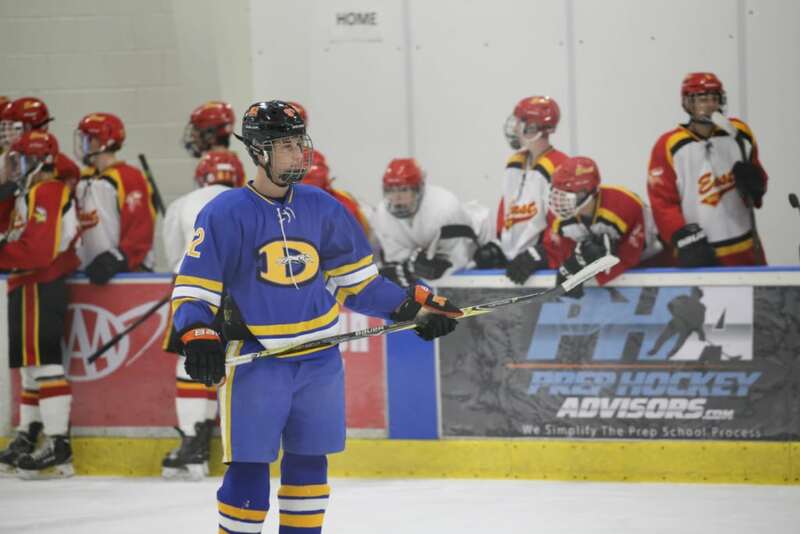 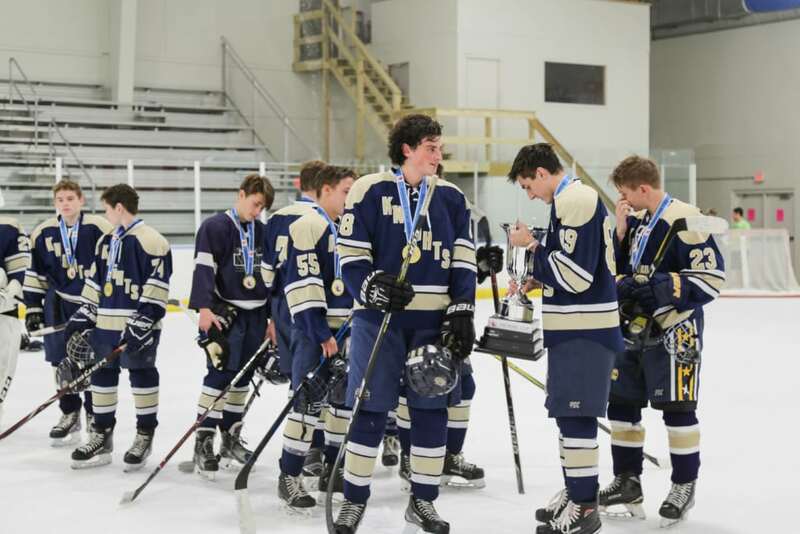 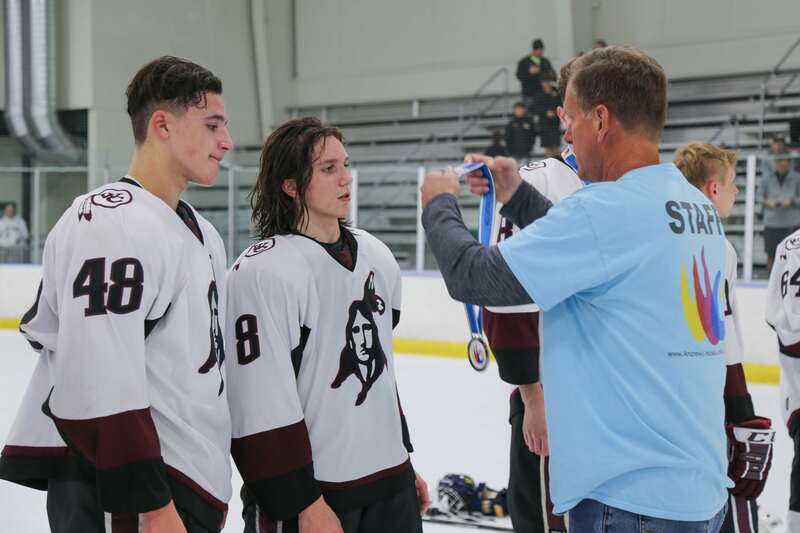 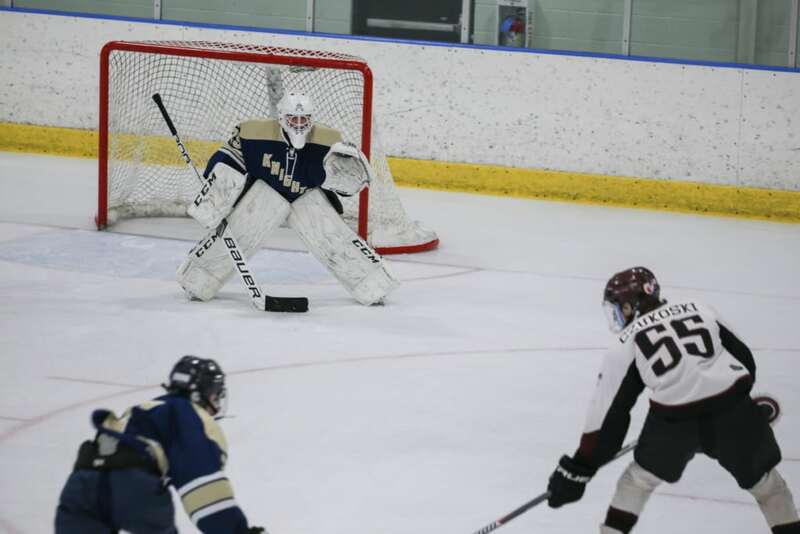 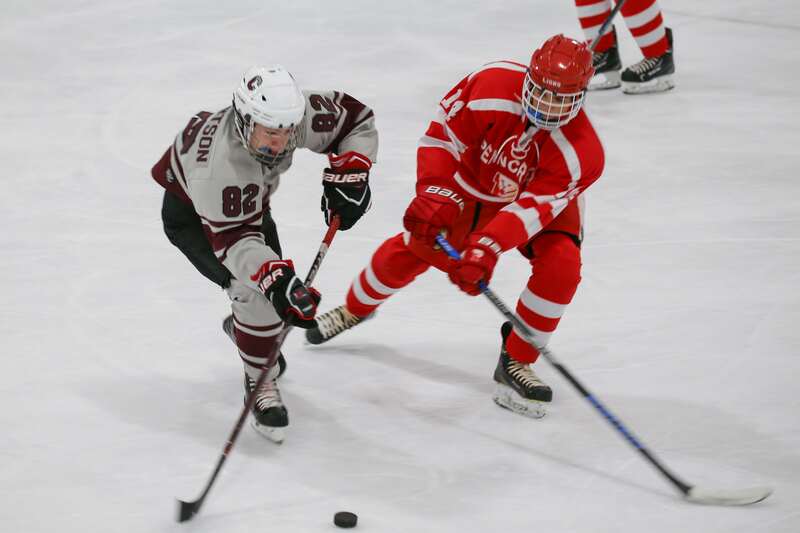 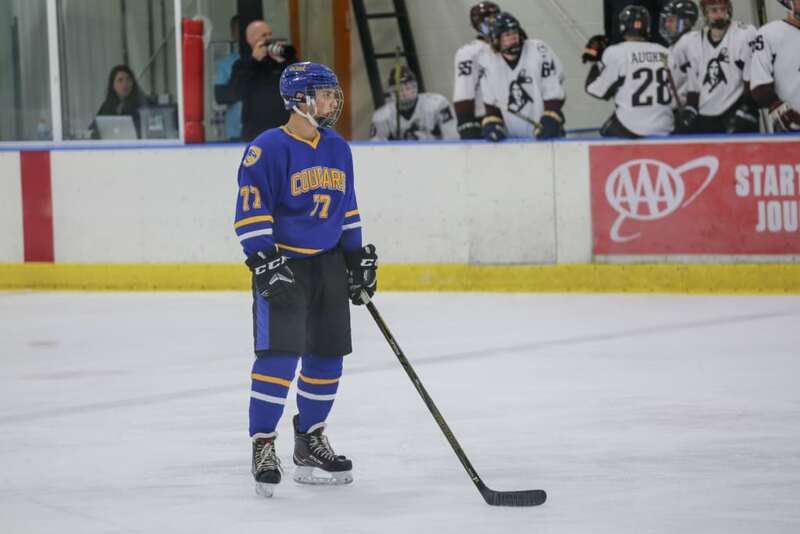 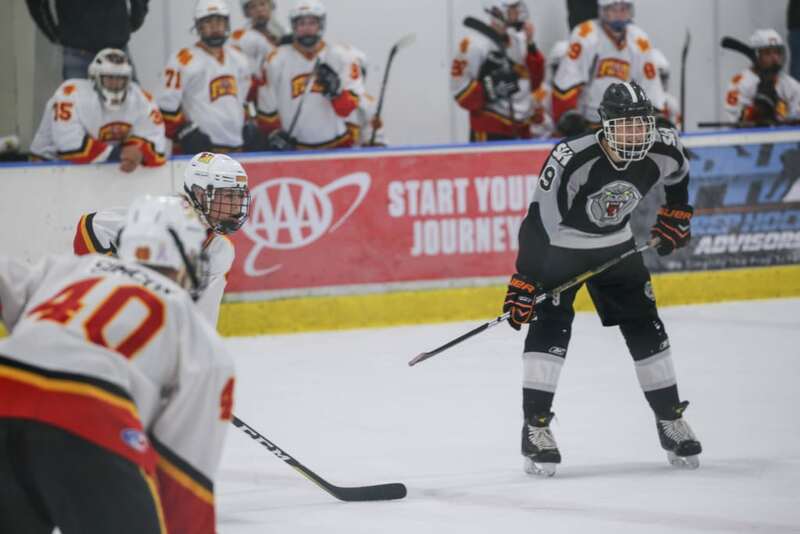 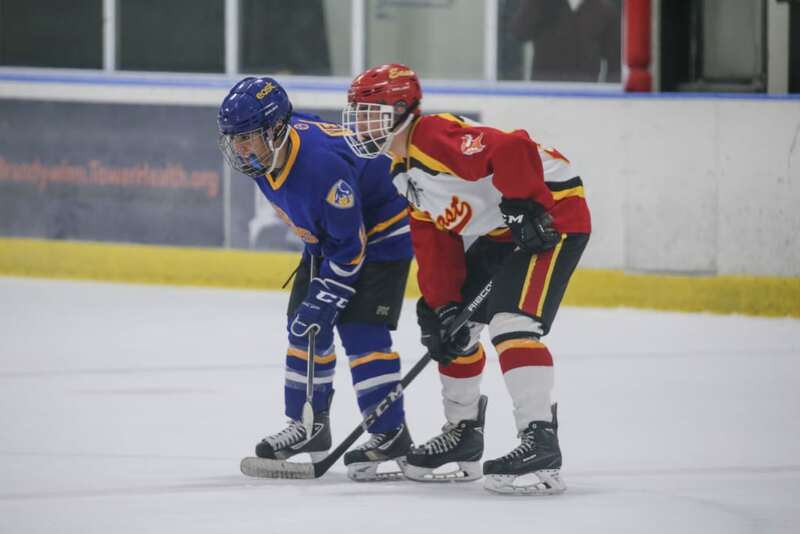 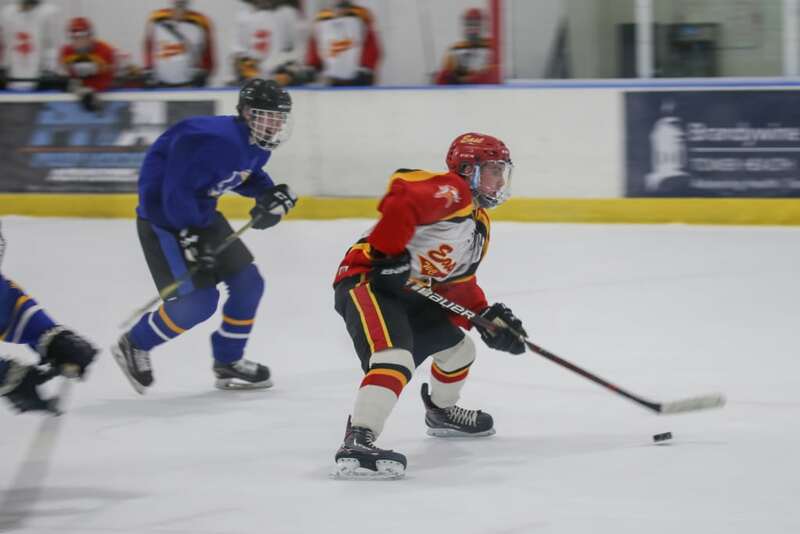 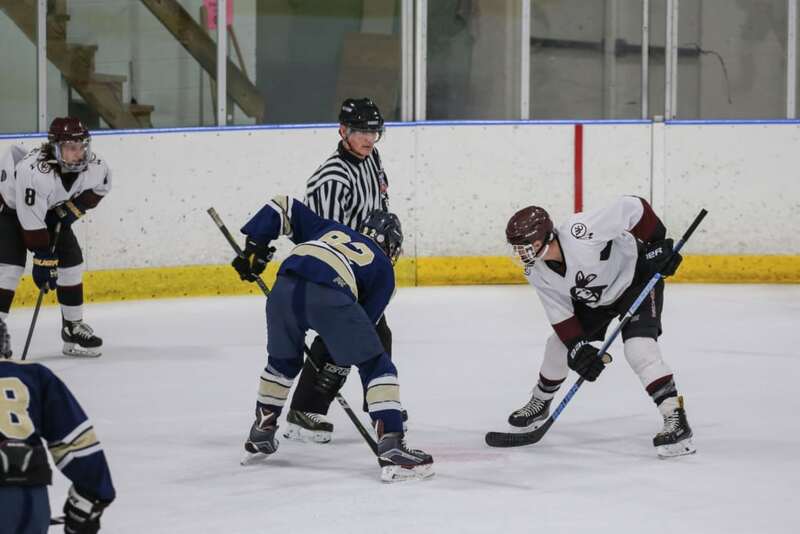 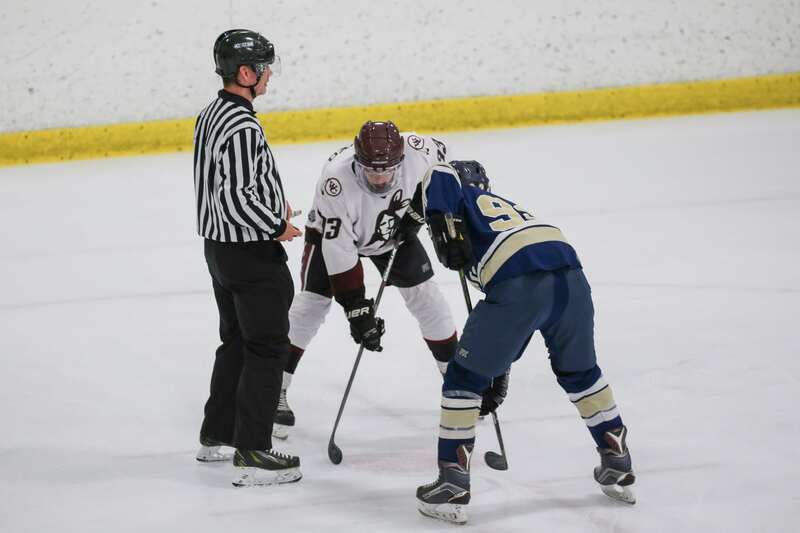 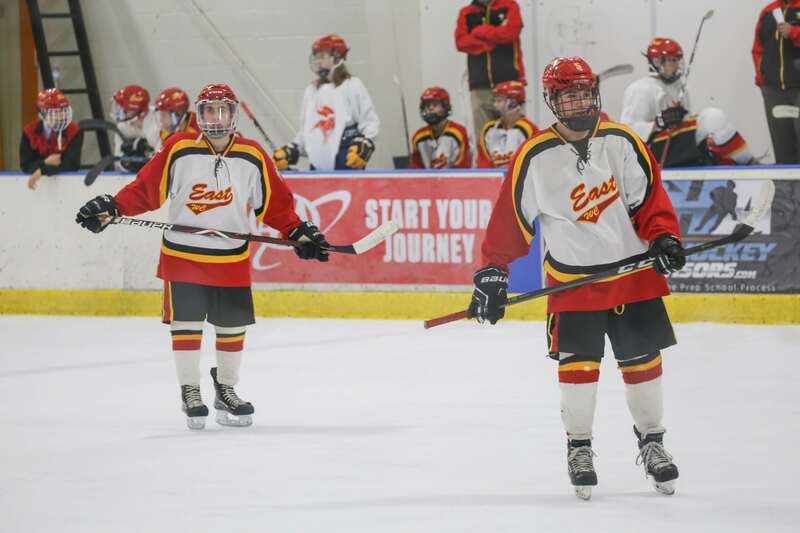 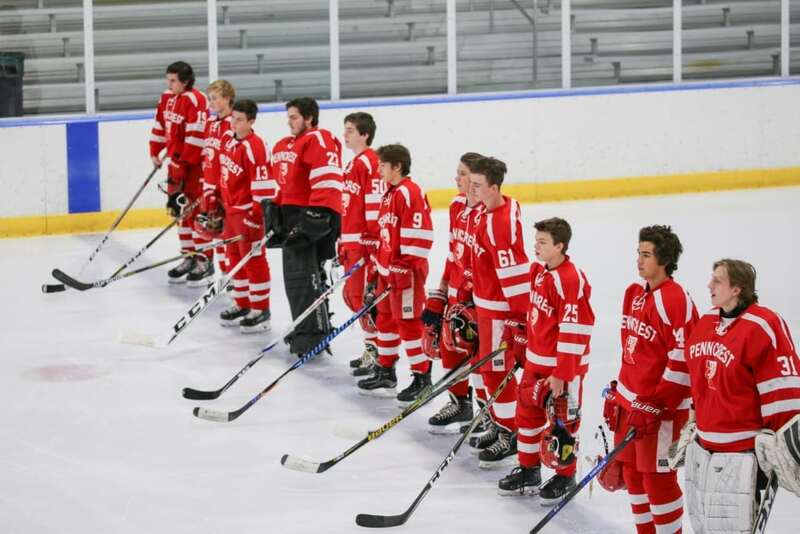 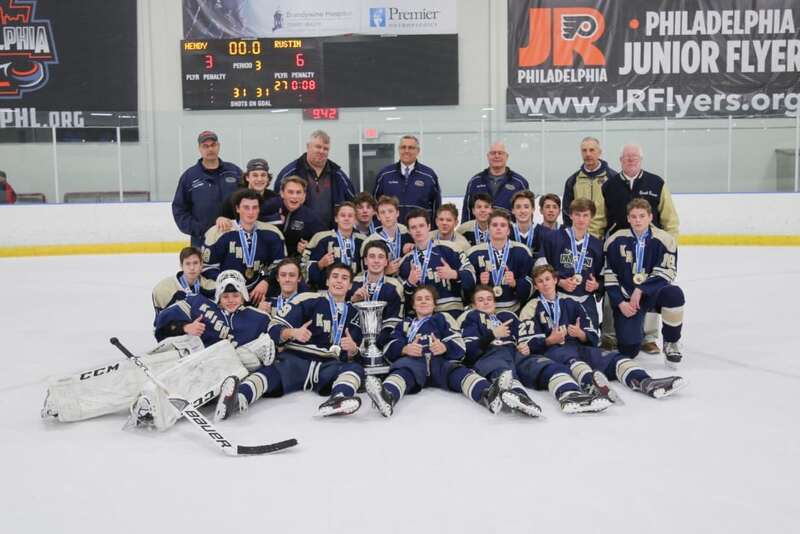 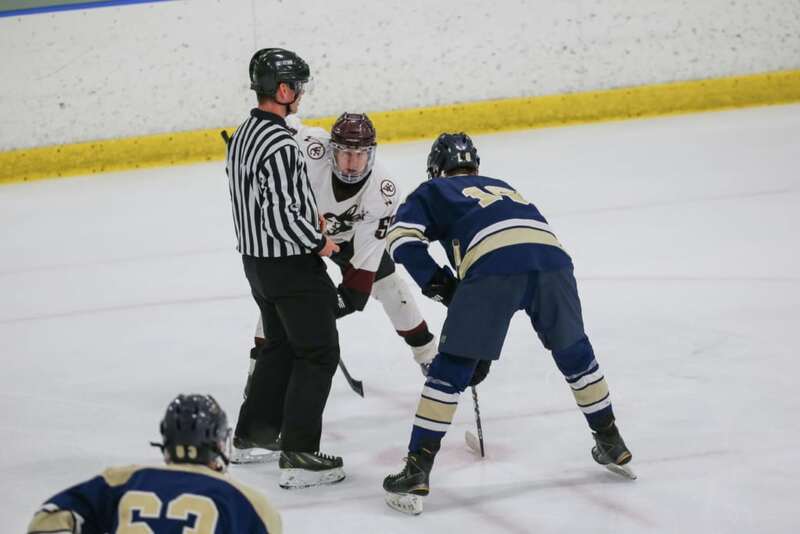 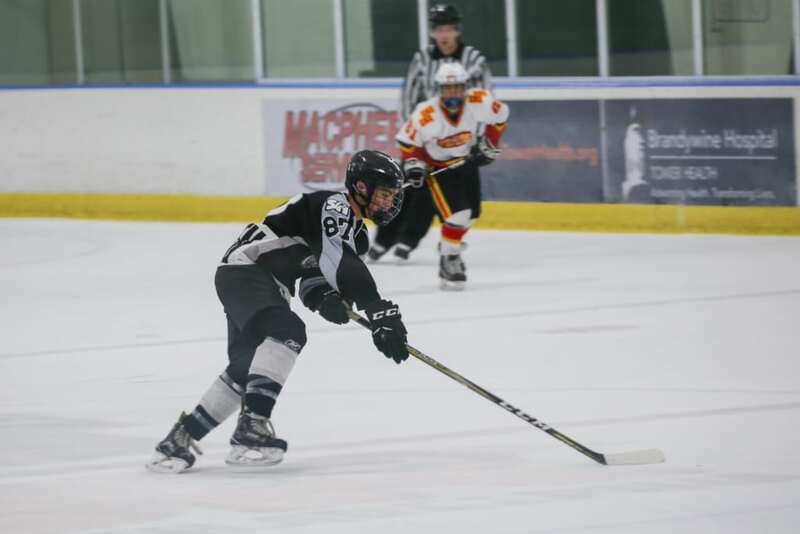 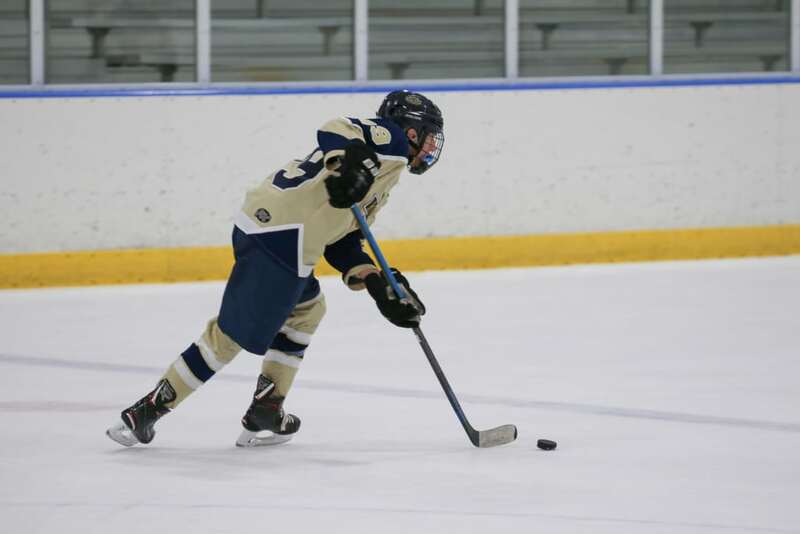 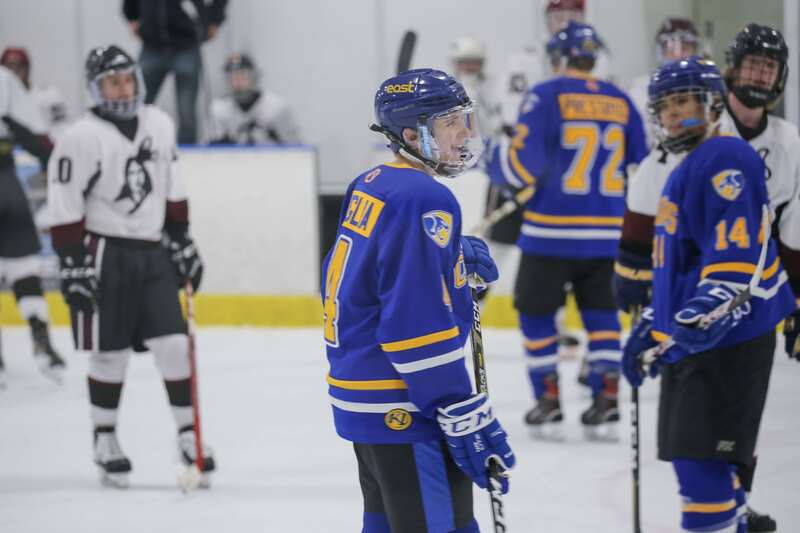 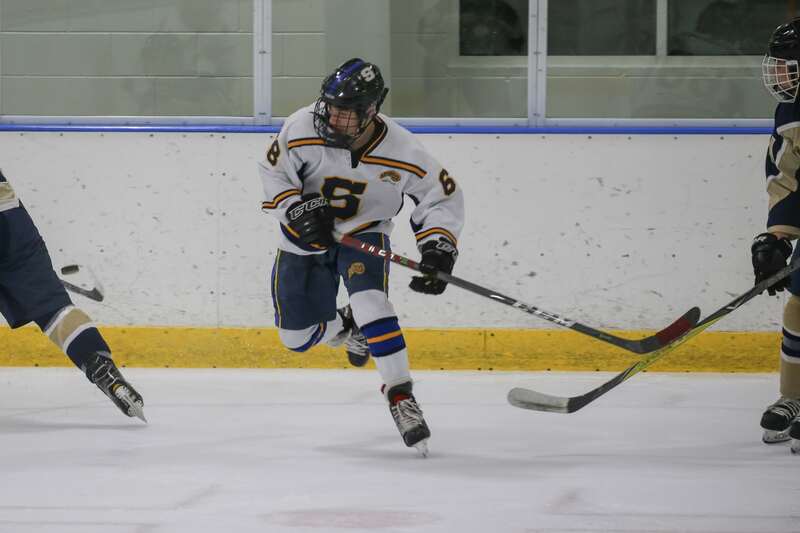 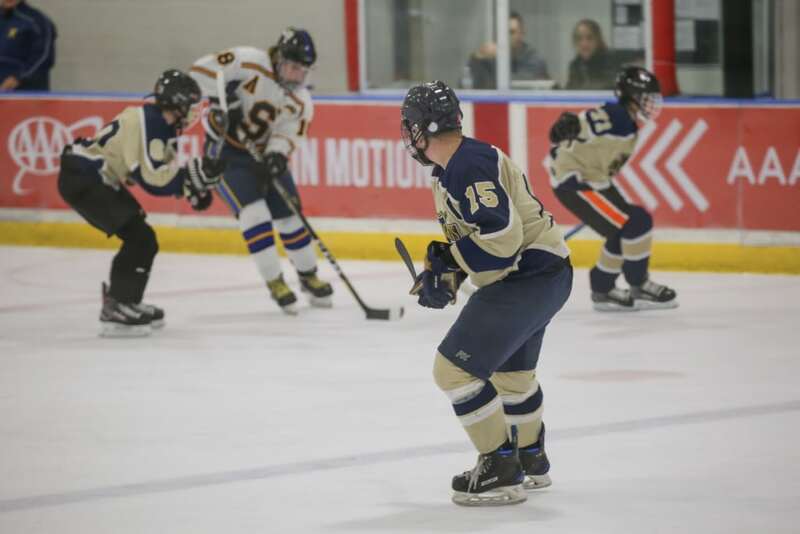 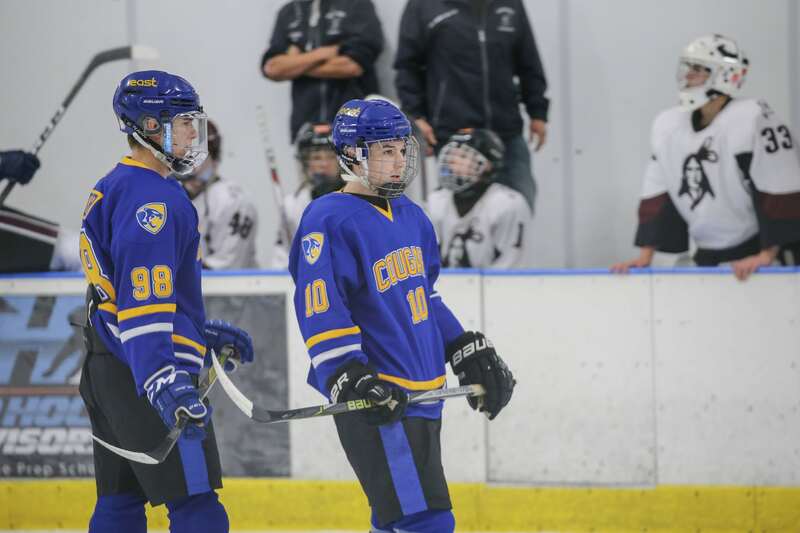 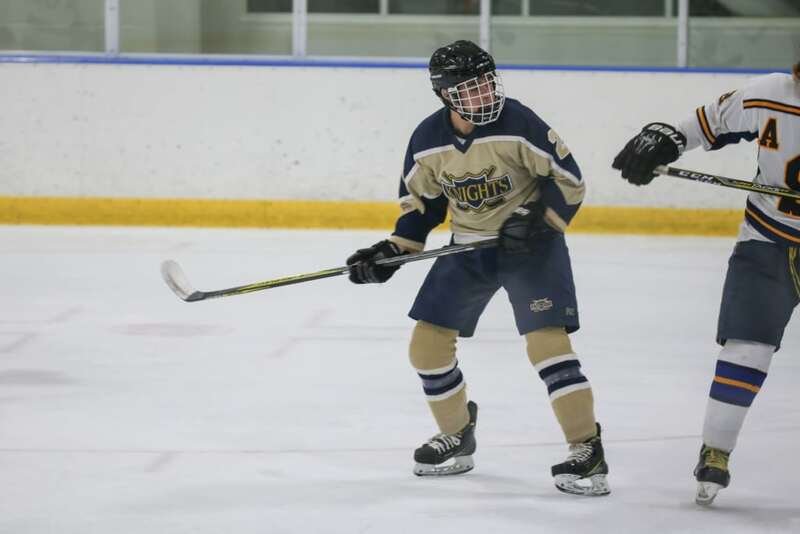 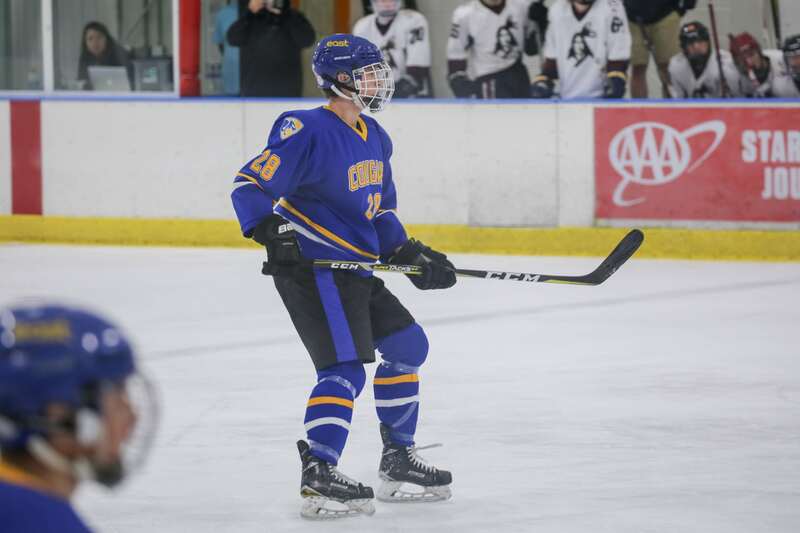 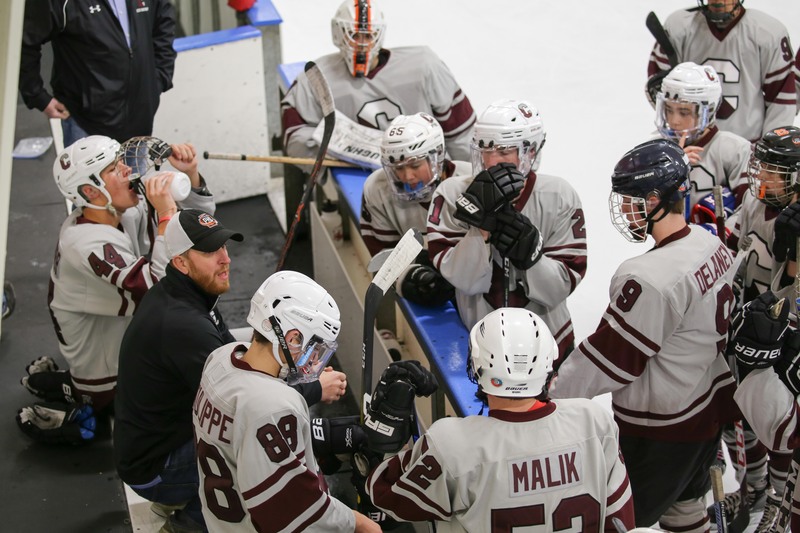 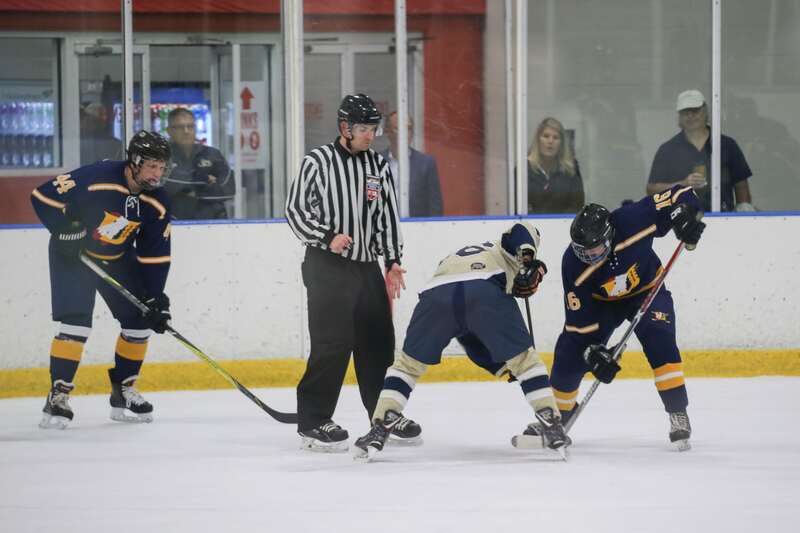 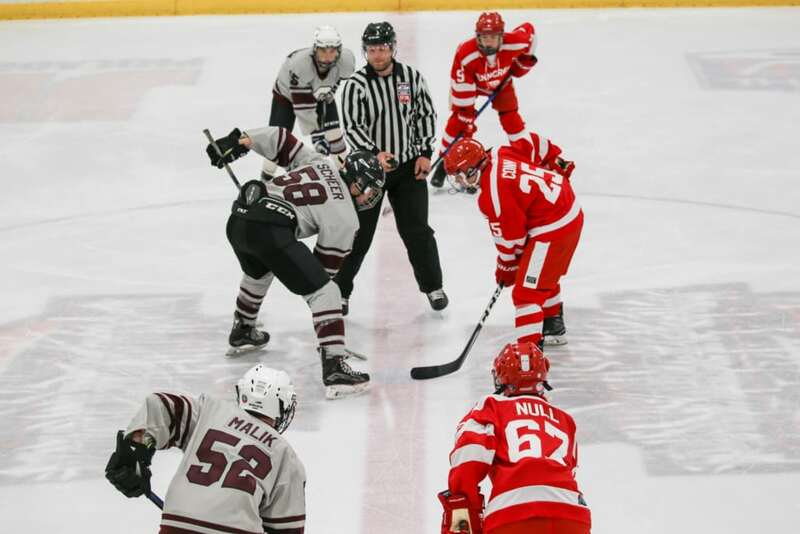 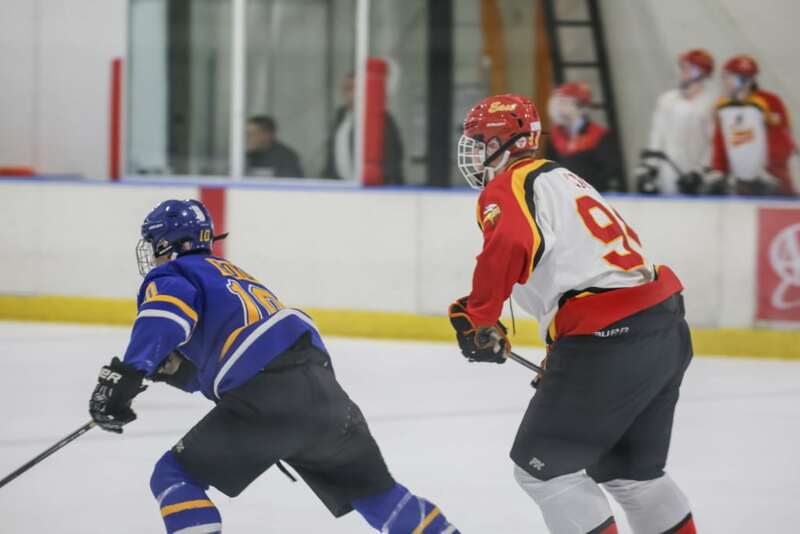 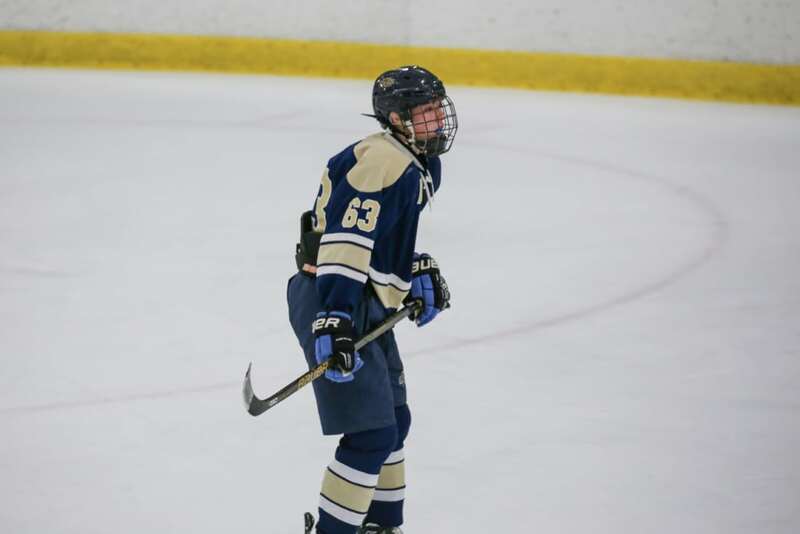 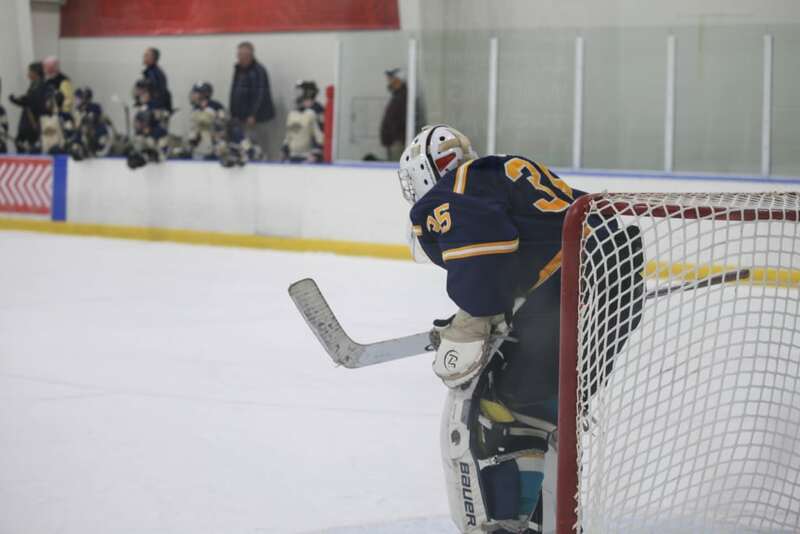 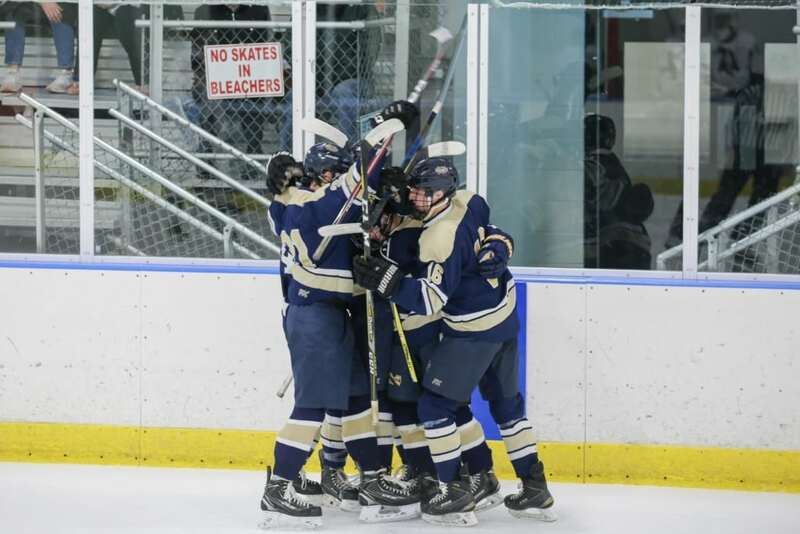 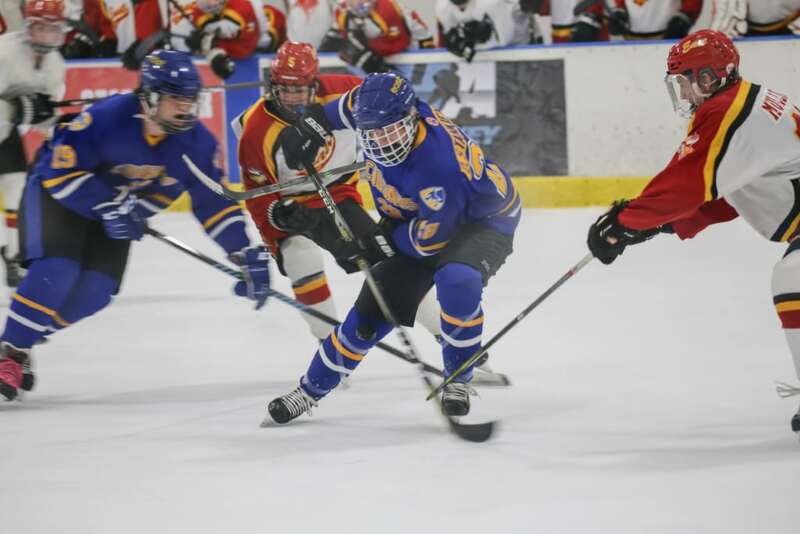 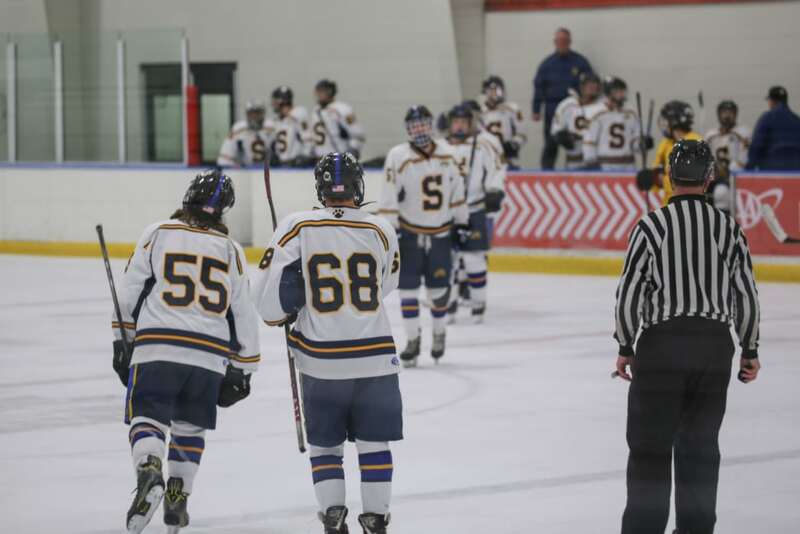 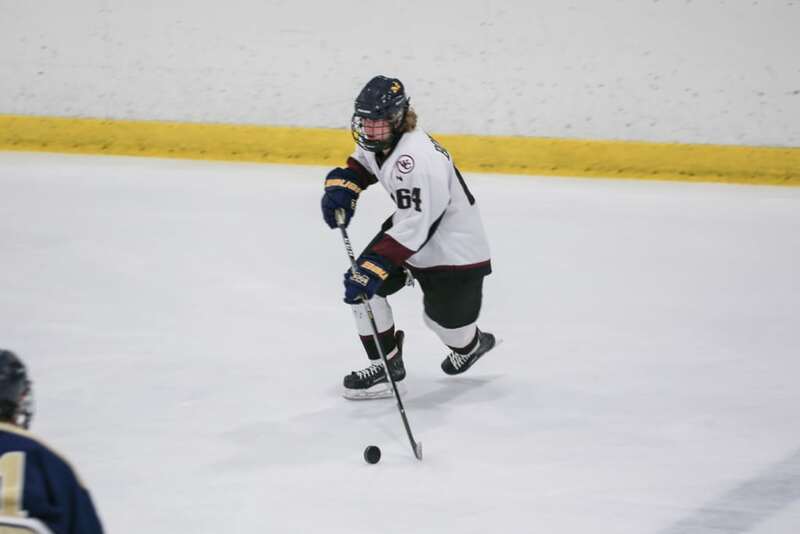 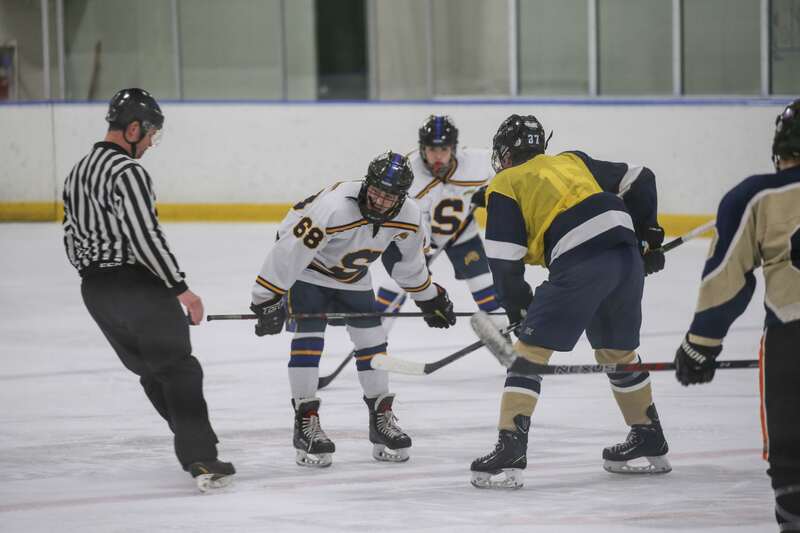 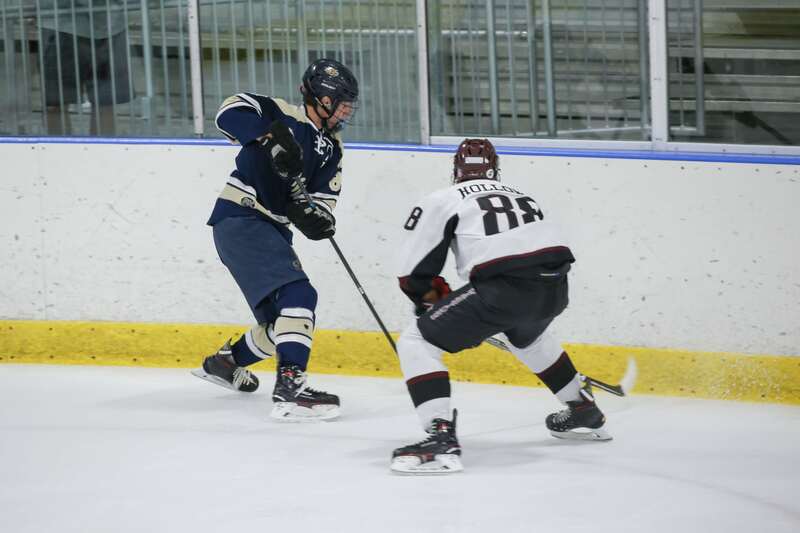 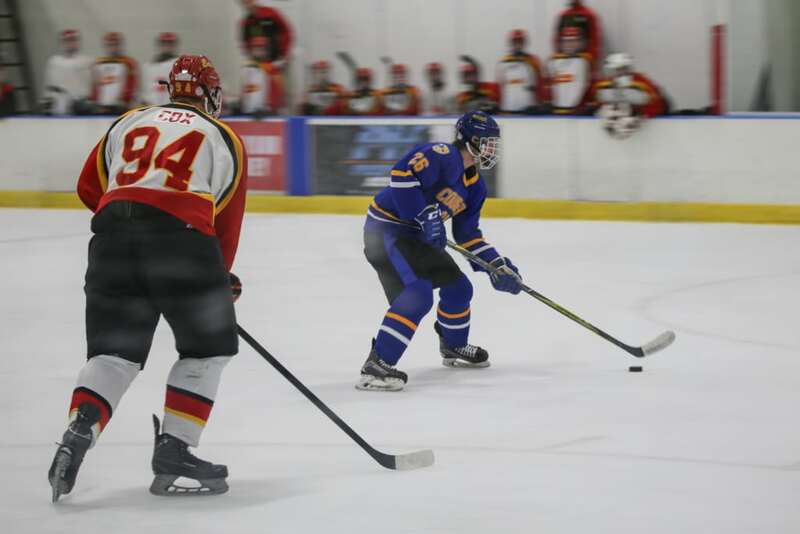 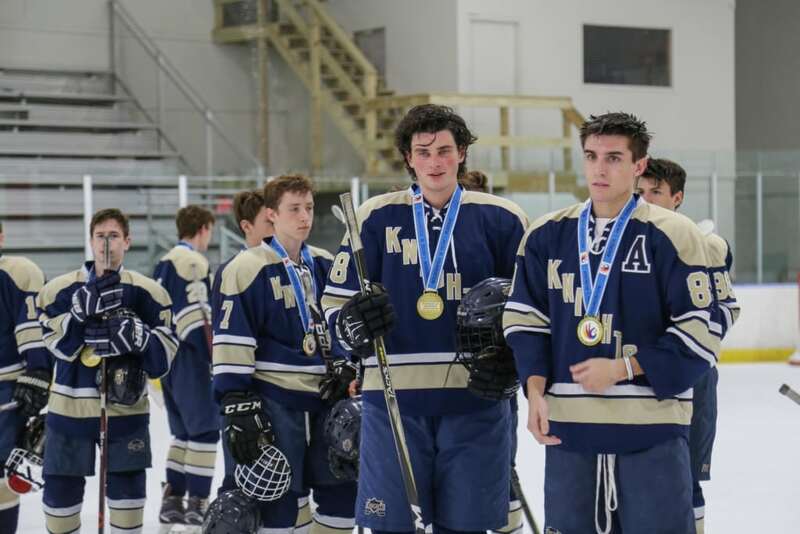 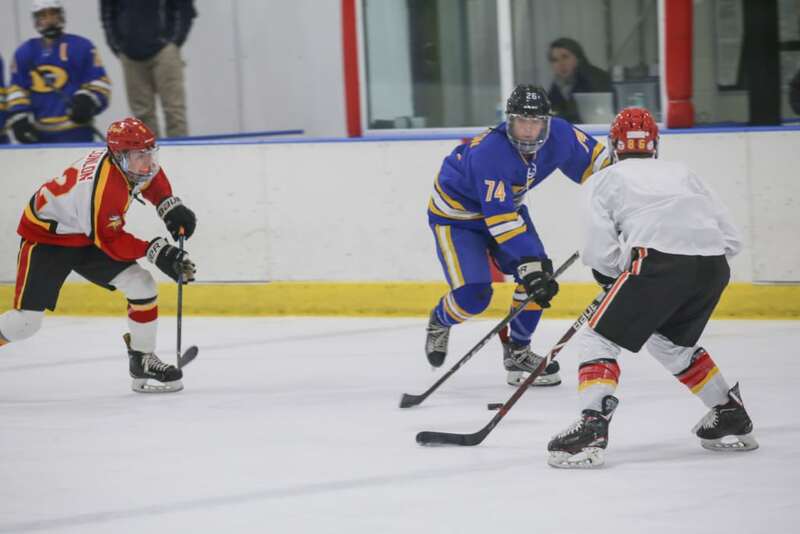 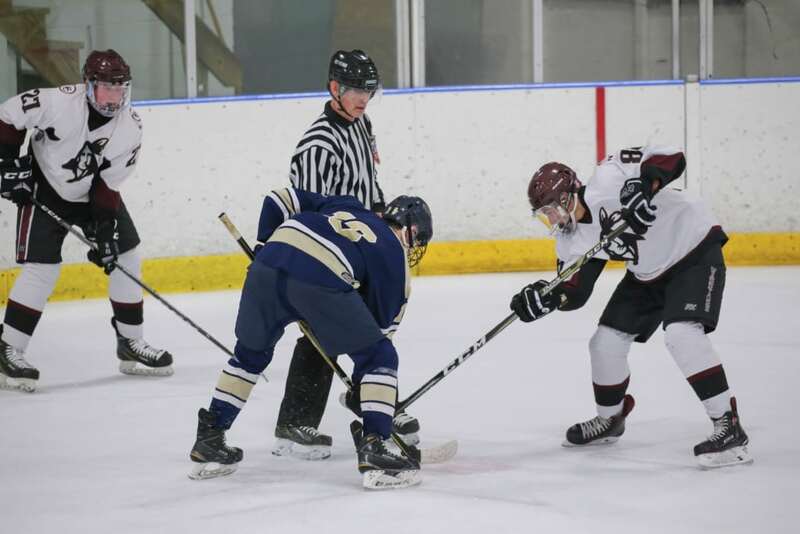 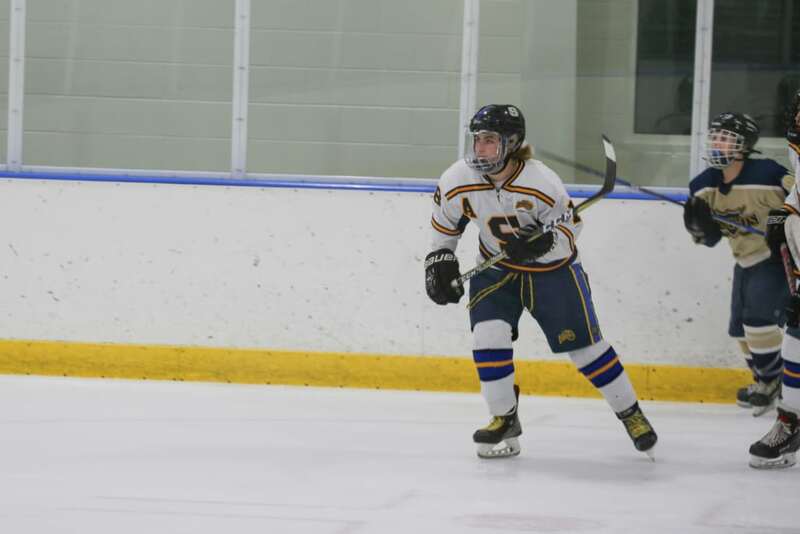 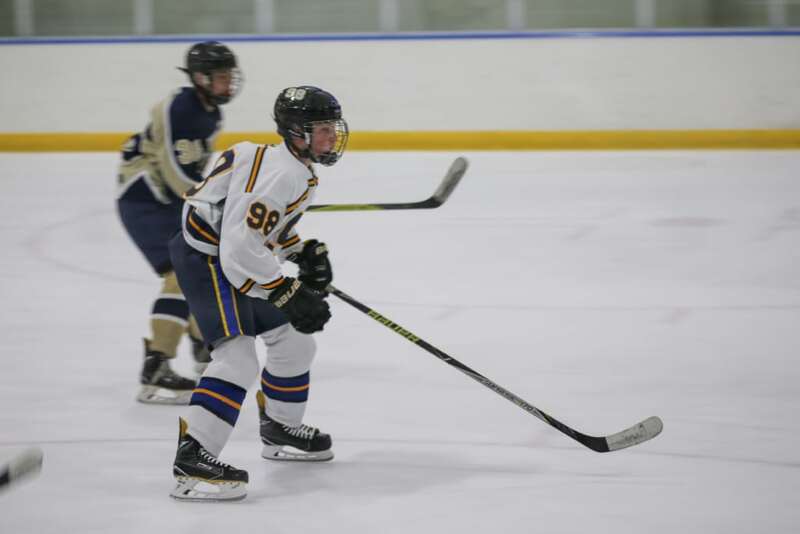 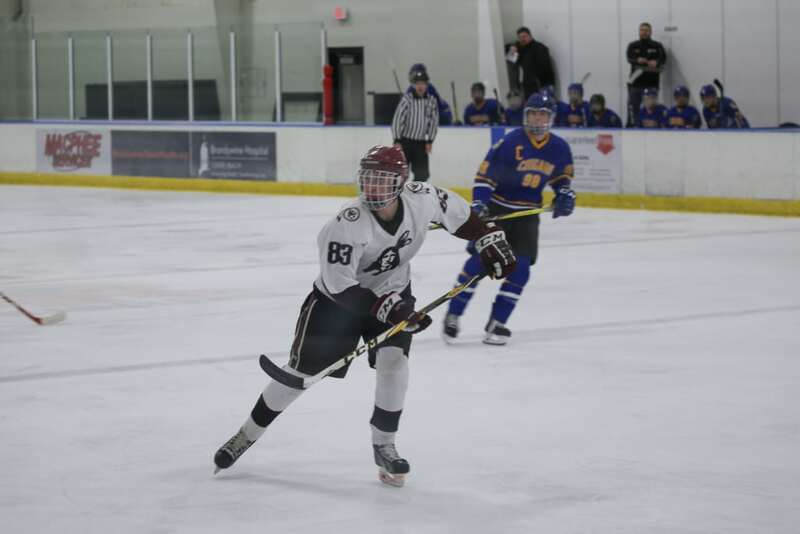 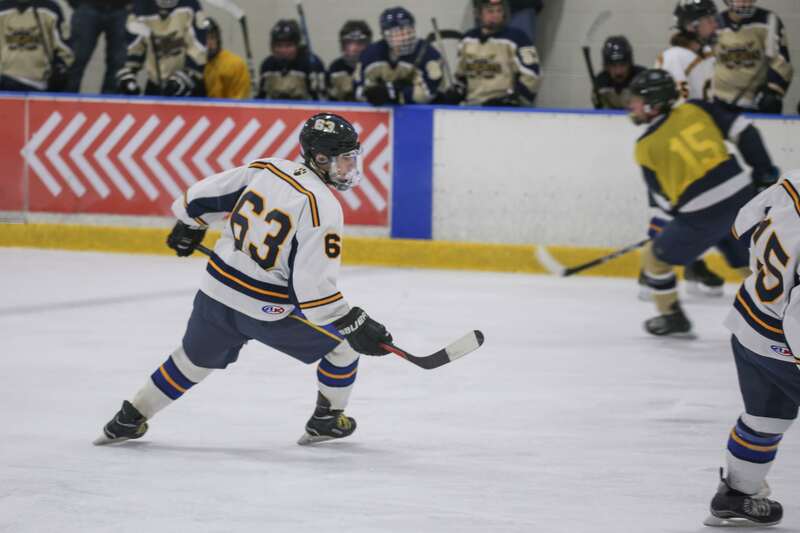 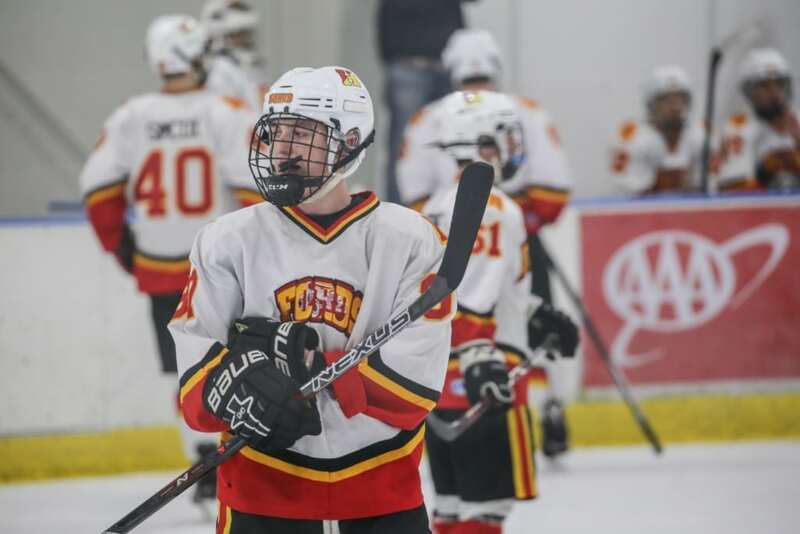 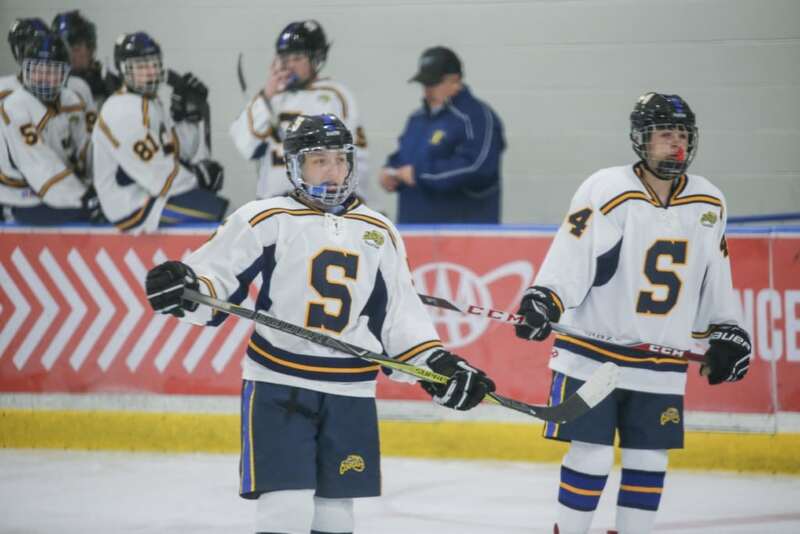 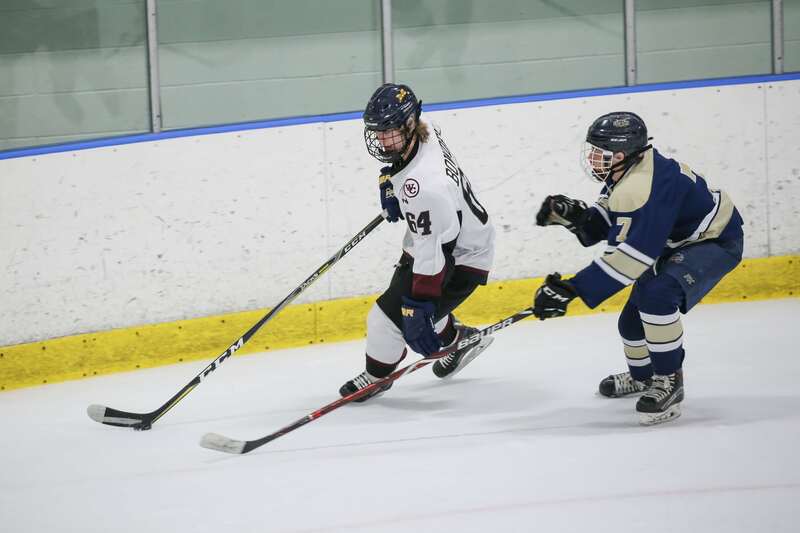 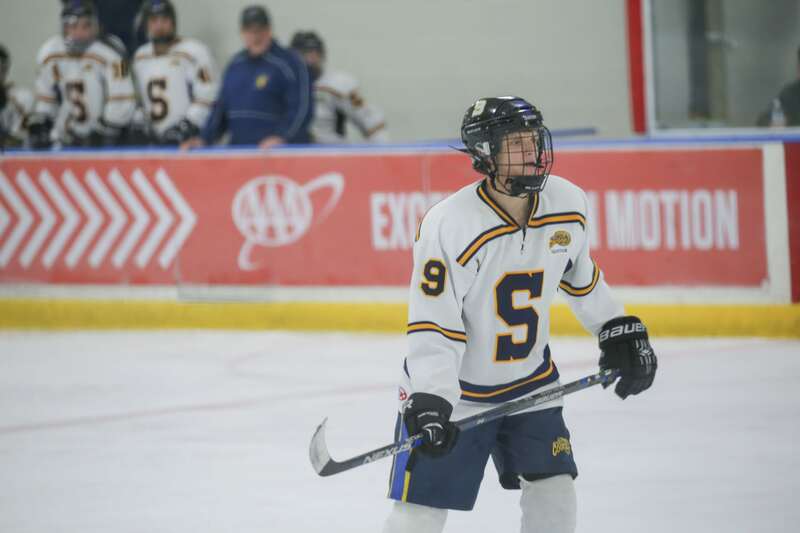 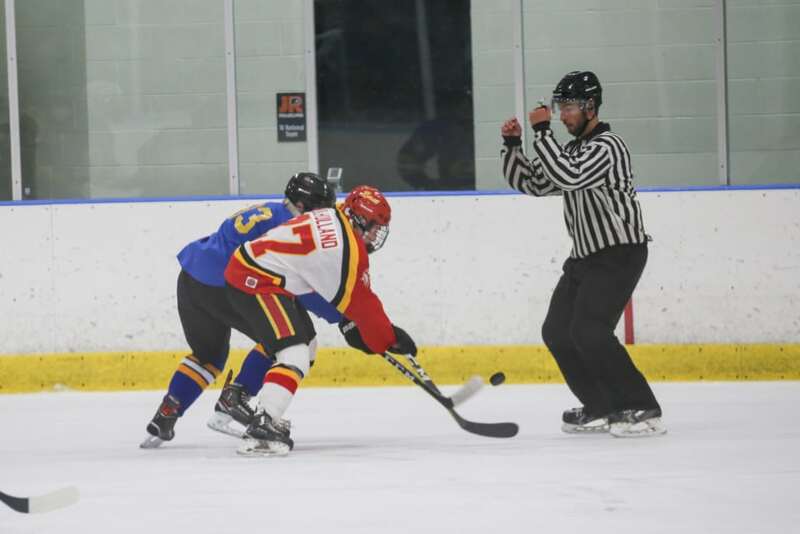 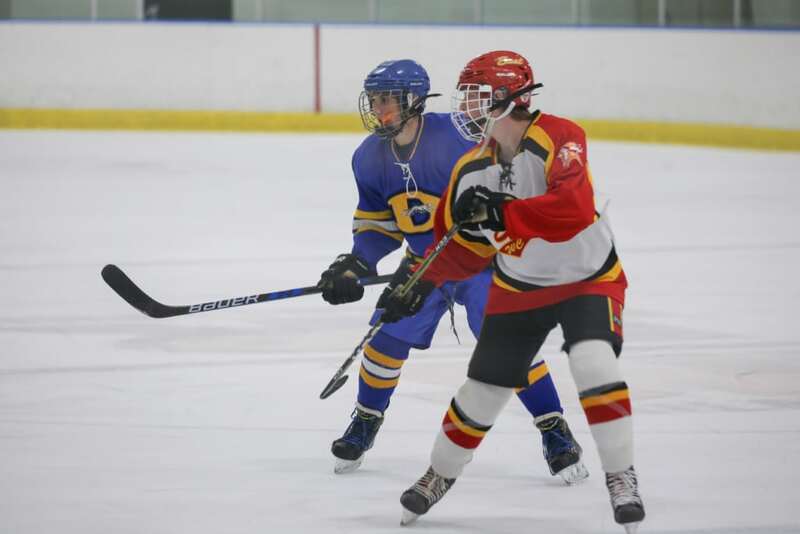 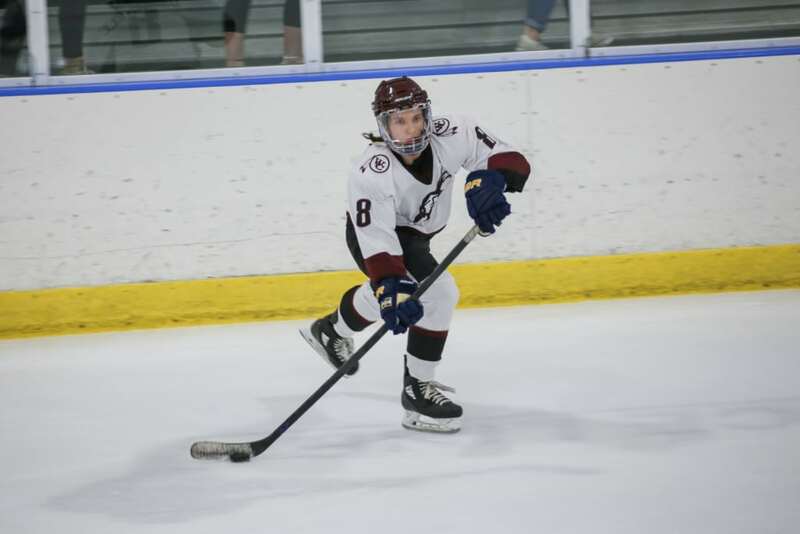 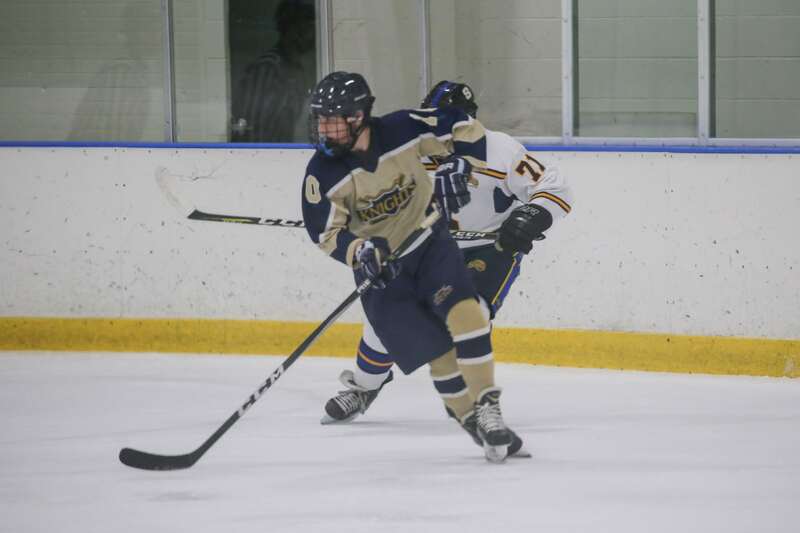 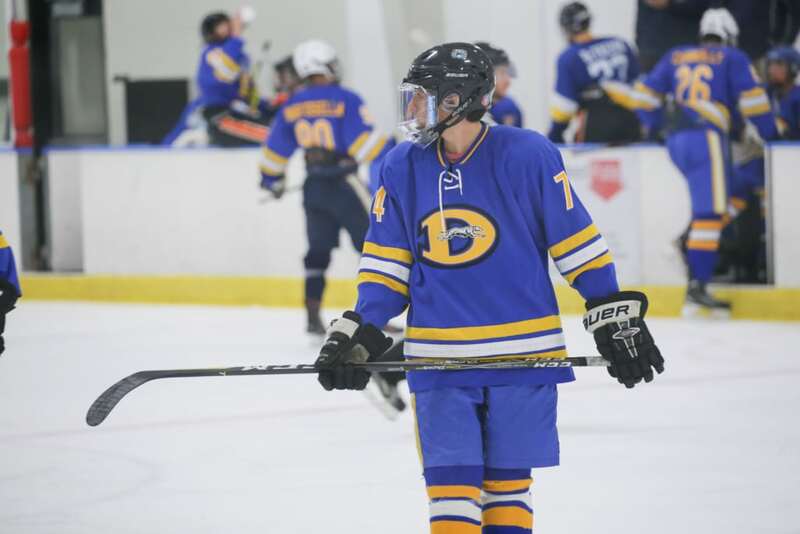 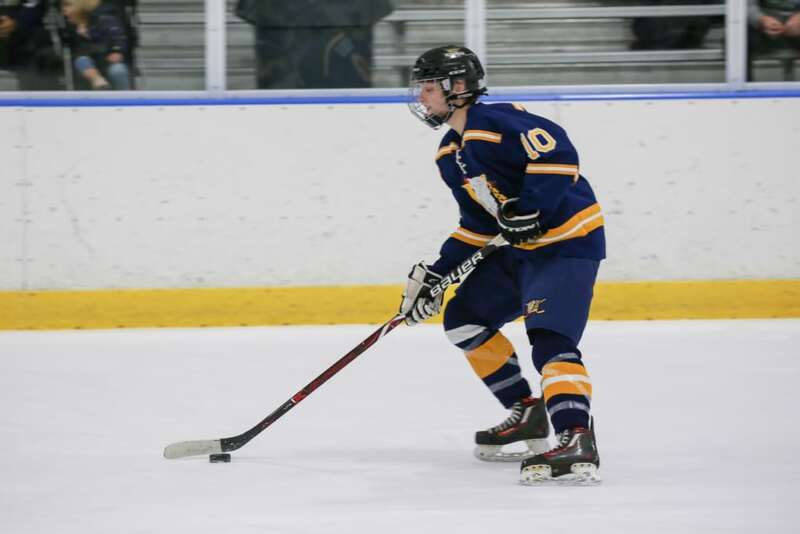 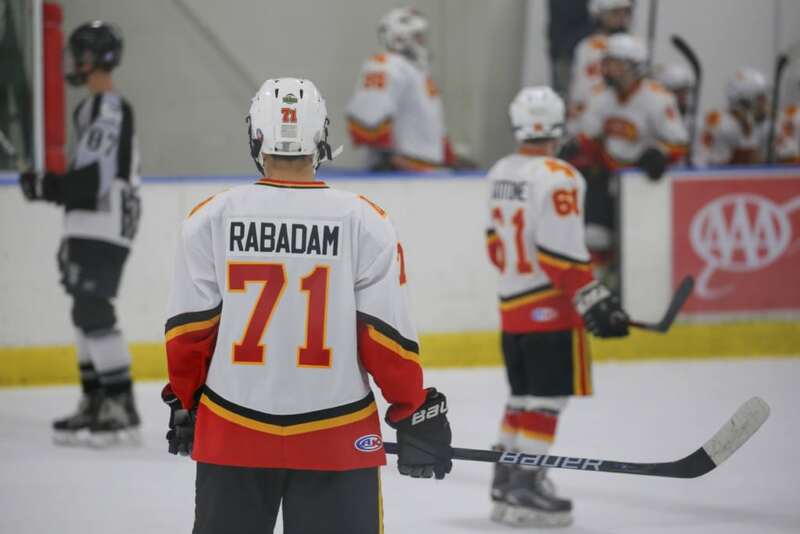 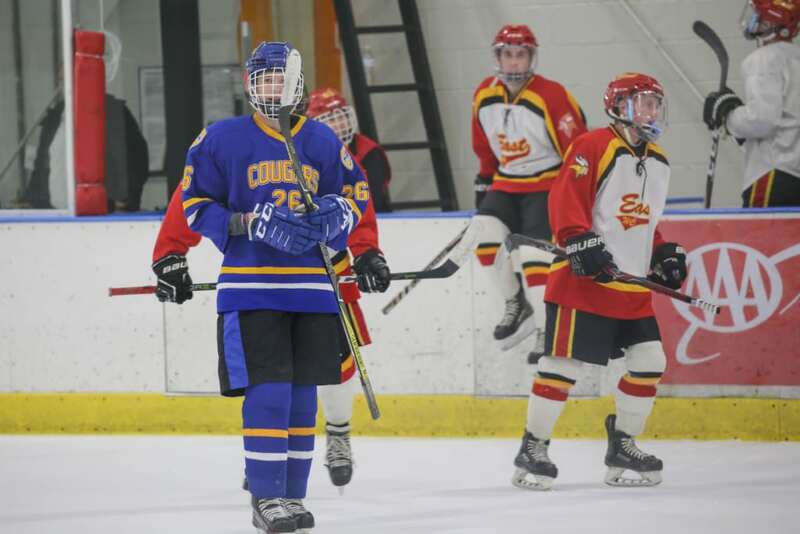 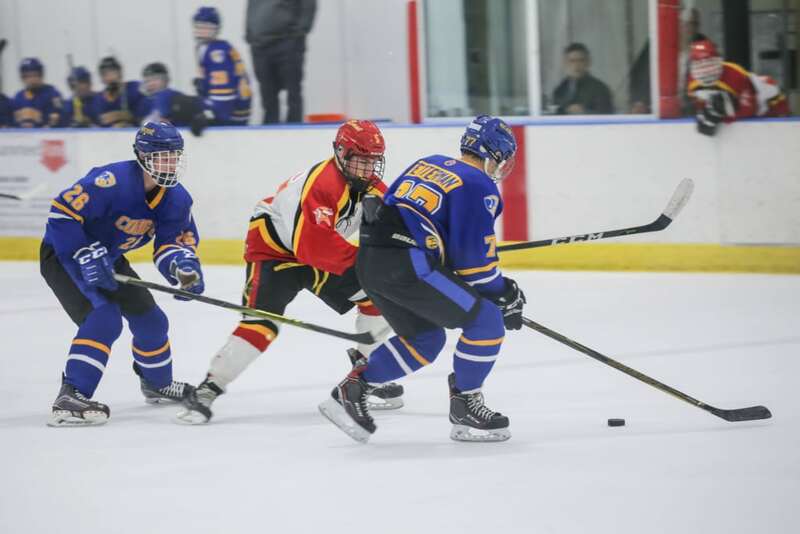 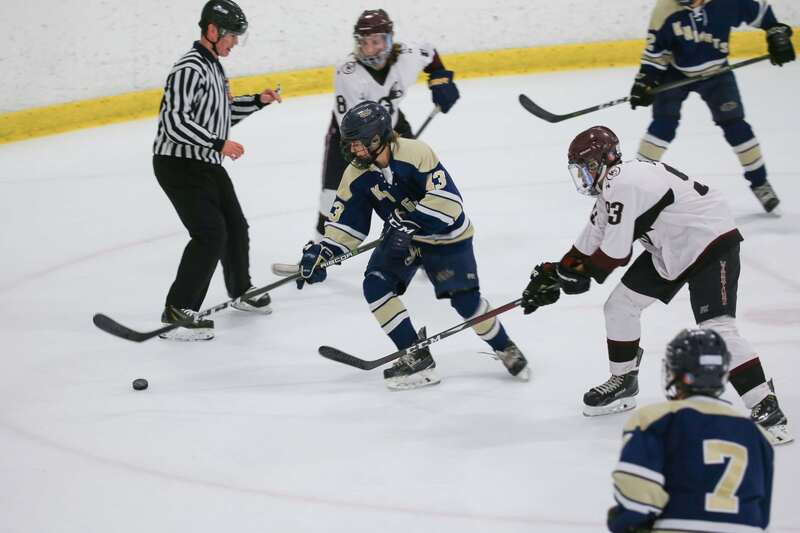 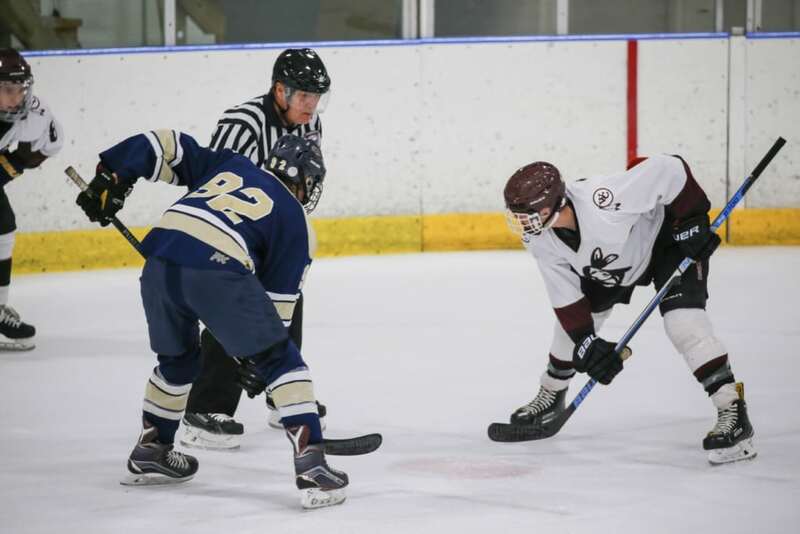 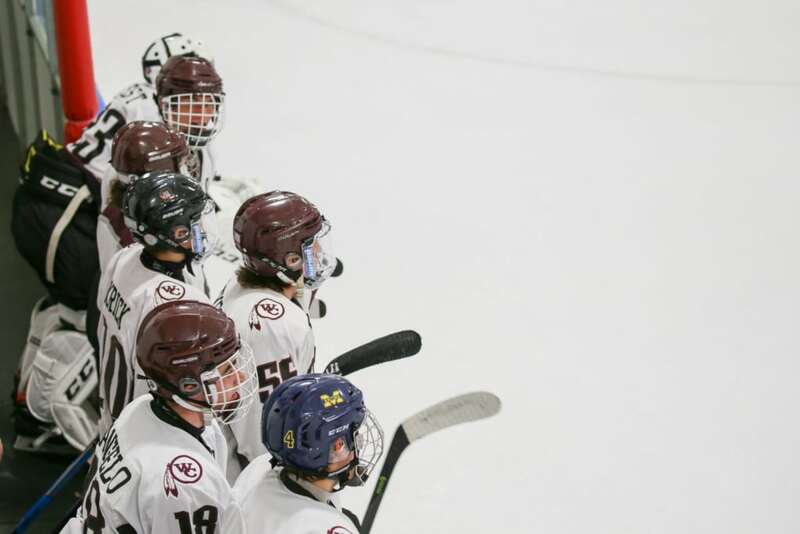 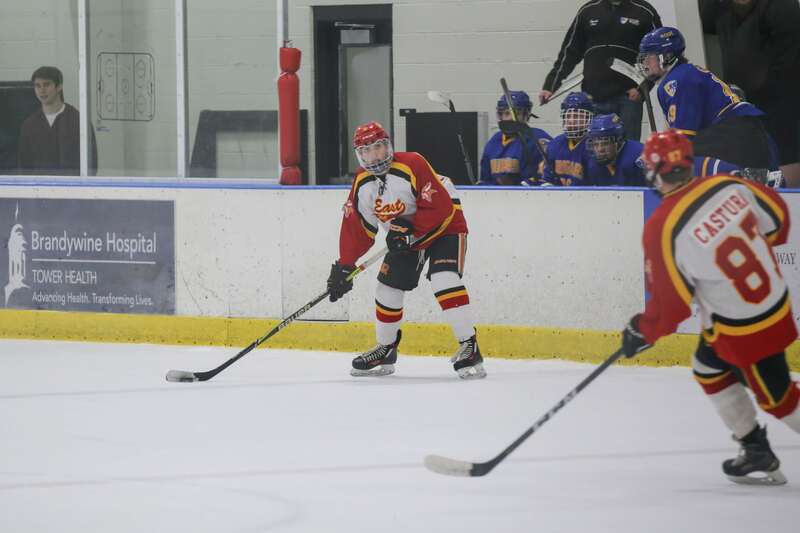 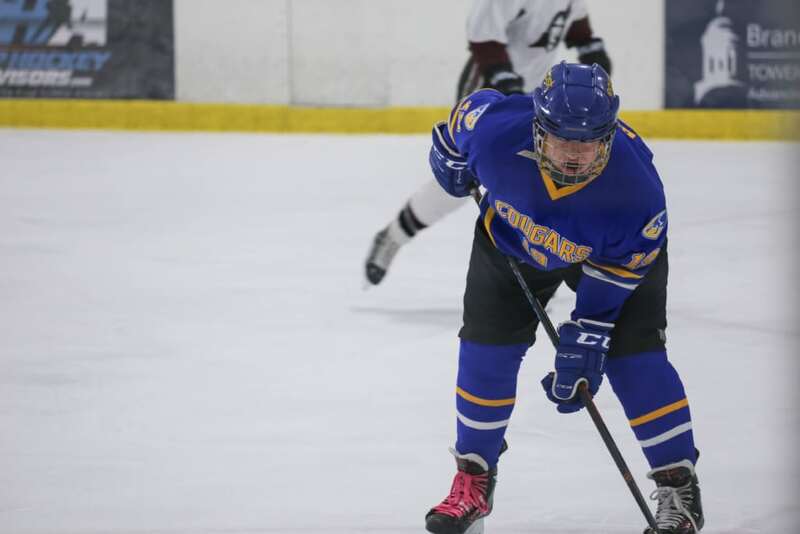 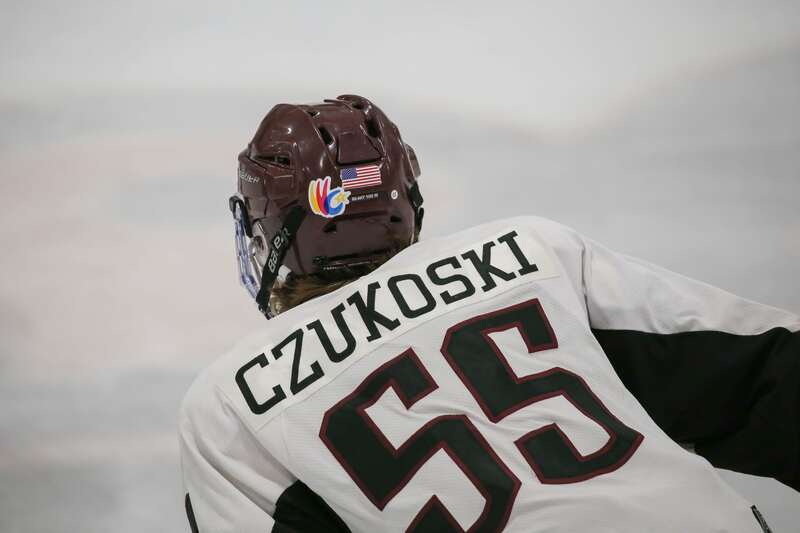 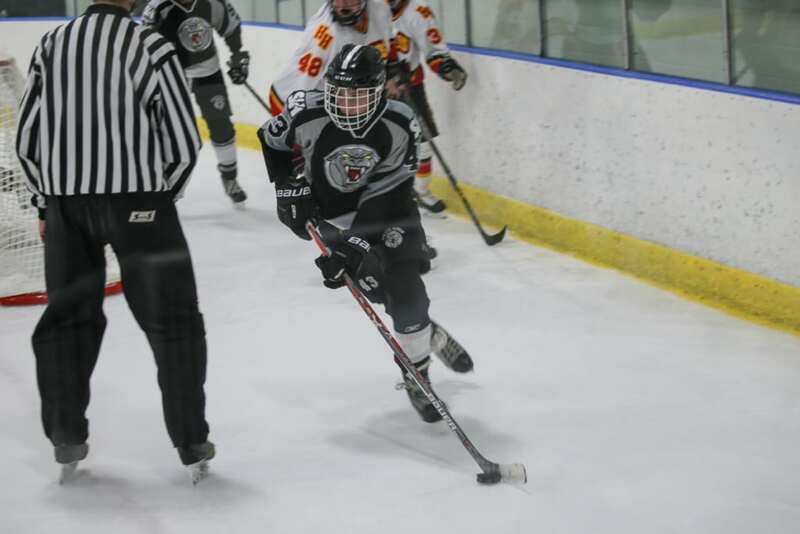 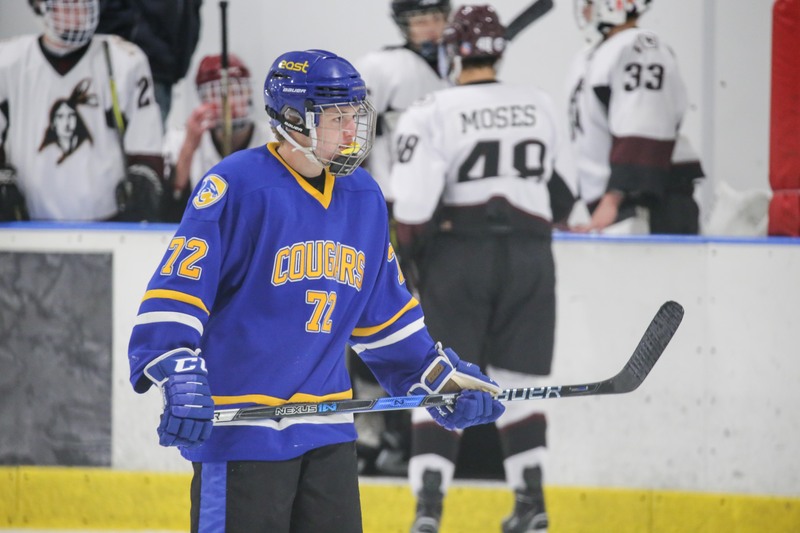 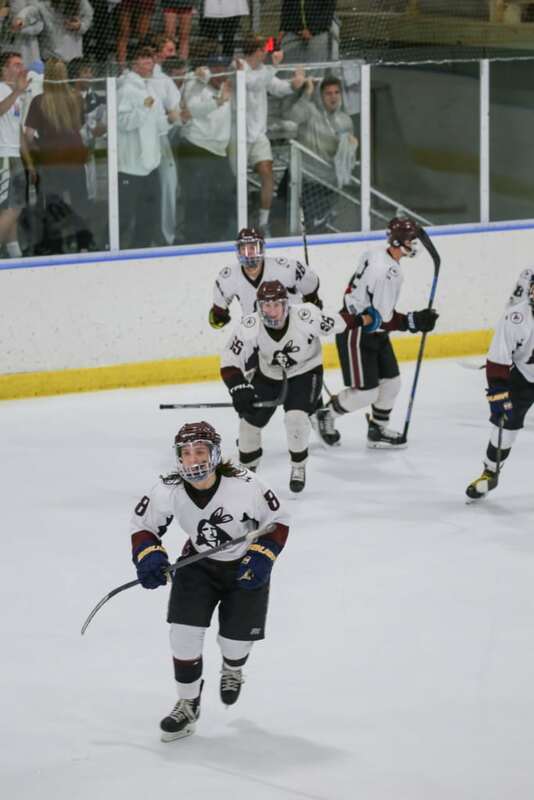 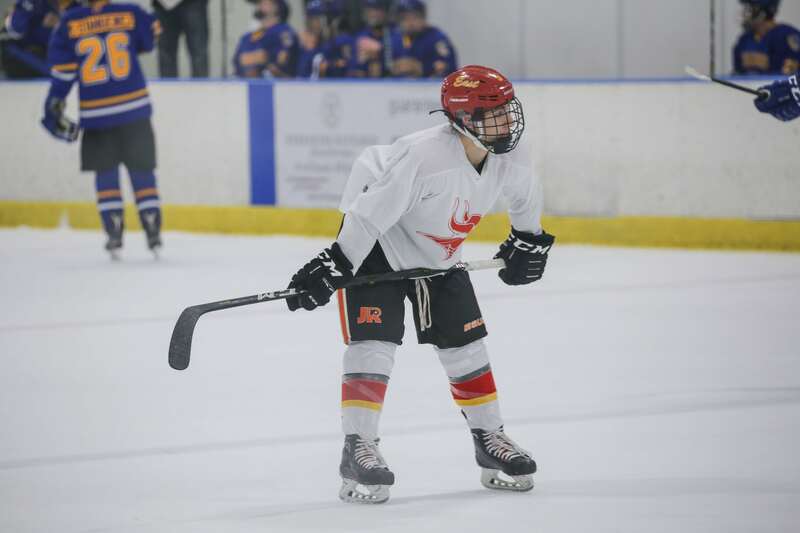 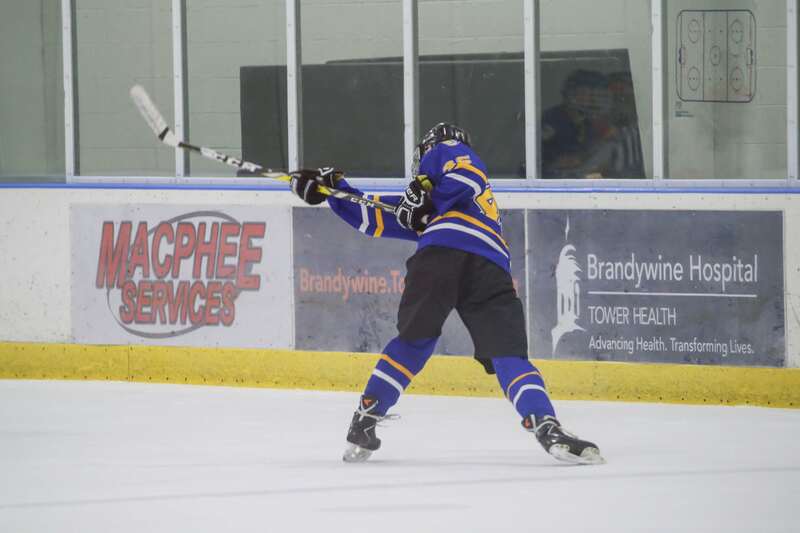 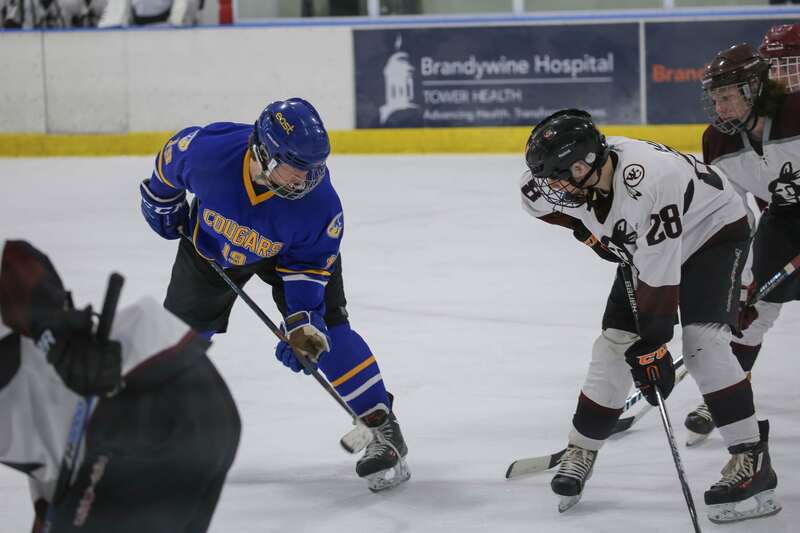 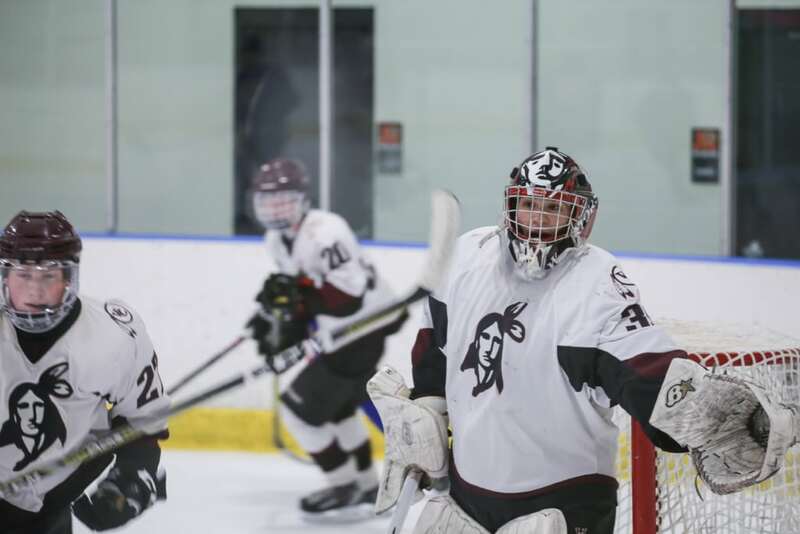 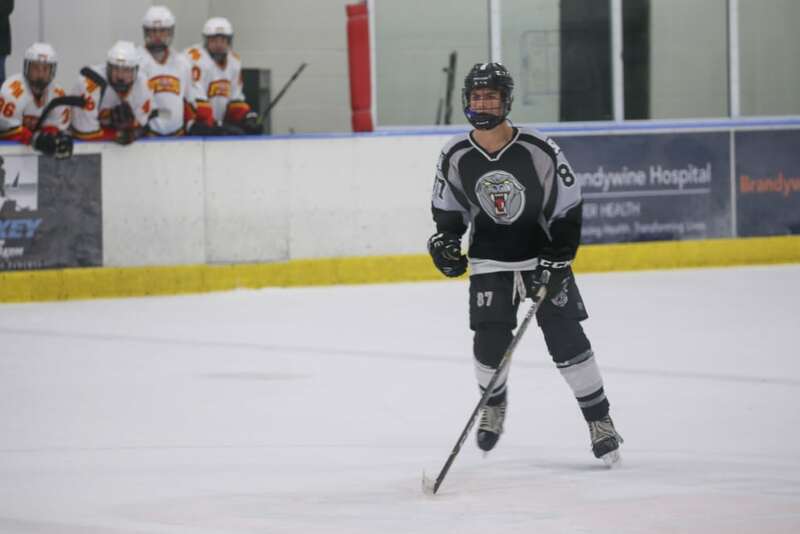 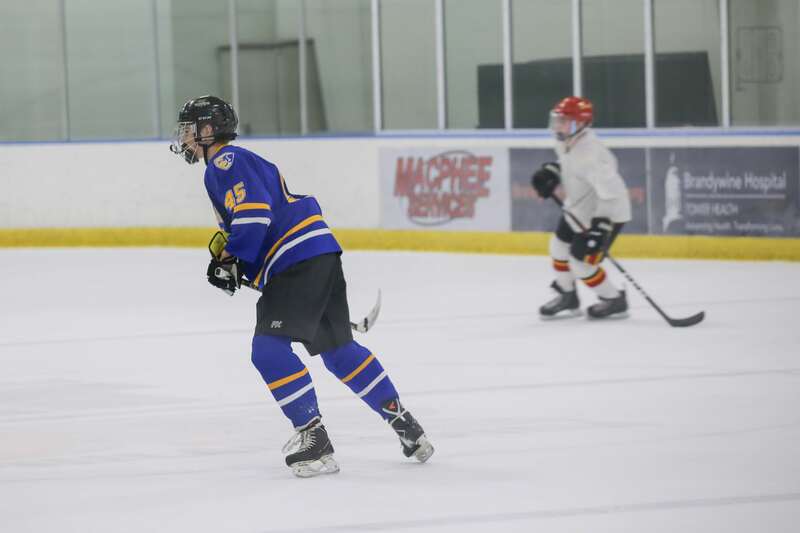 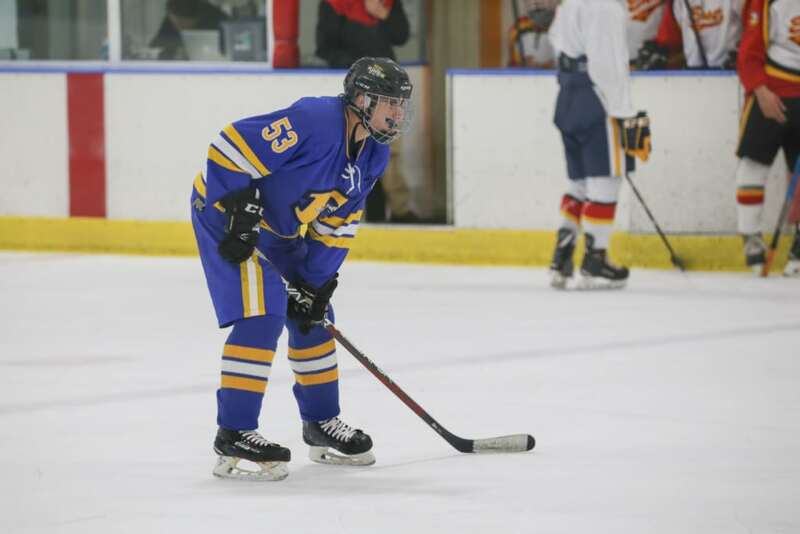 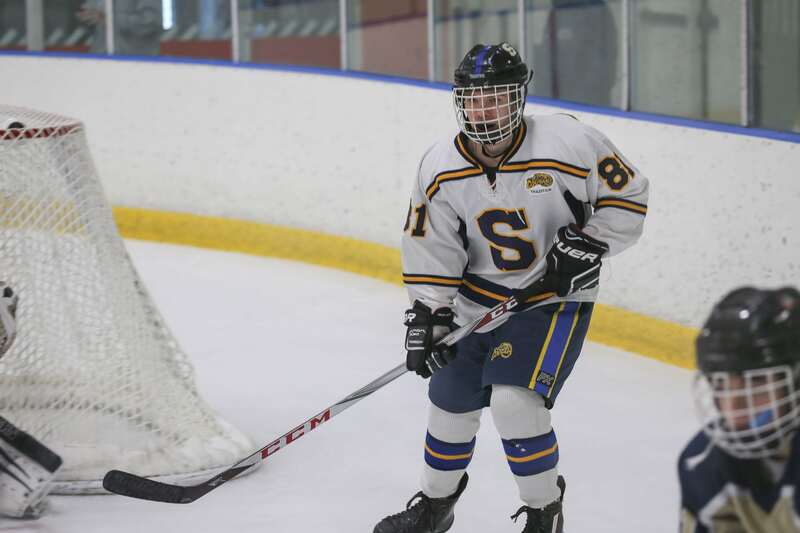 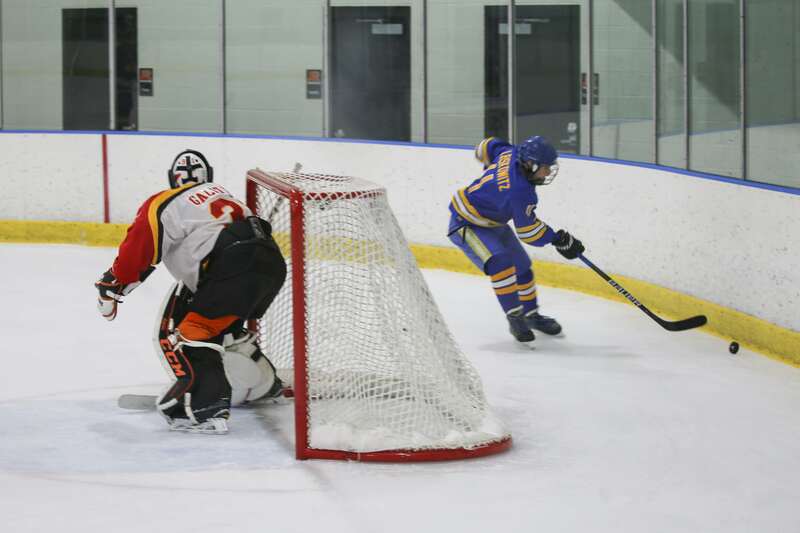 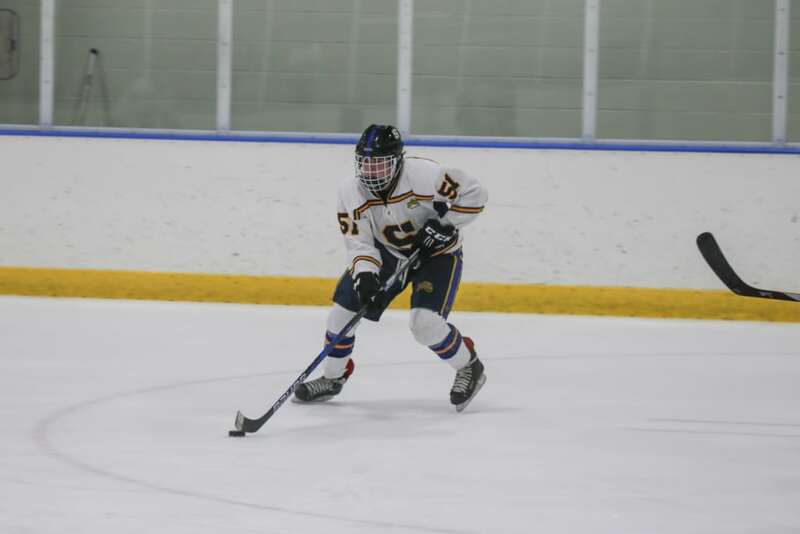 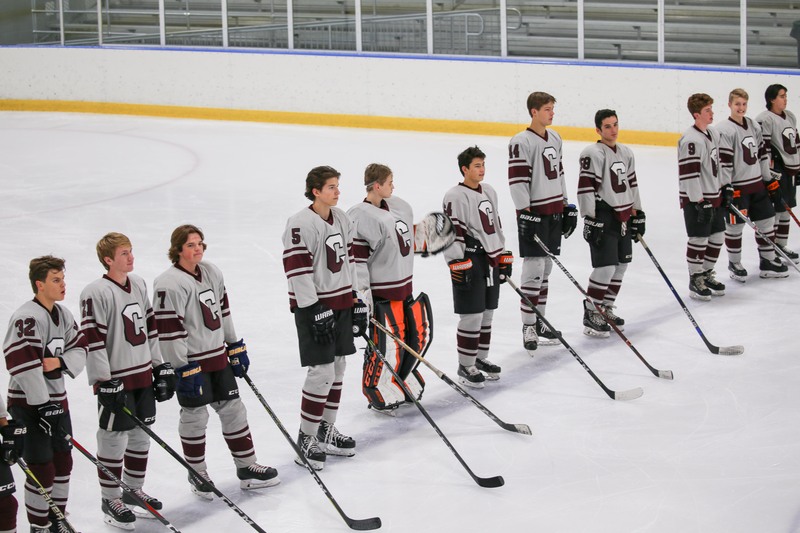 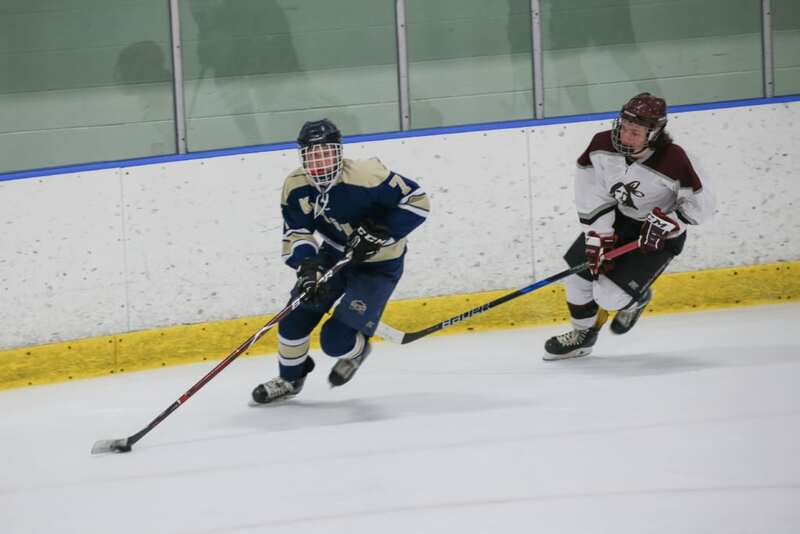 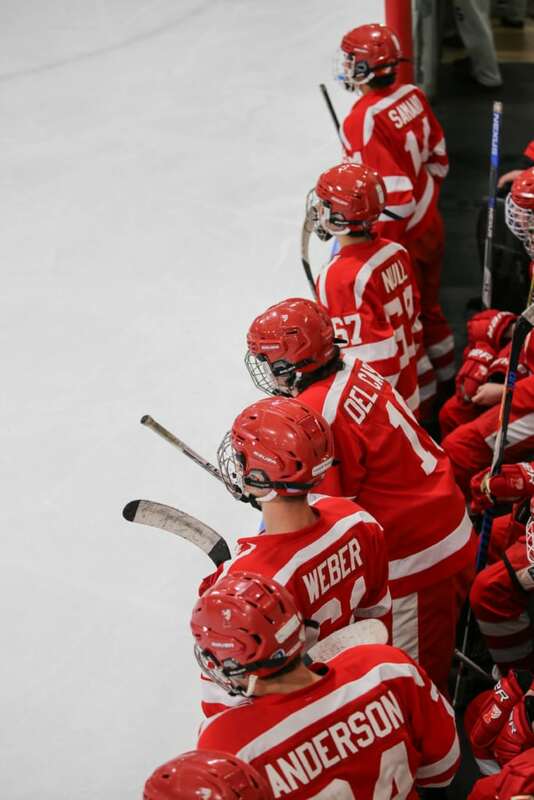 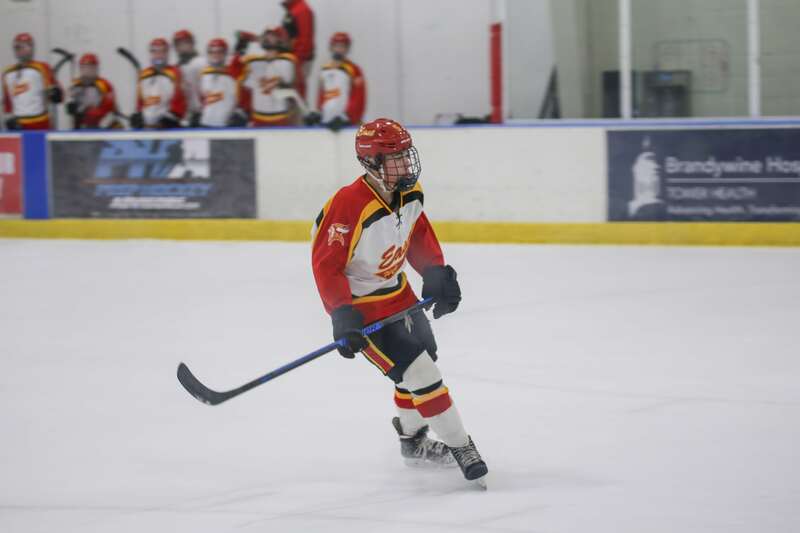 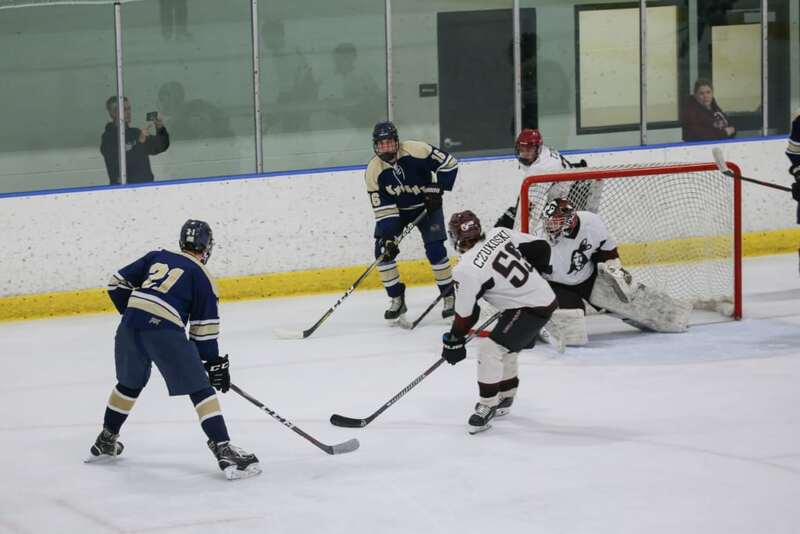 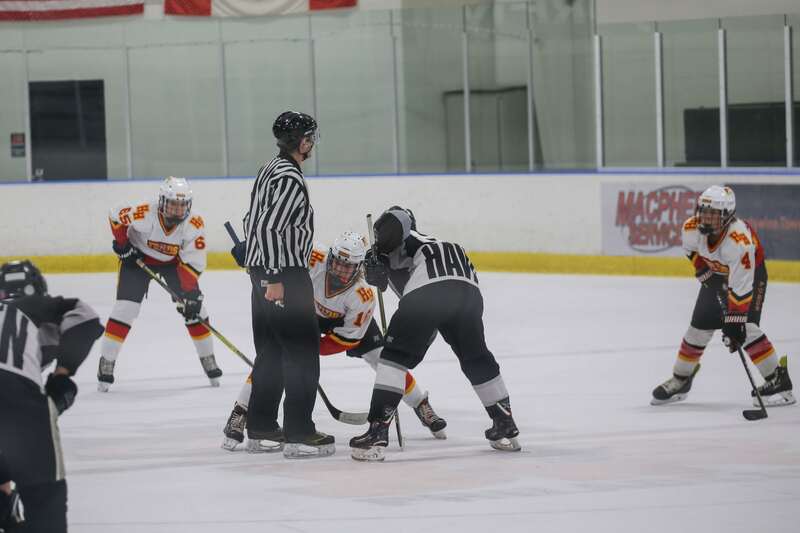 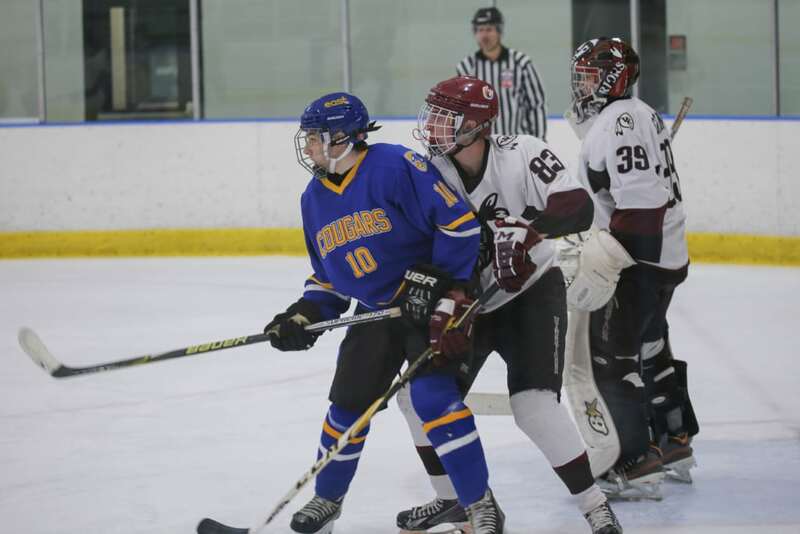 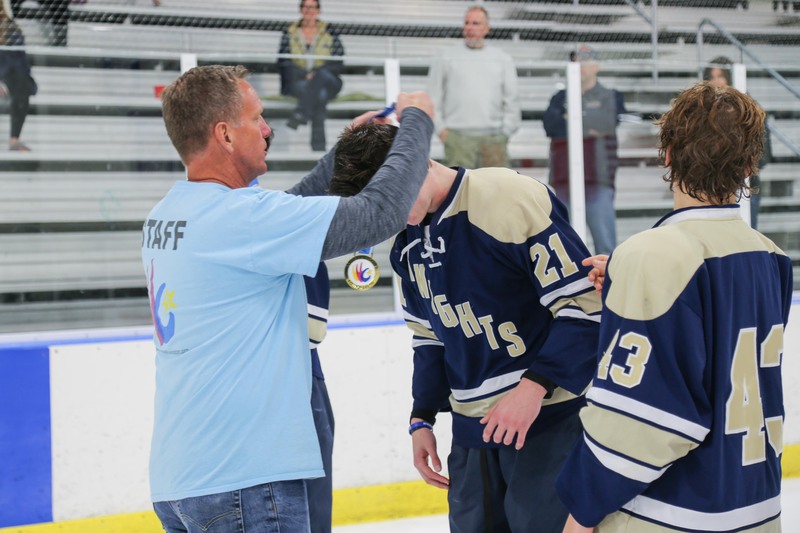 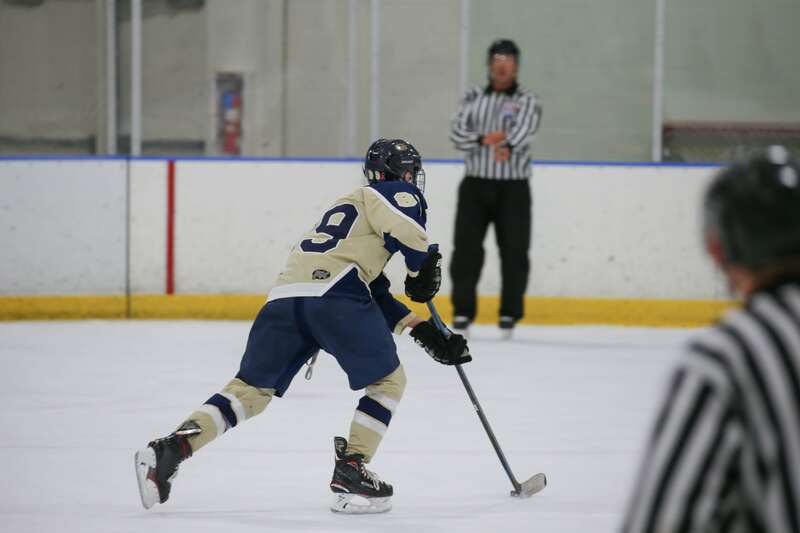 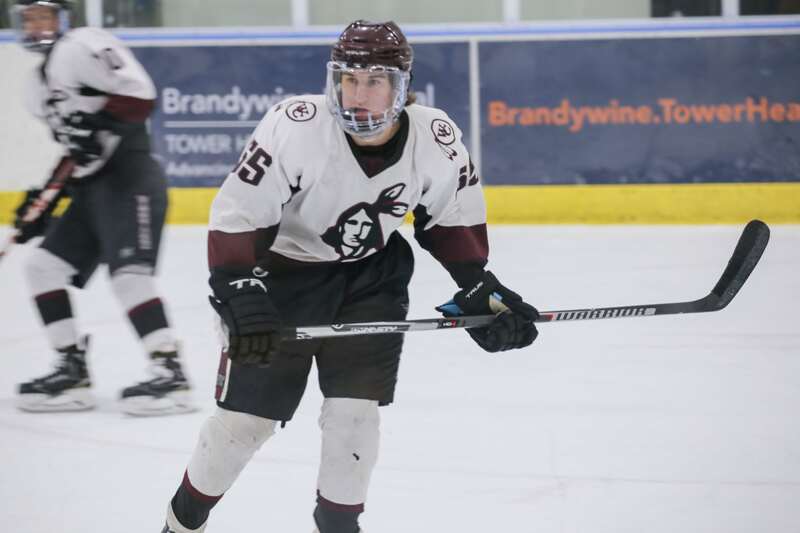 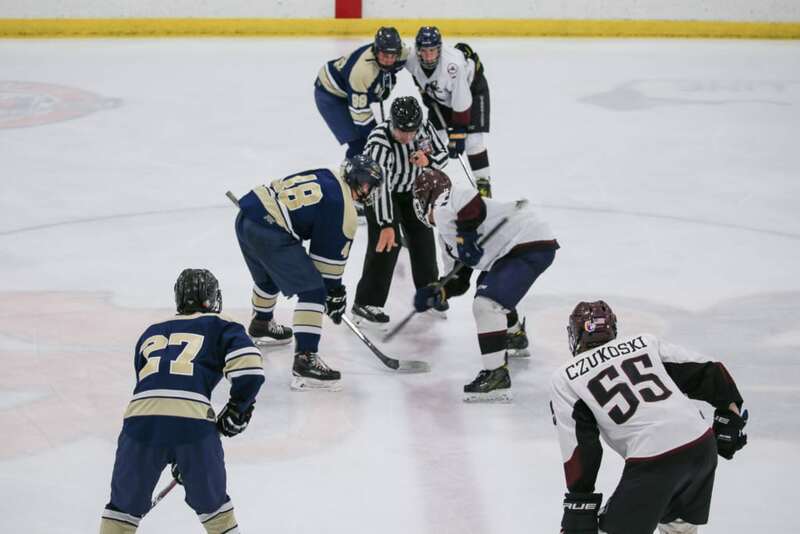 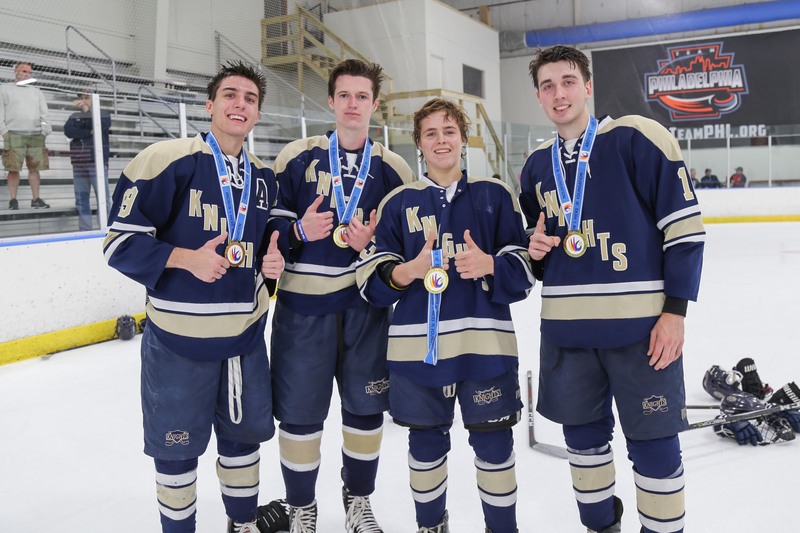 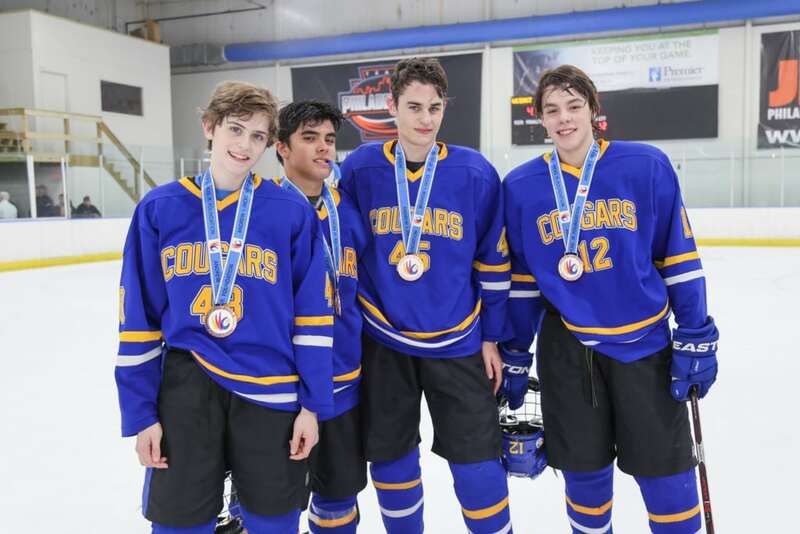 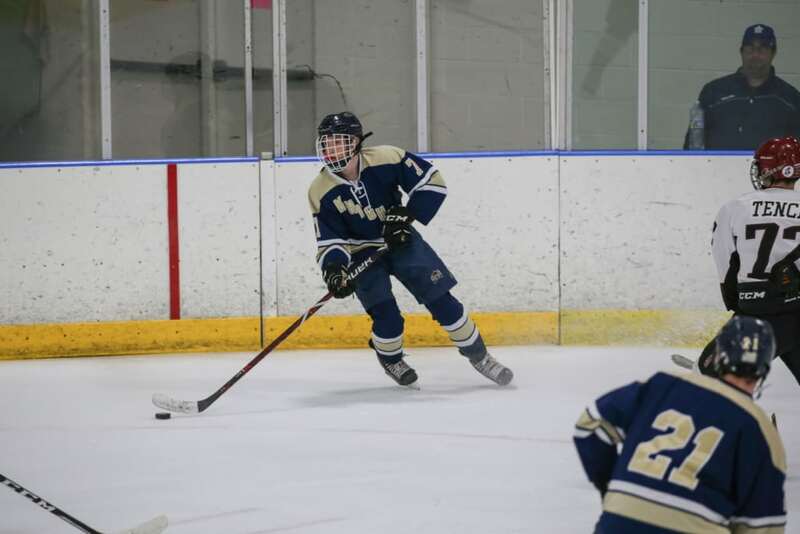 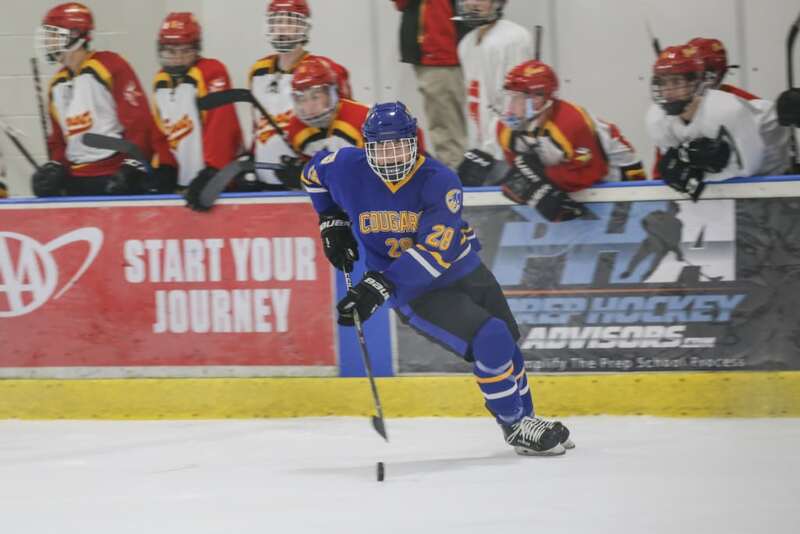 The tournament, expanded this year from eight high school teams to twelve high school teams, was held at Ice Line in West Chester, over five nights from Monday, September 17th to Monday, October 1st. 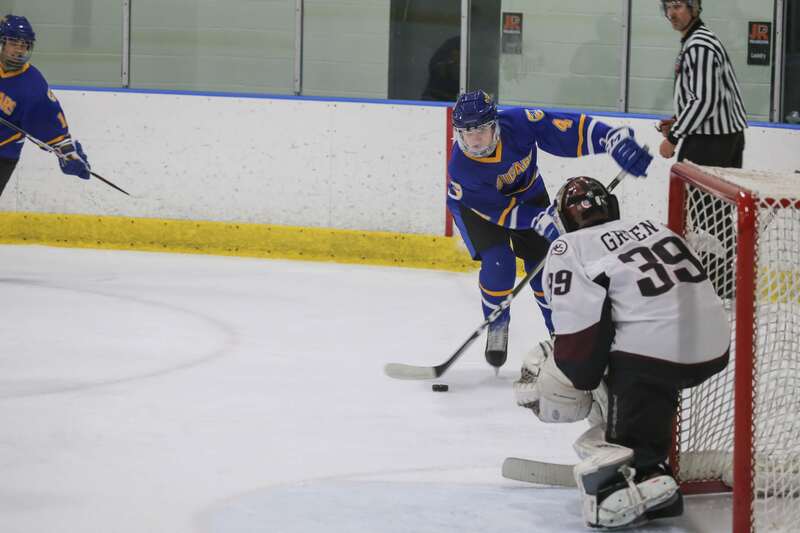 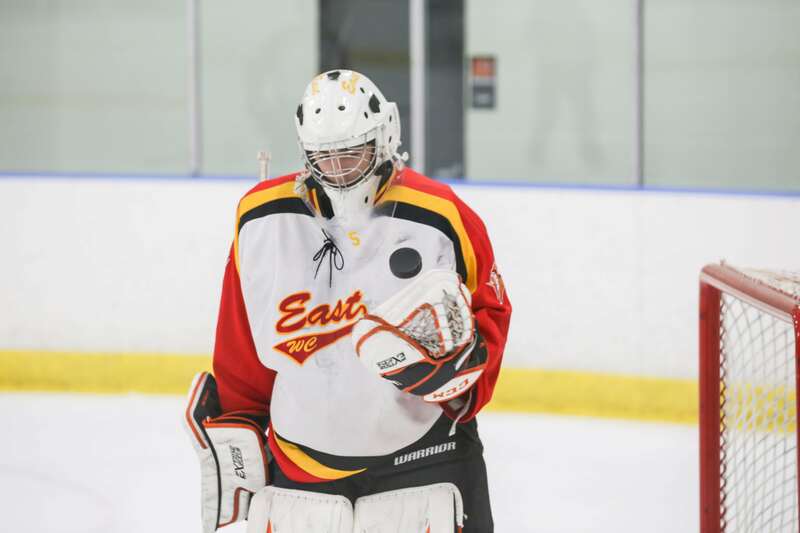 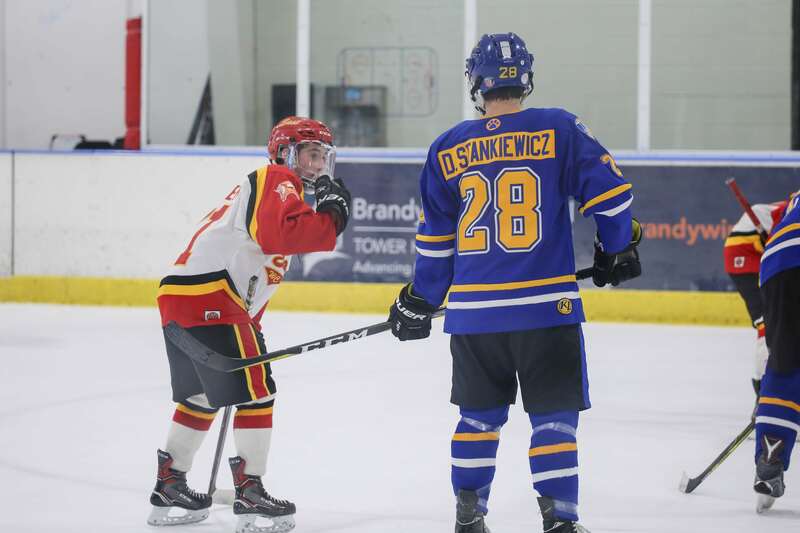 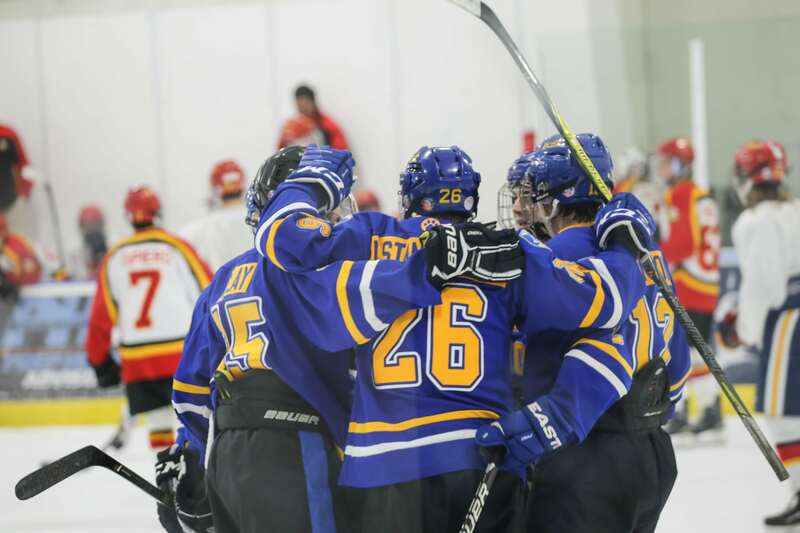 The Hicksie Cup began with each of the twelve teams competing in three nights of preliminary round play on Monday, September 17, Thursday, September 20, and Monday, September 24, to determine seedings for a one night playoff held on Friday, September 28. 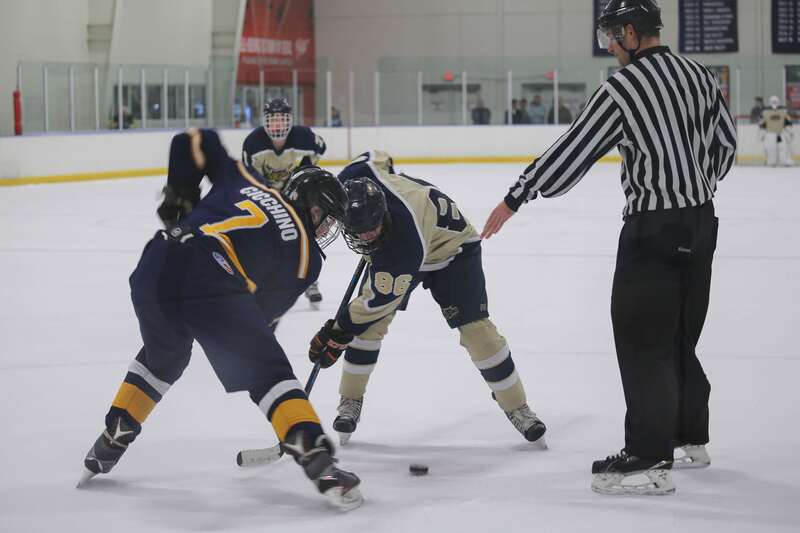 The results of the Playoff games determined which teams would play in the Championship and Consolation Games. 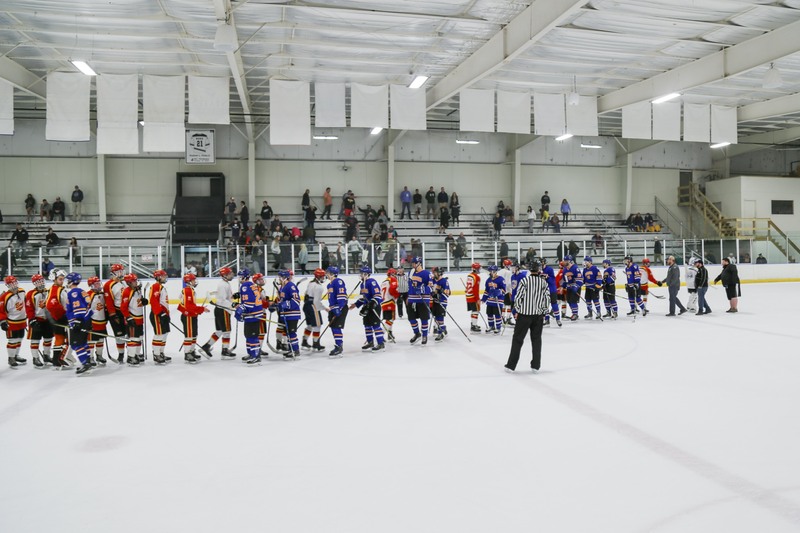 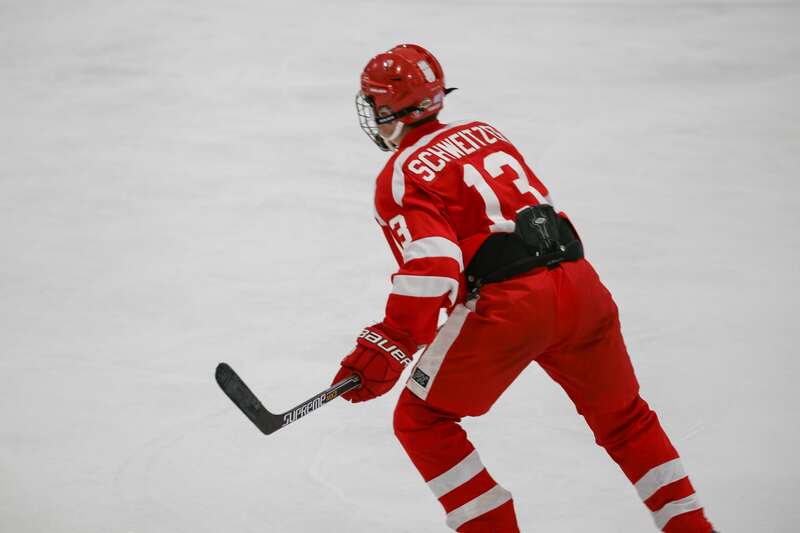 The two teams advancing to the Championship Game as well as the two teams advancing to the Consolation Game were determined based on overall wins and losses, Playoff and head to head results, as well as total point differential. 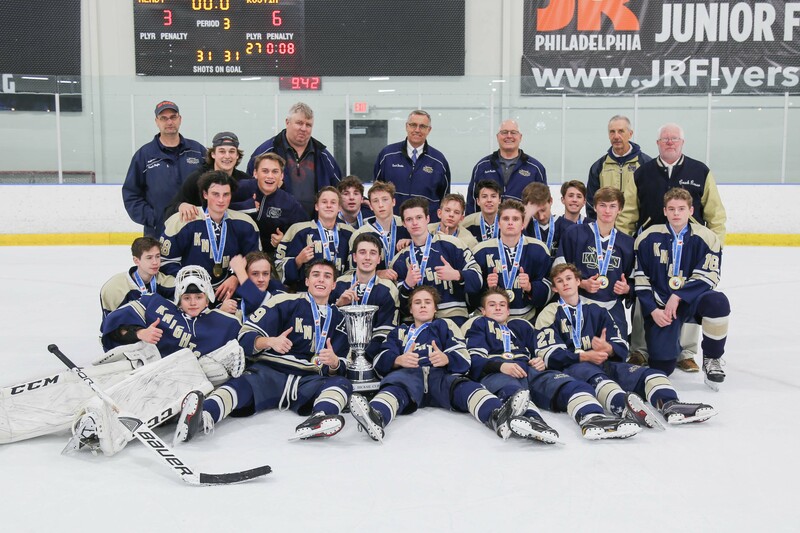 This year’s tournament included teams from West Chester Henderson, West Chester East, West Chester Rustin (Gold), Rustin (Blue) Conestoga, Downingtown East, Downingtown West, Unionville, as well as new teams to the Hicksie Cup, Strath Haven, Haverford, Springfield, and Penncrest. The 2018 Hicksie Cup raised over $10,000 for the Andrew L. Hicks, Jr. Foundation. 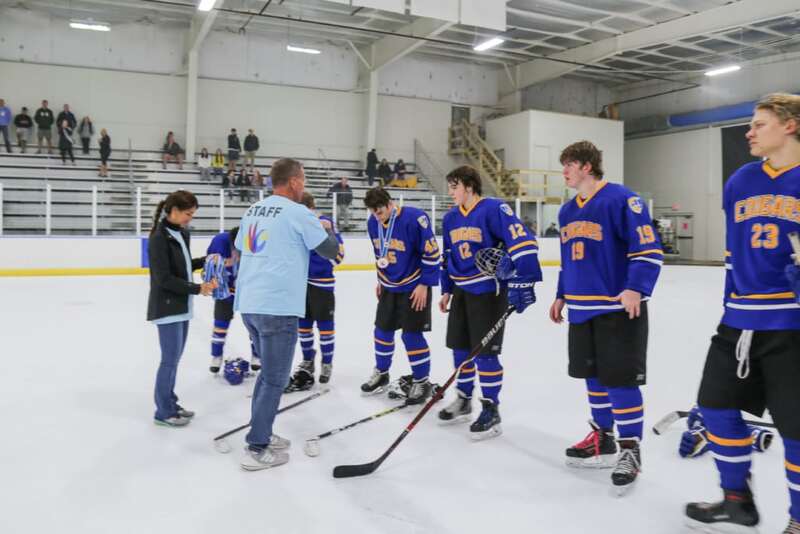 It’s only because of the tremendous support the Foundation receives from Ice Line, the twelve high school hockey clubs, the referees and the time keepers, who donate their time, as well as the volunteers who run Chuck-A-Puck and the for-fun-only player shoot out, that this event is even possible. 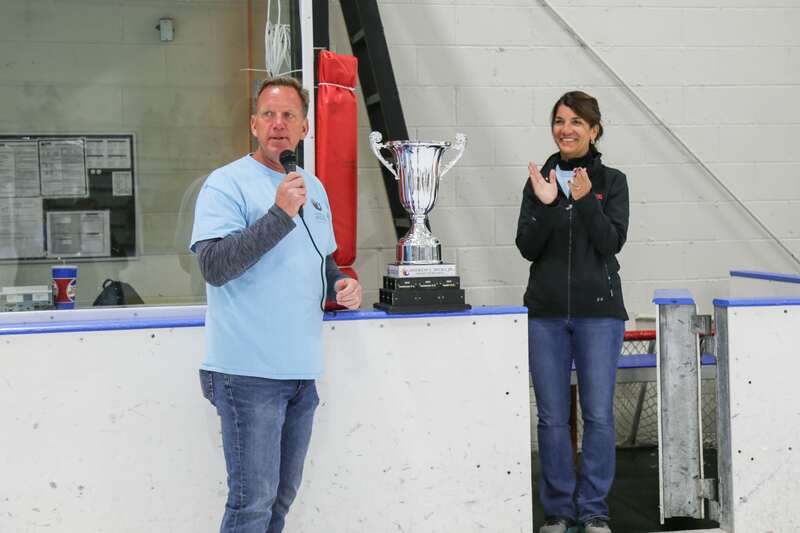 In addition, this year’s tournament was graciously sponsored by John L. Smith, Inc. 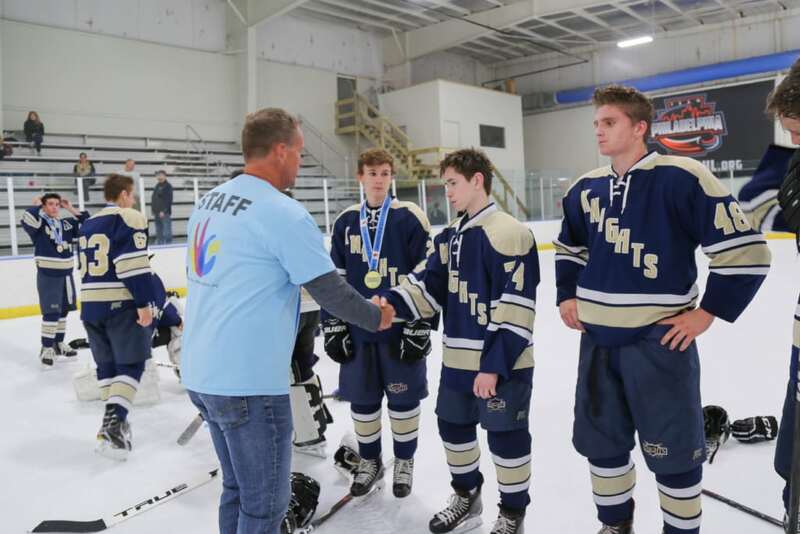 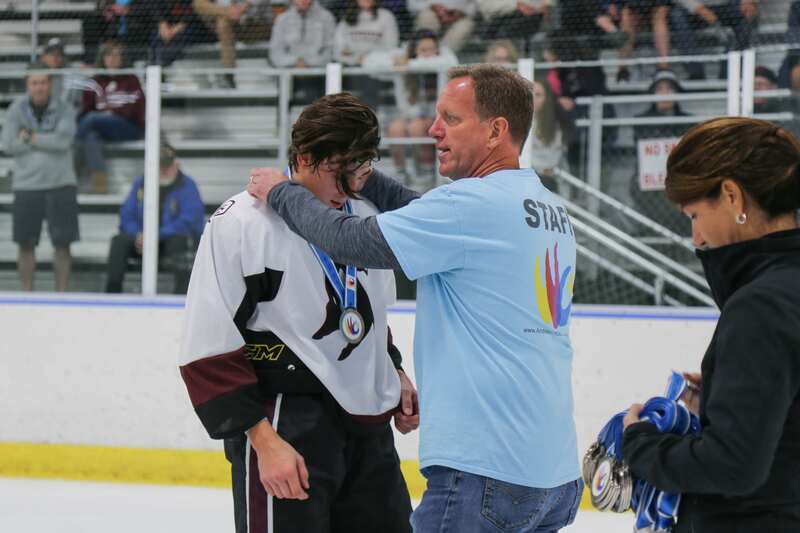 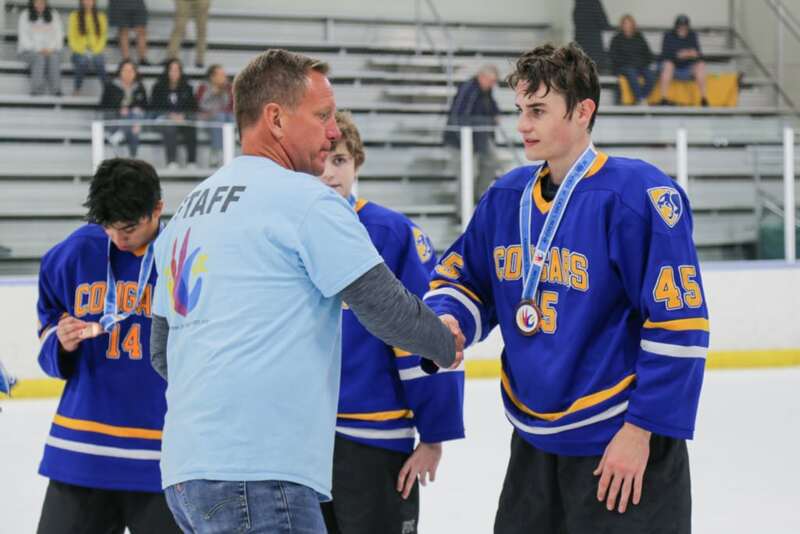 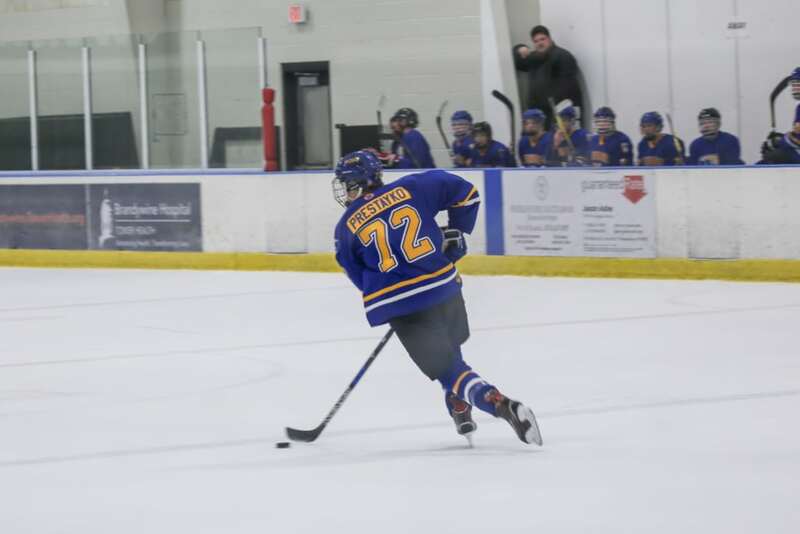 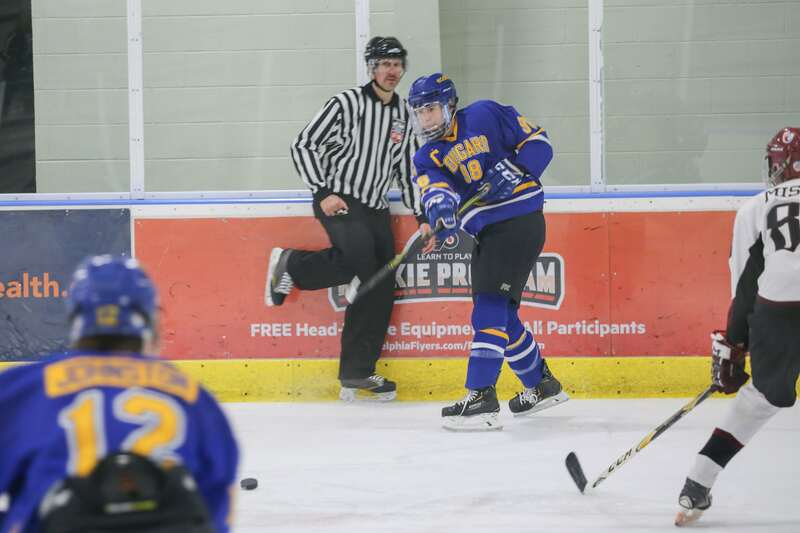 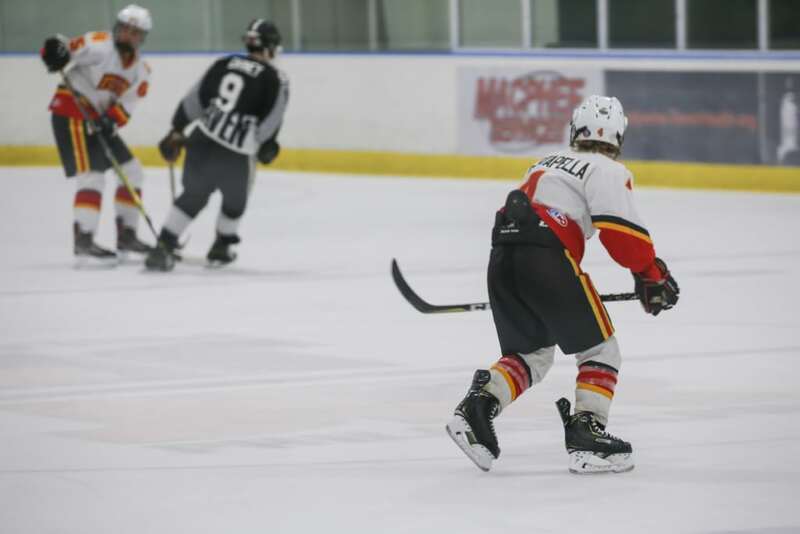 The money raised from this year’s tournament will be used to underwrite Foundation programming including the 2019 Learn-To-Skate event which will be held at Ice Line in March. 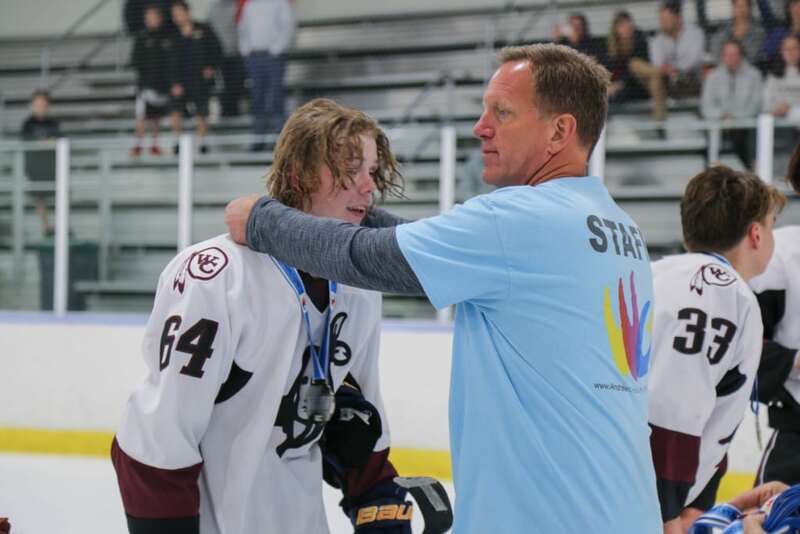 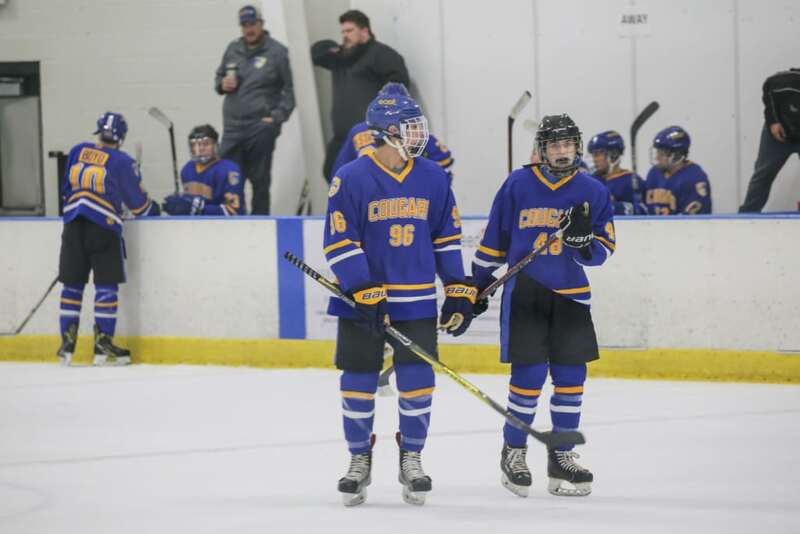 The Foundation expects to bring approximately 100 kids from Chester to Ice Line to spend an afternoon learning how to ice skate with 100 of the high school hockey players that participated in the Hicksie Cup.